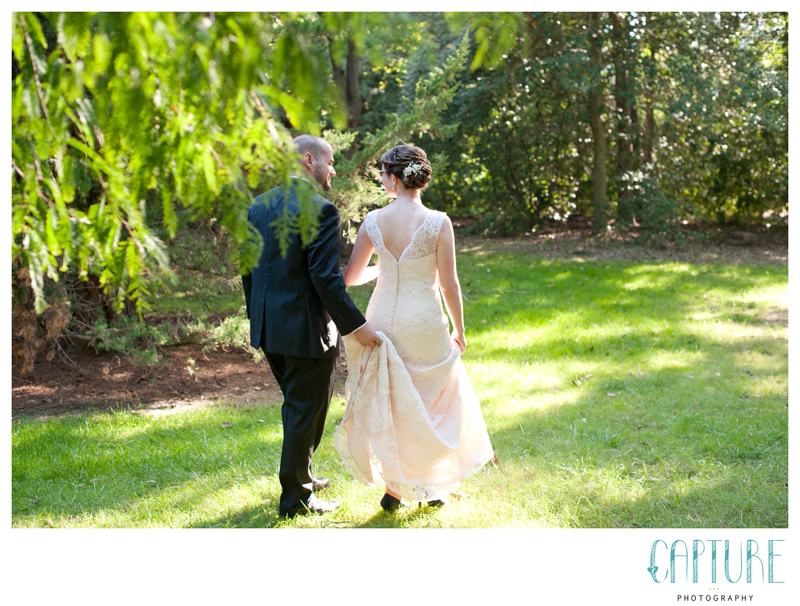 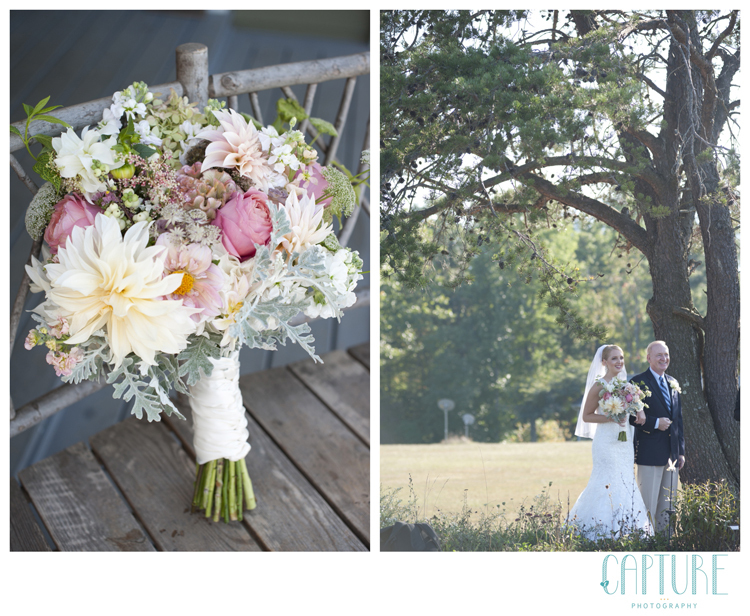 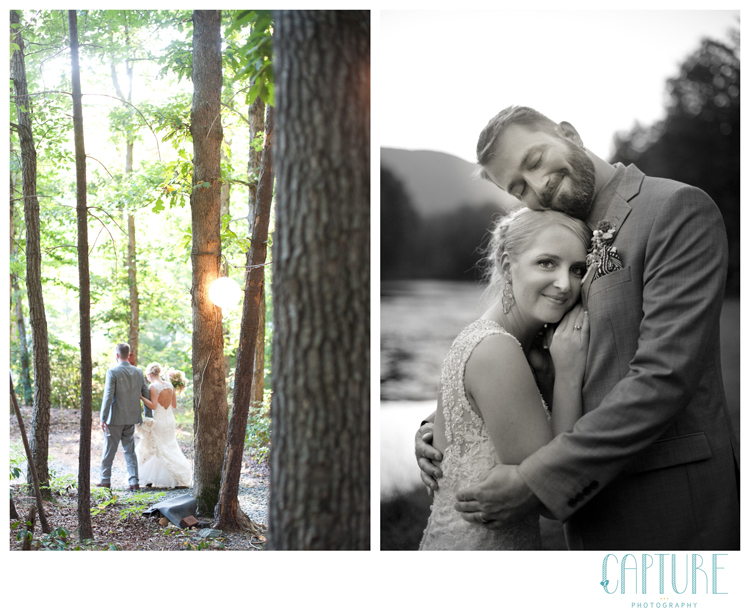 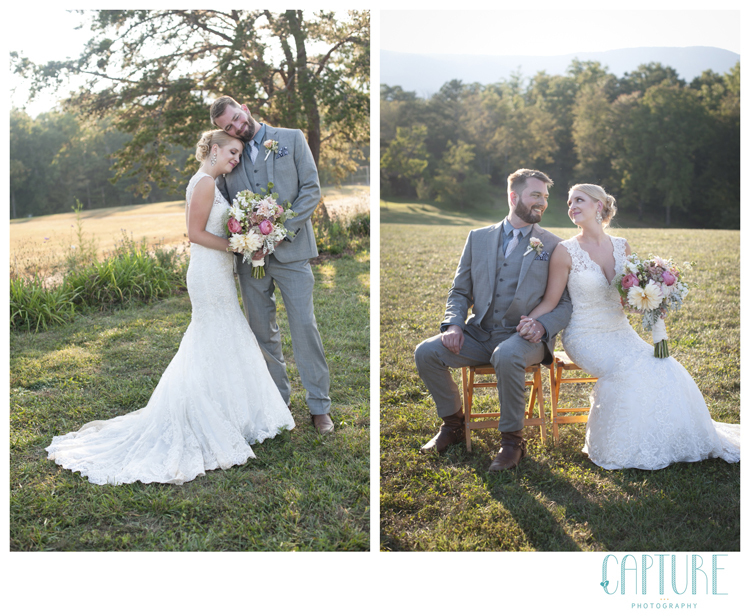 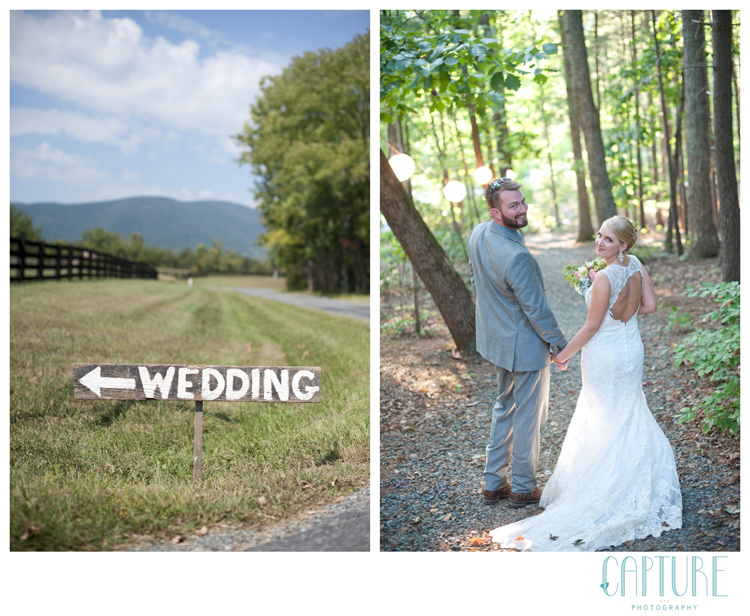 Nate and Carrie had a gorgeous afternoon to promise each other forever- the kind of sunny fall weather brides dream about! 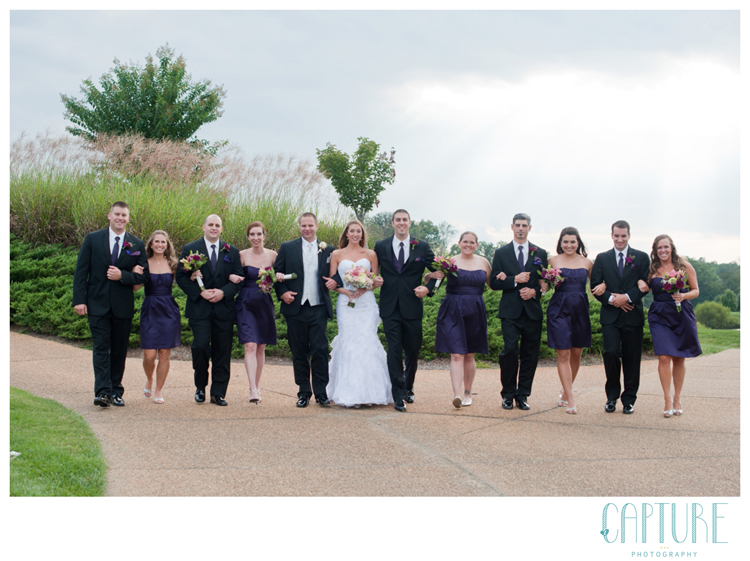 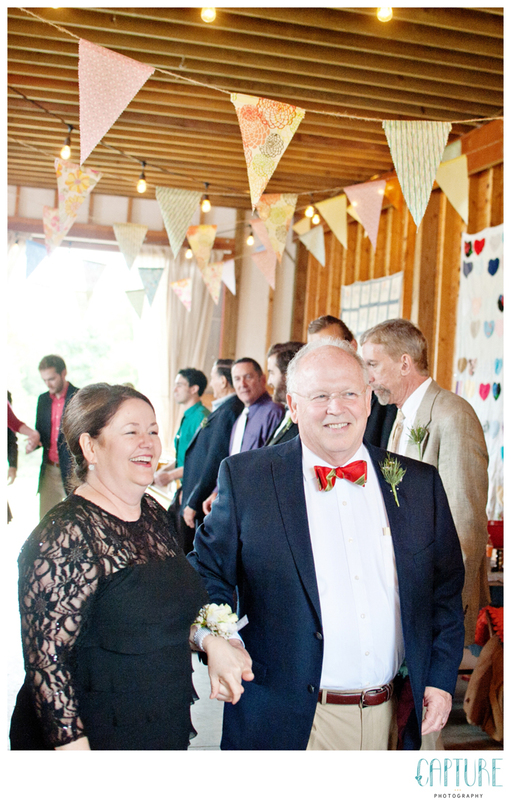 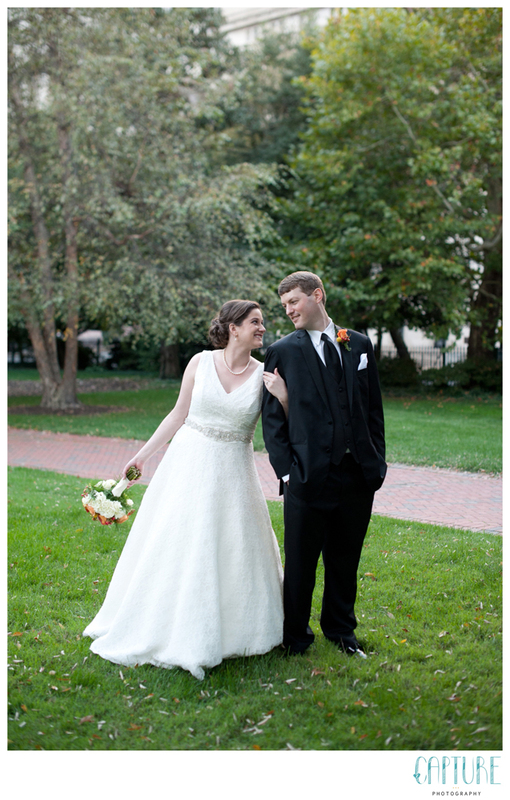 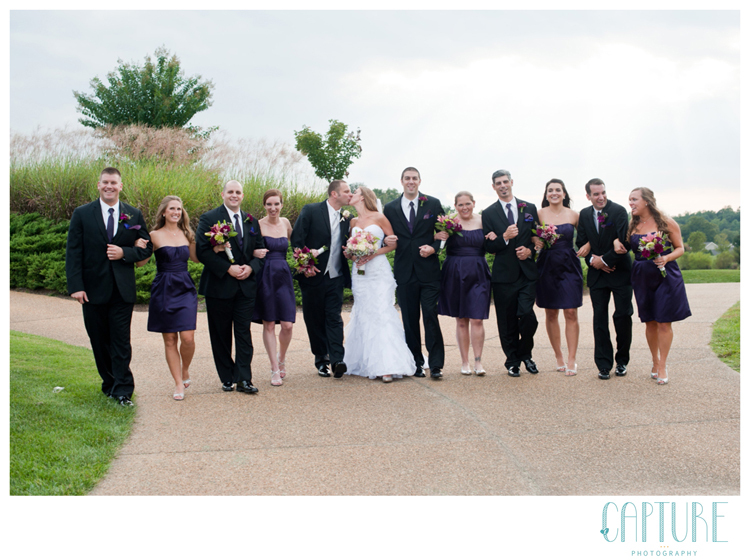 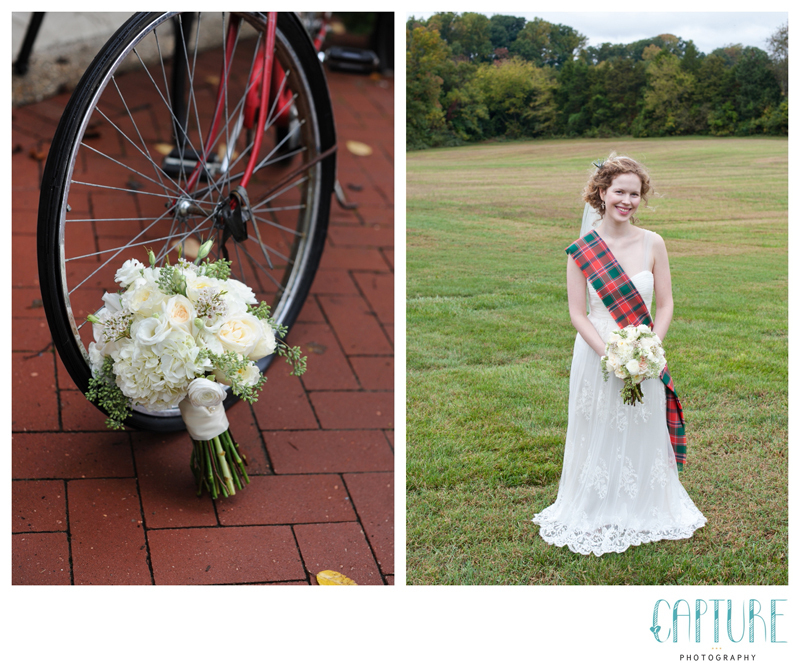 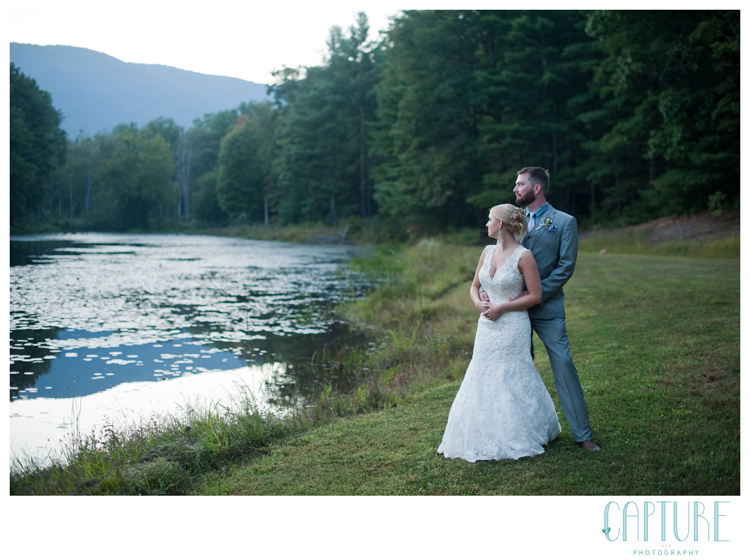 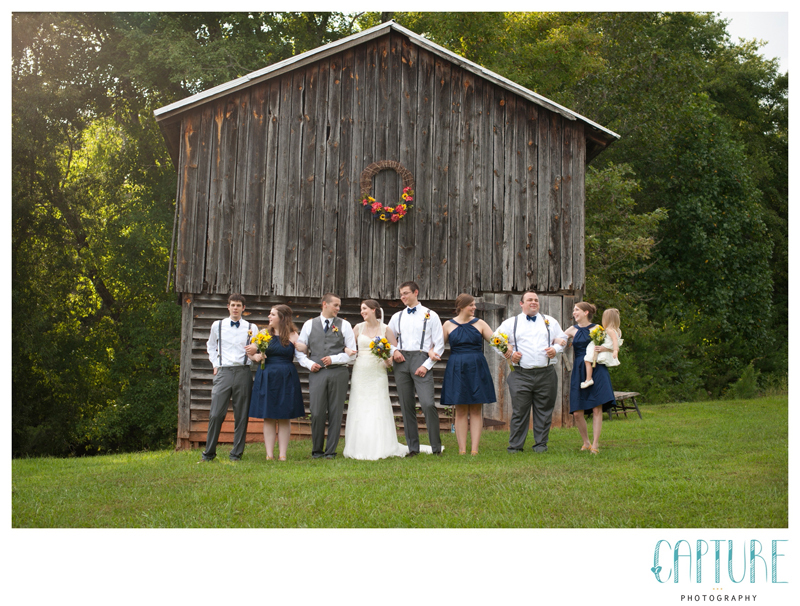 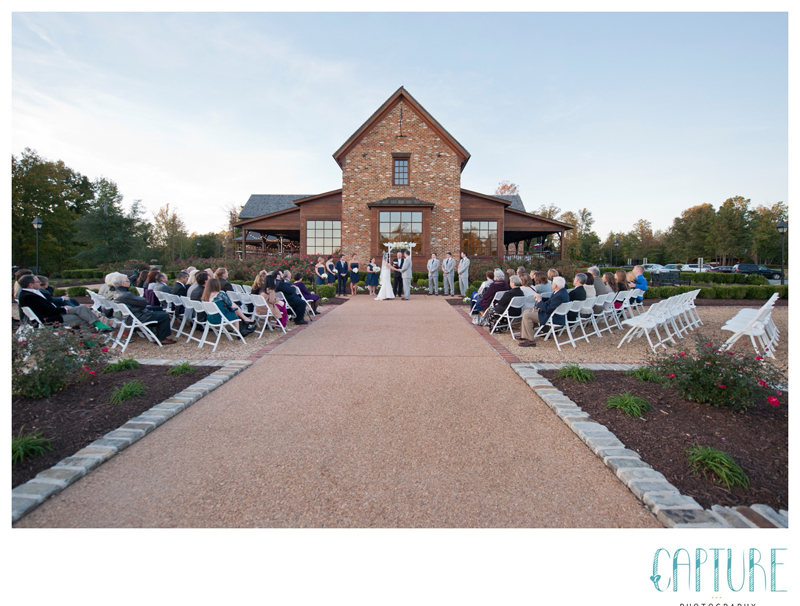 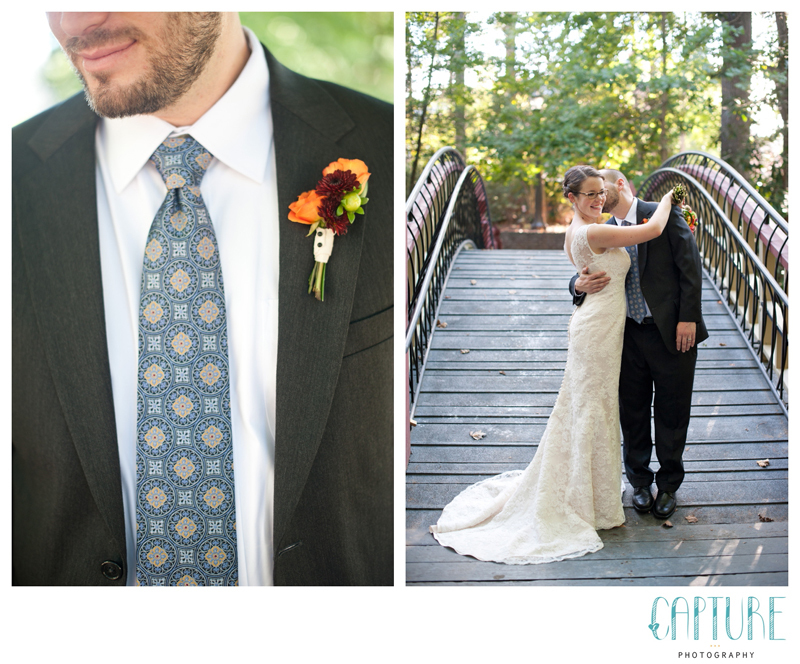 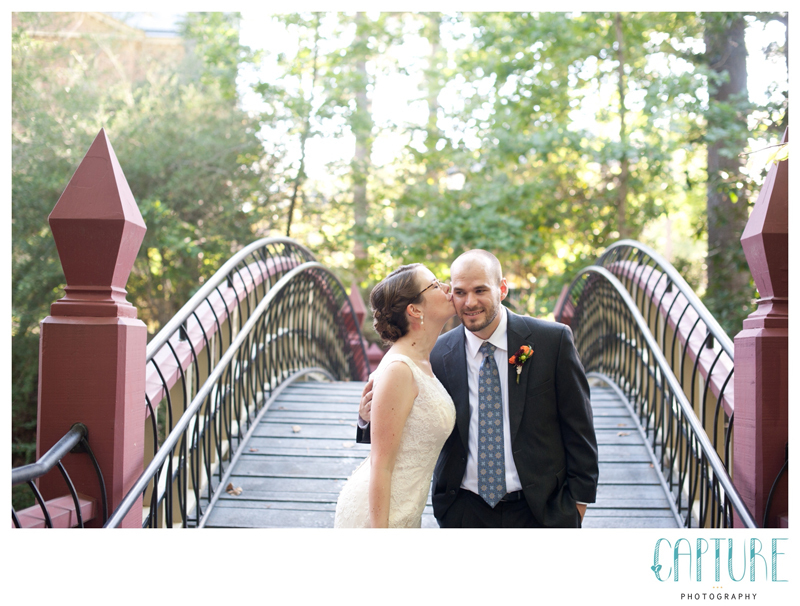 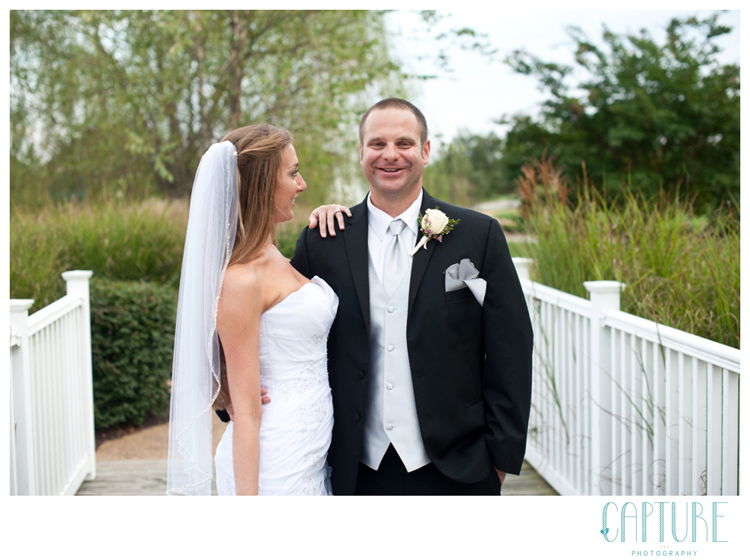 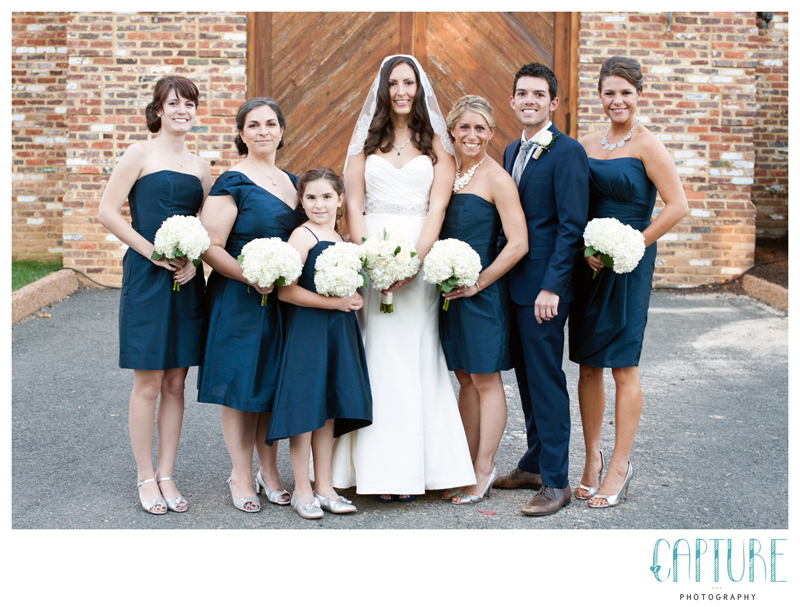 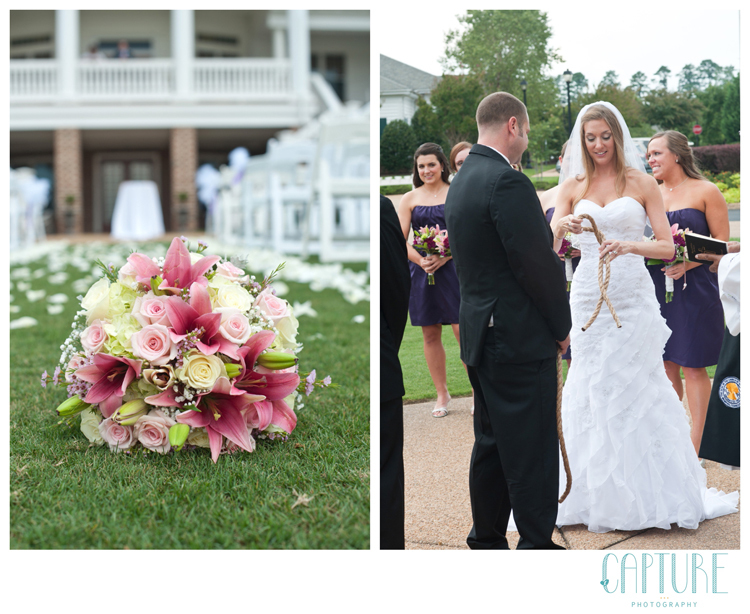 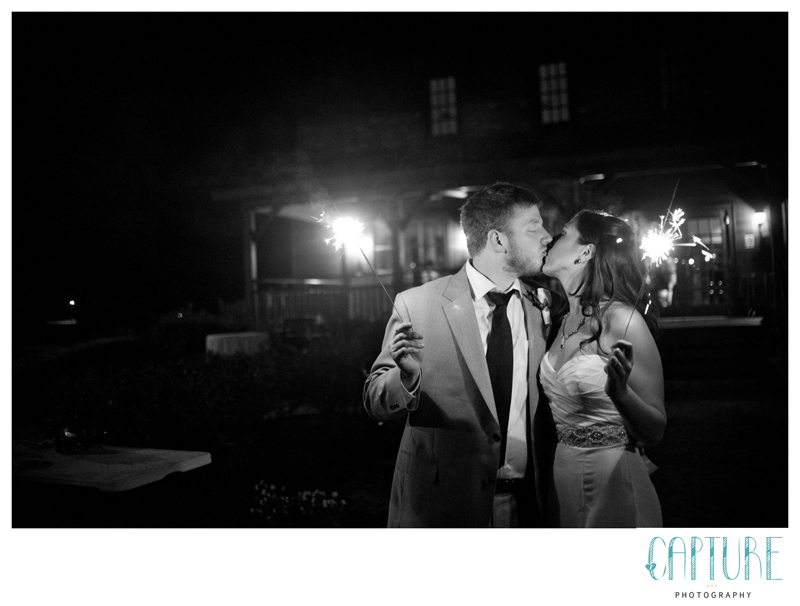 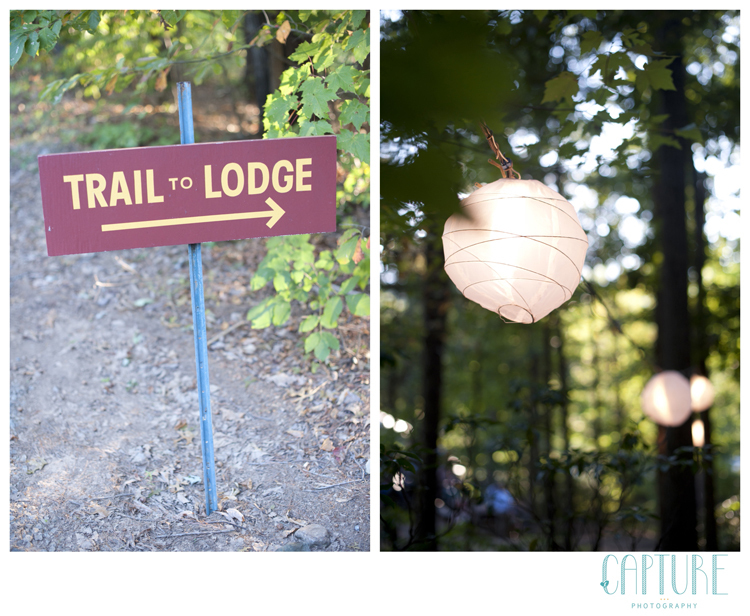 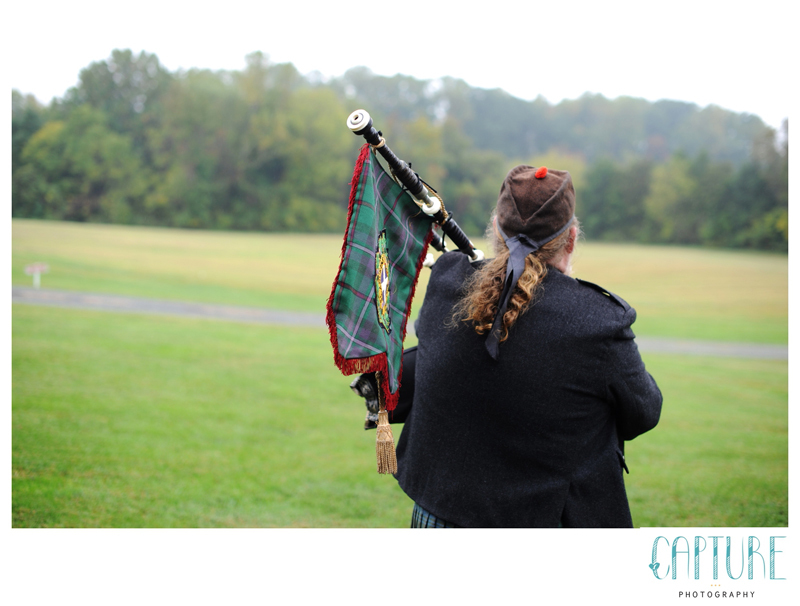 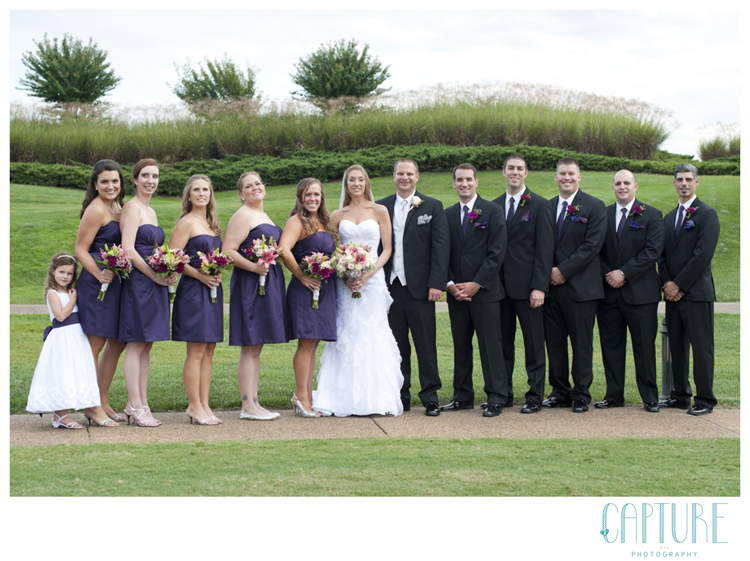 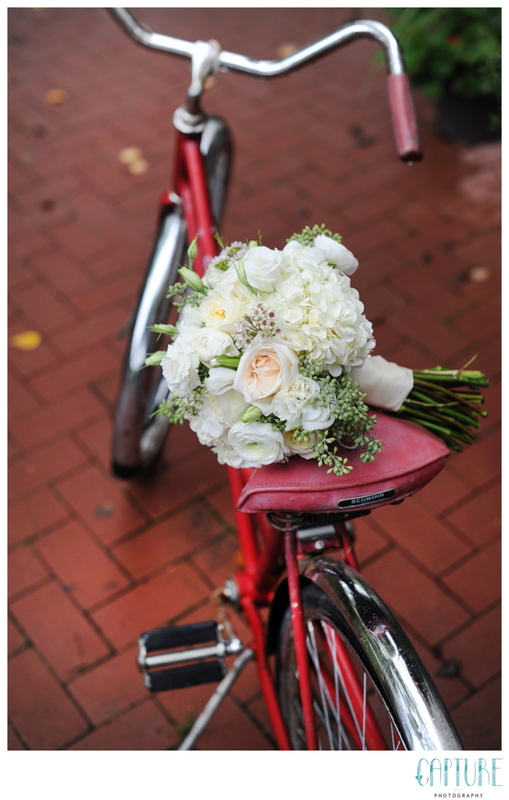 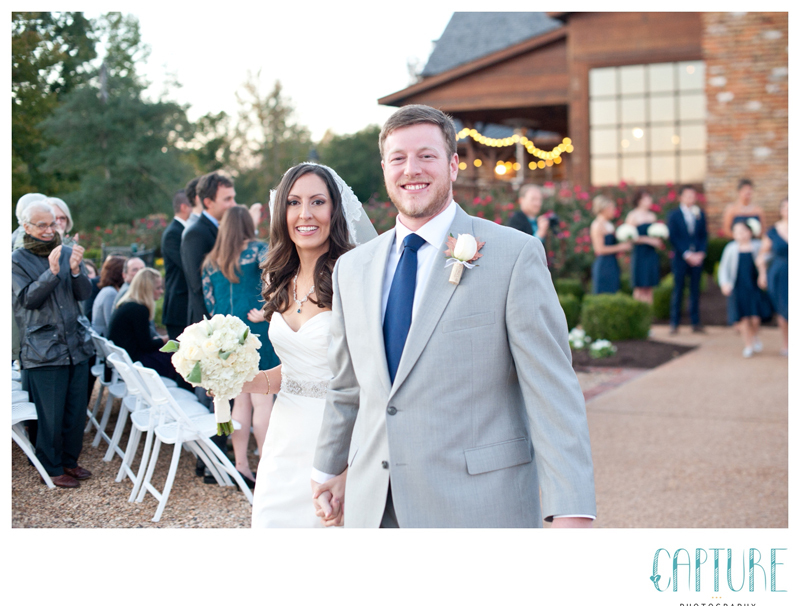 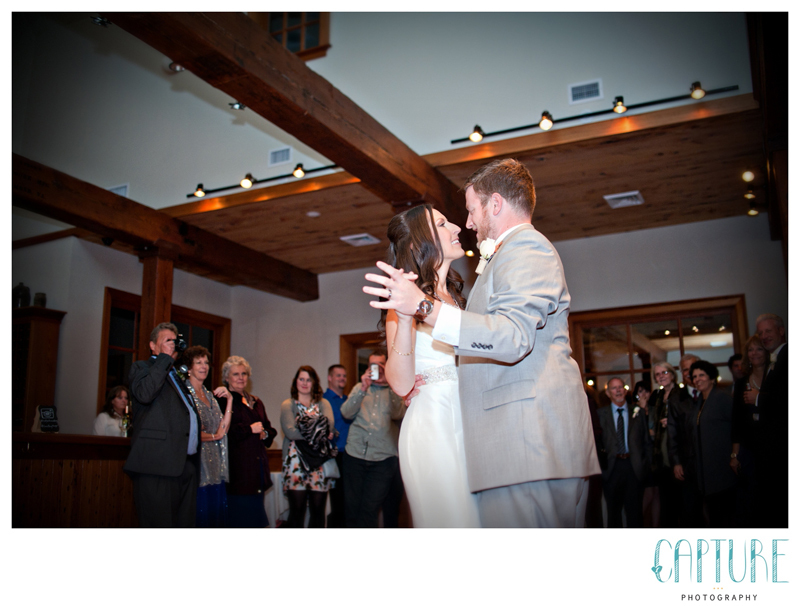 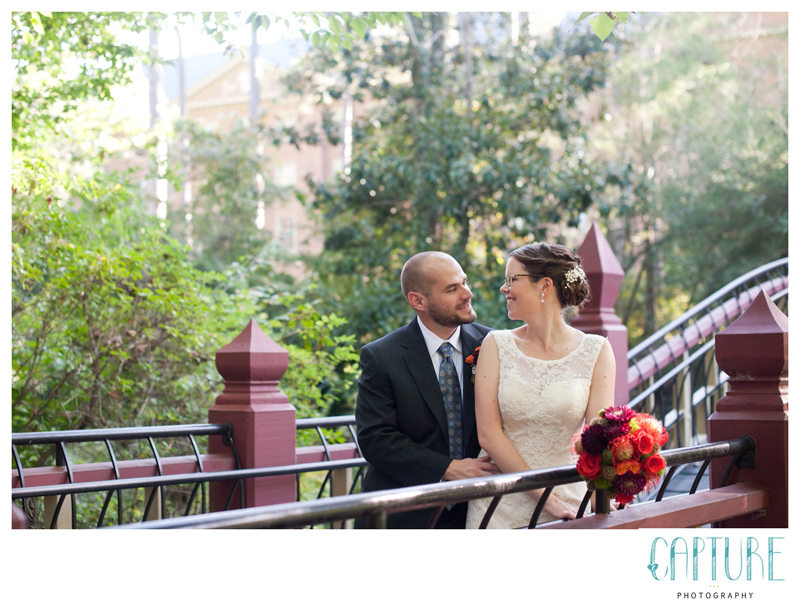 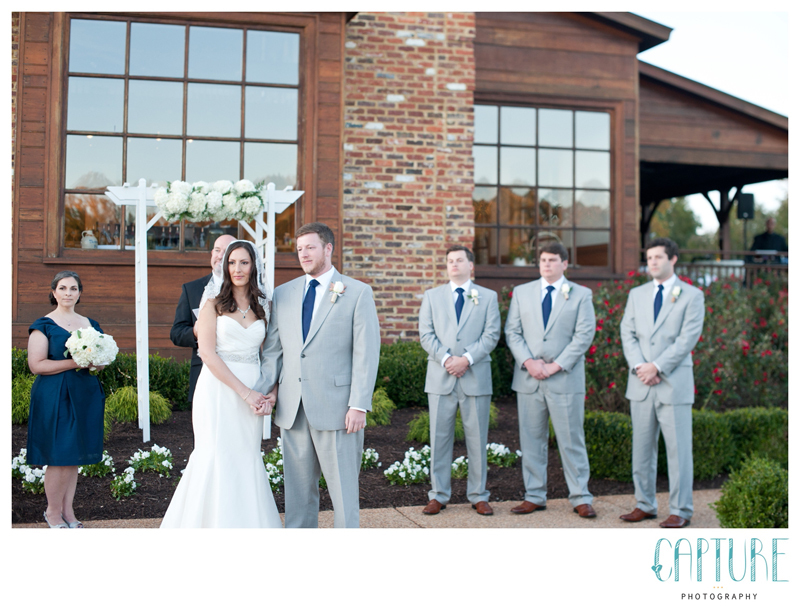 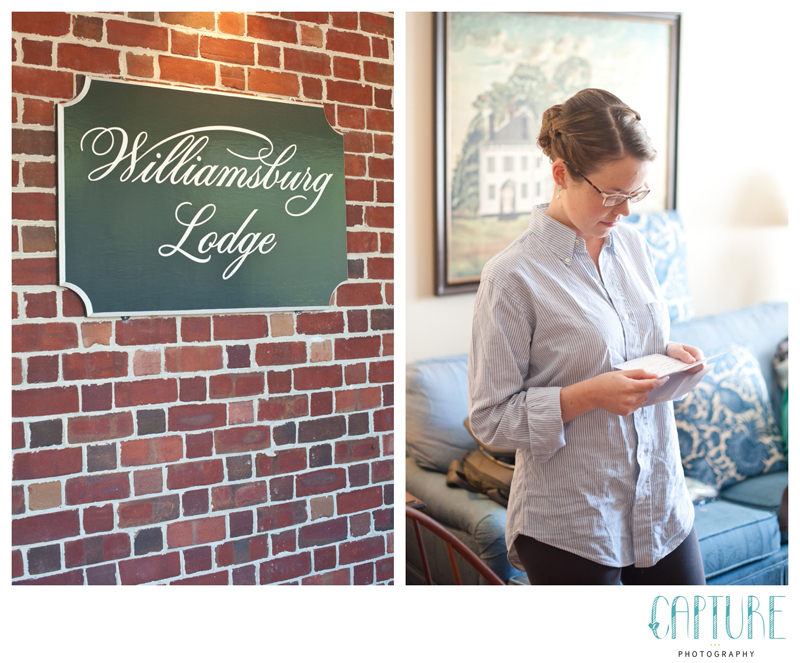 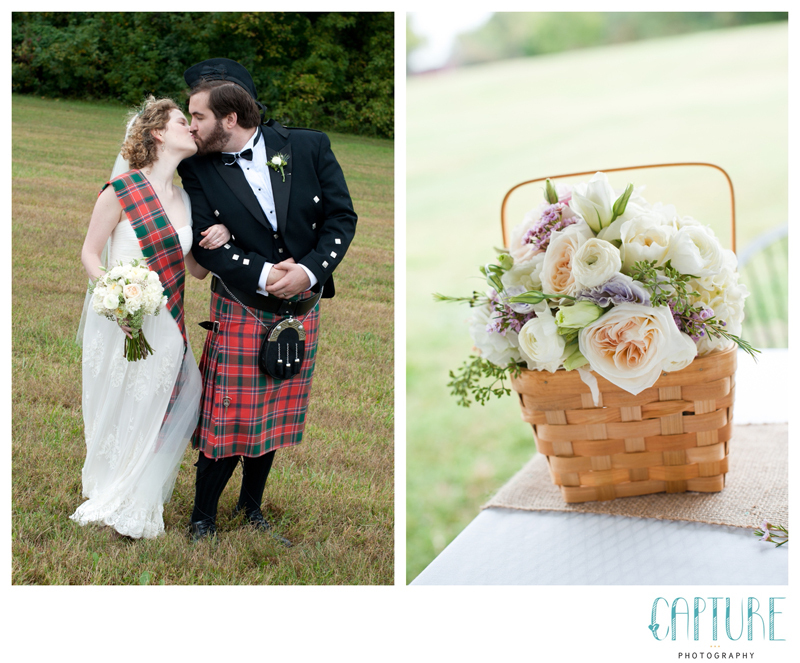 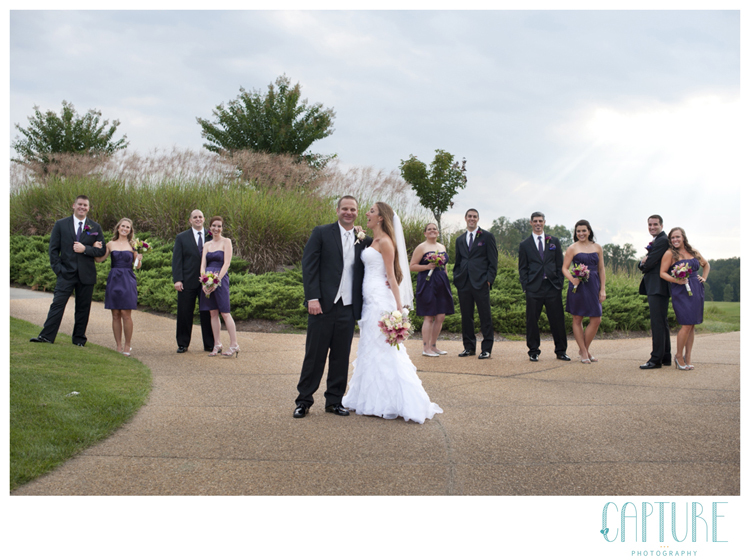 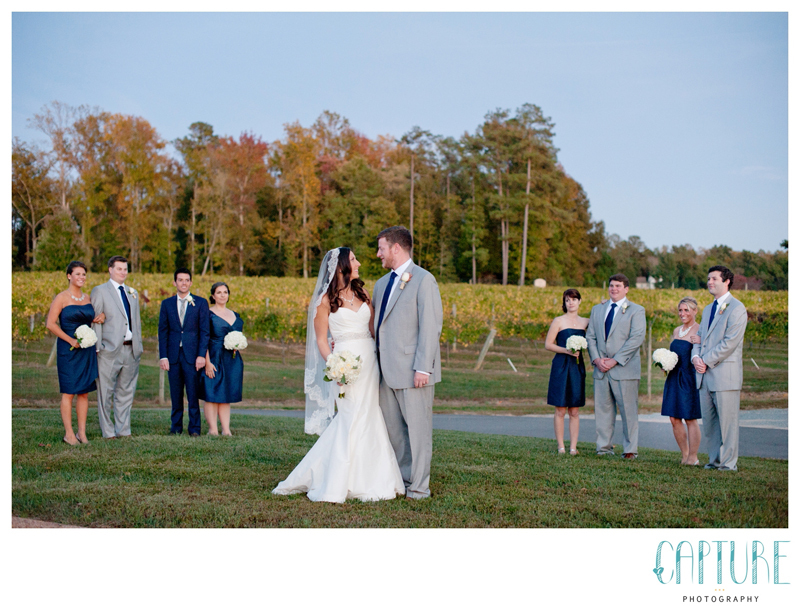 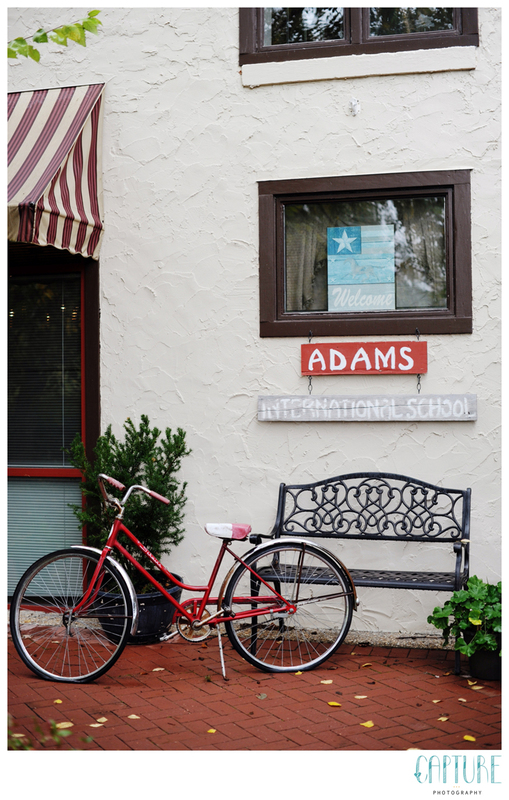 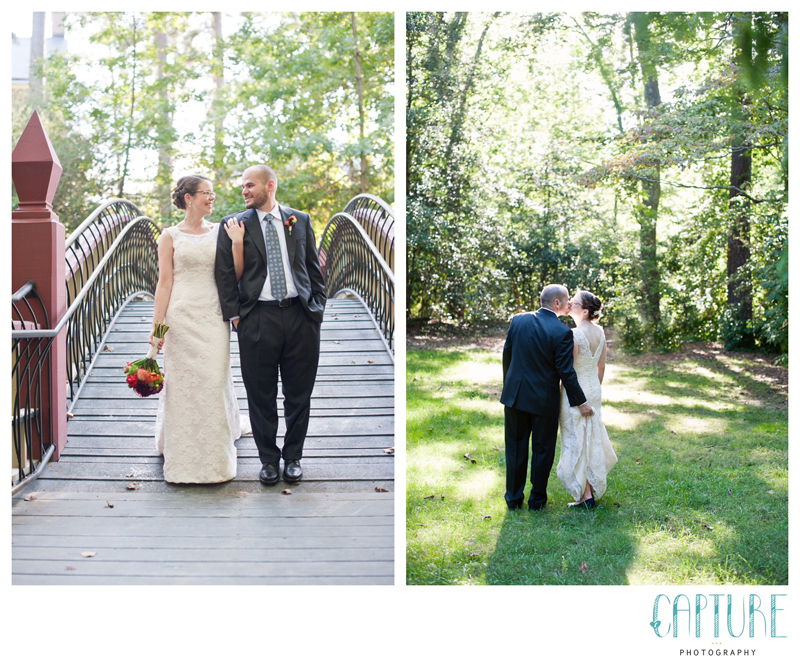 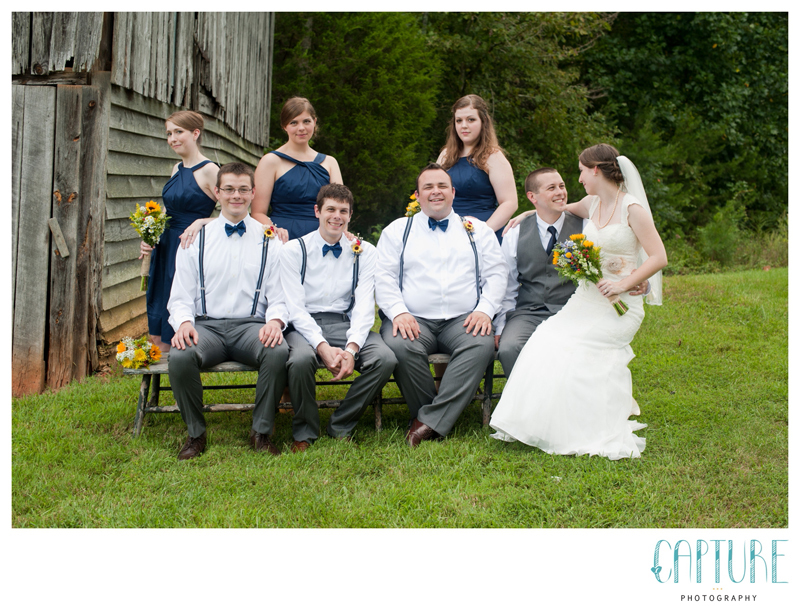 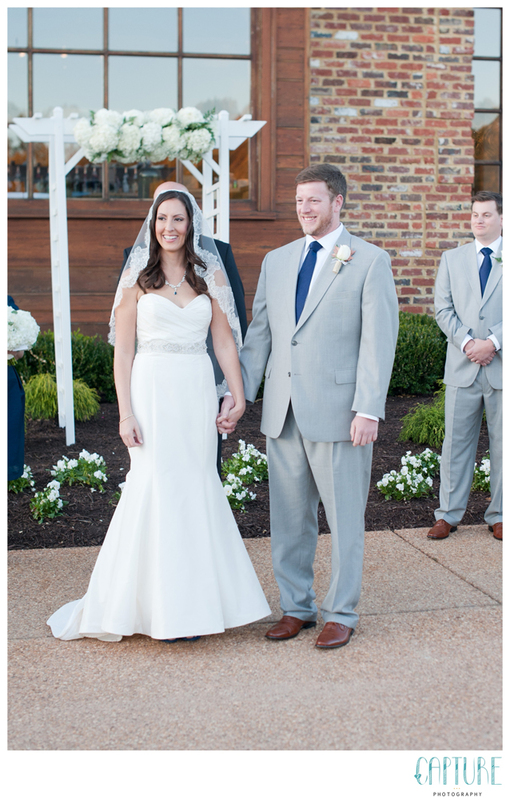 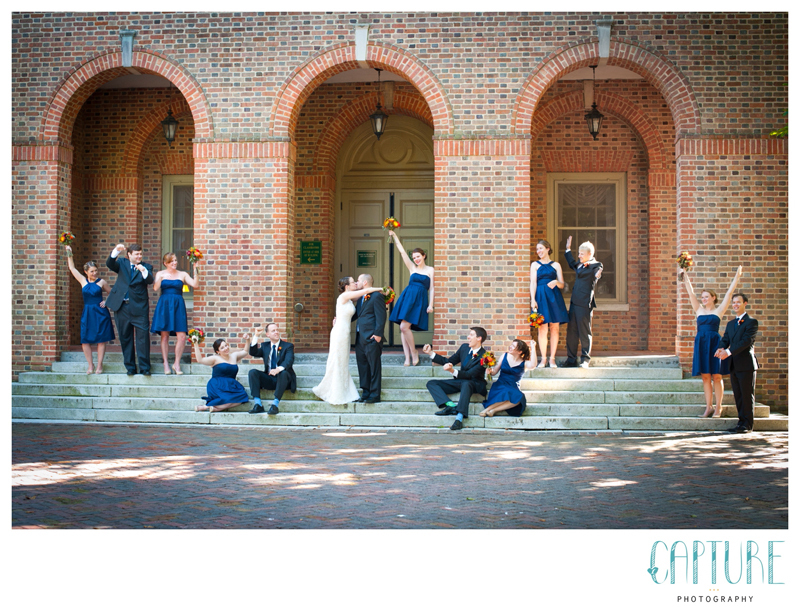 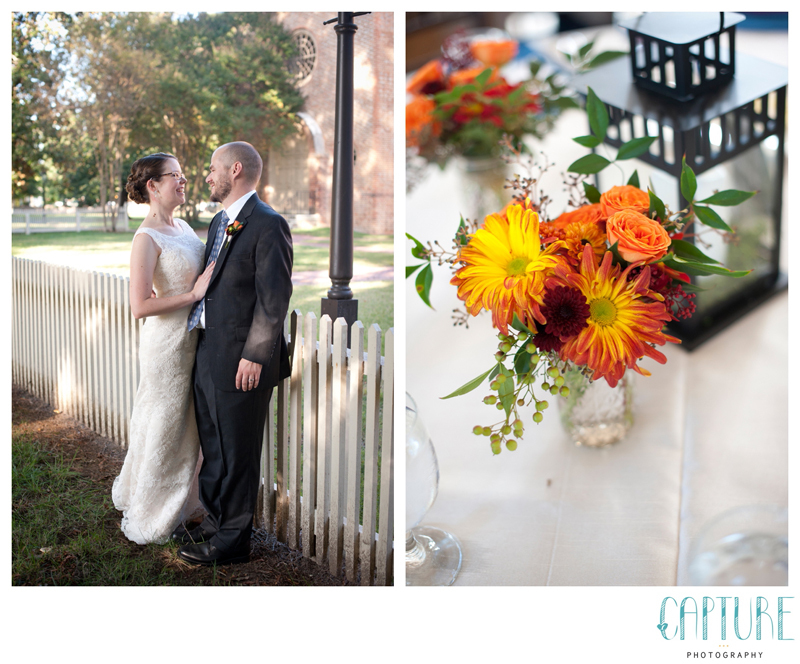 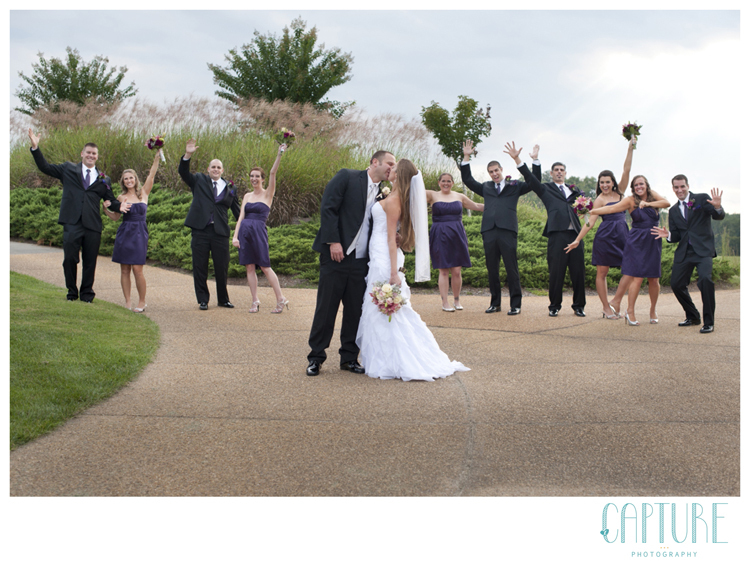 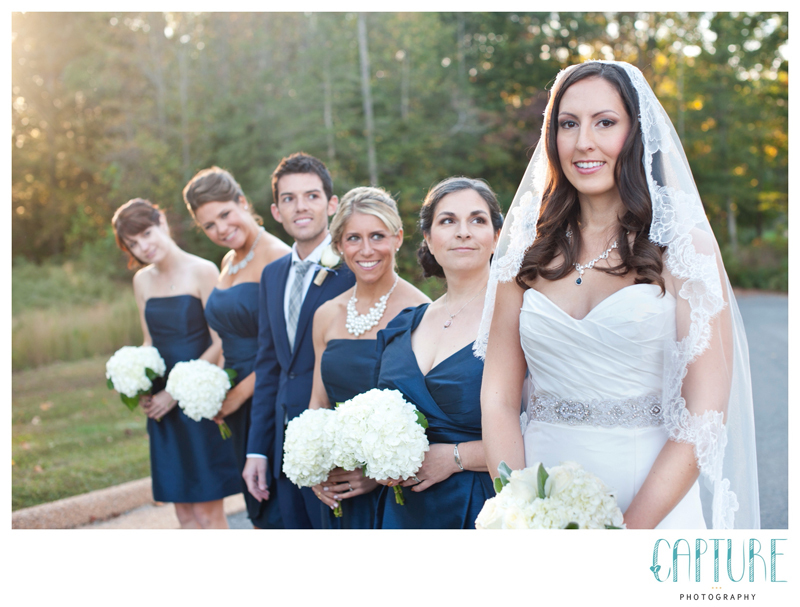 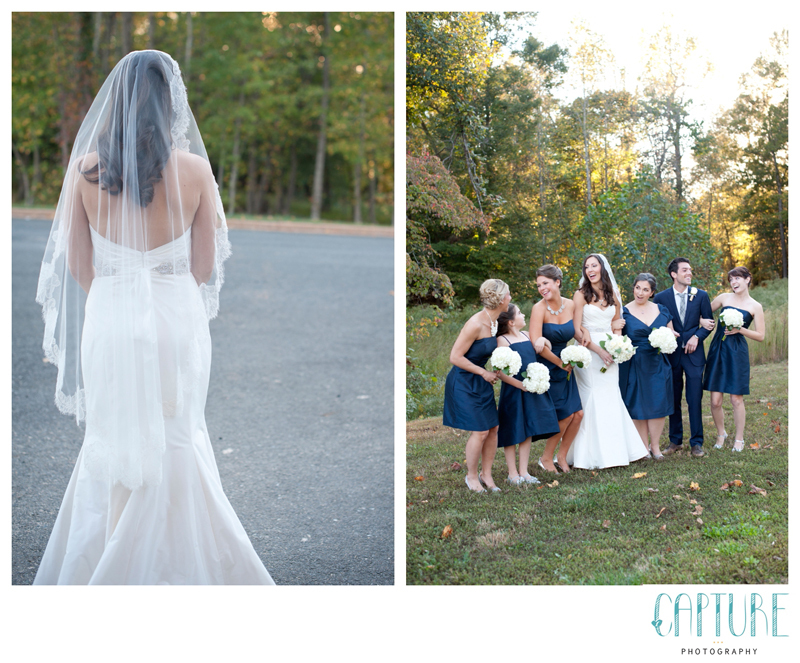 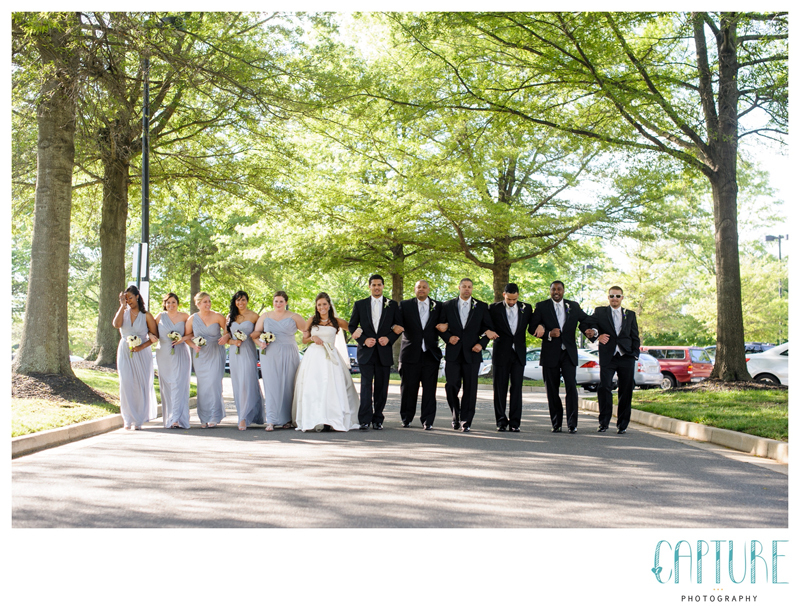 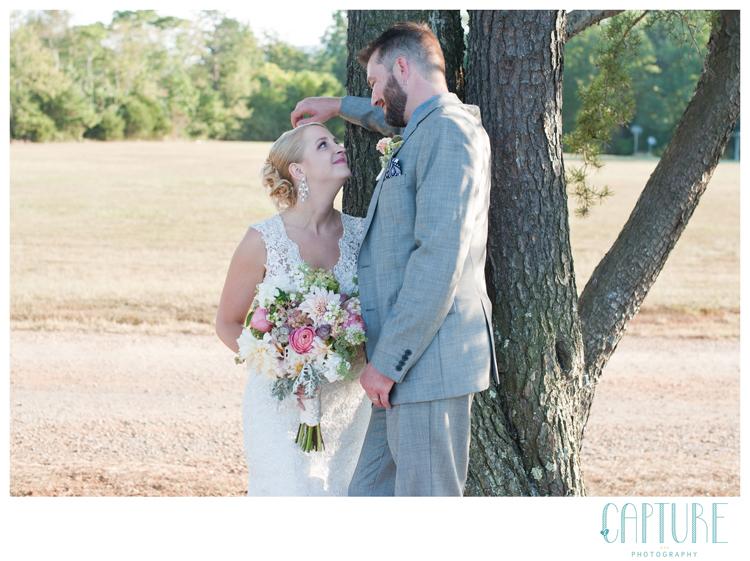 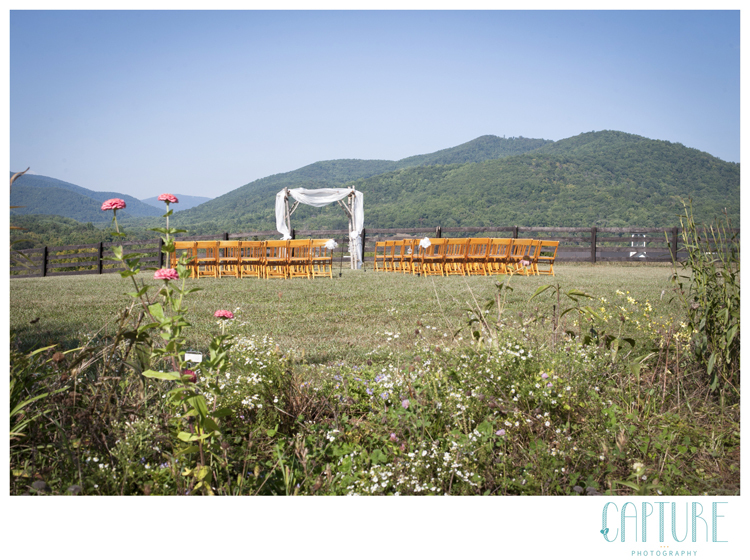 They started their day at the Williamsburg Lodge before heading to the beloved Wren Chapel for a beautiful ceremony. 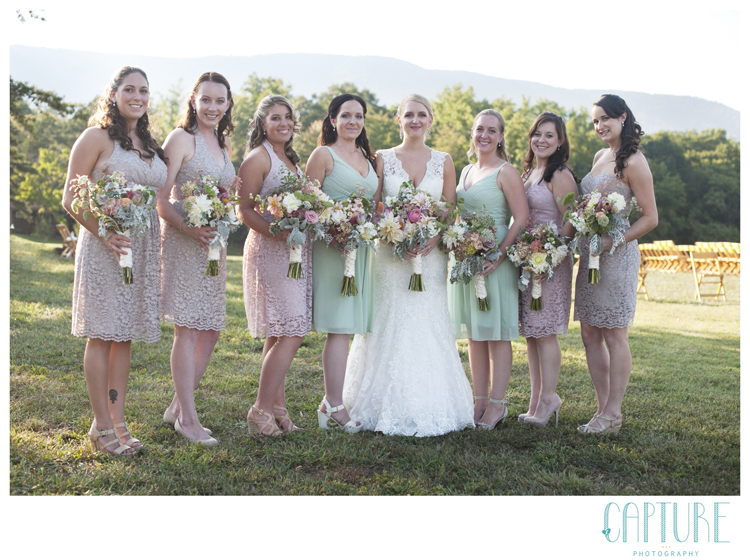 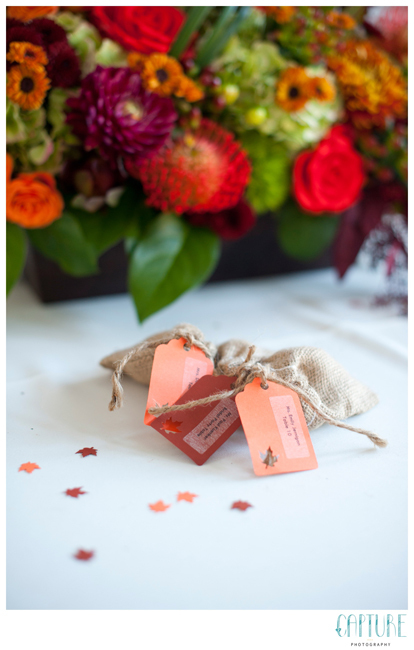 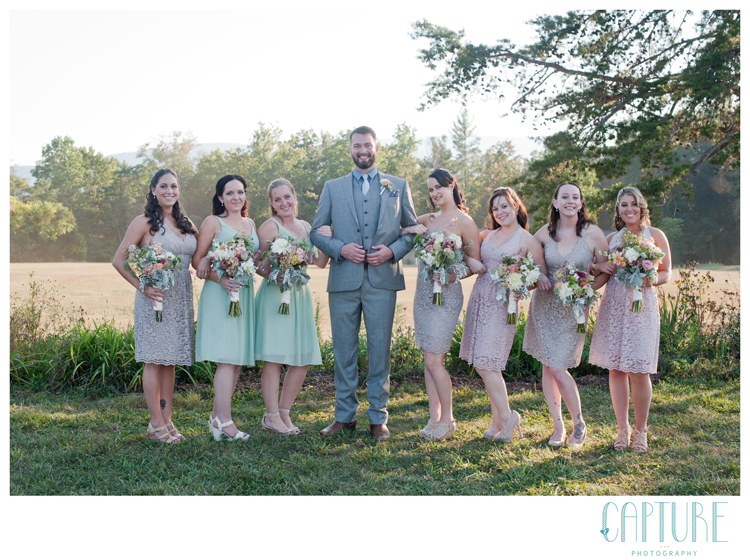 Everything from the flowers to the selected readings fit the two perfectly; there wasn’t a dry eye in the house when Carrie made her way down the aisle. 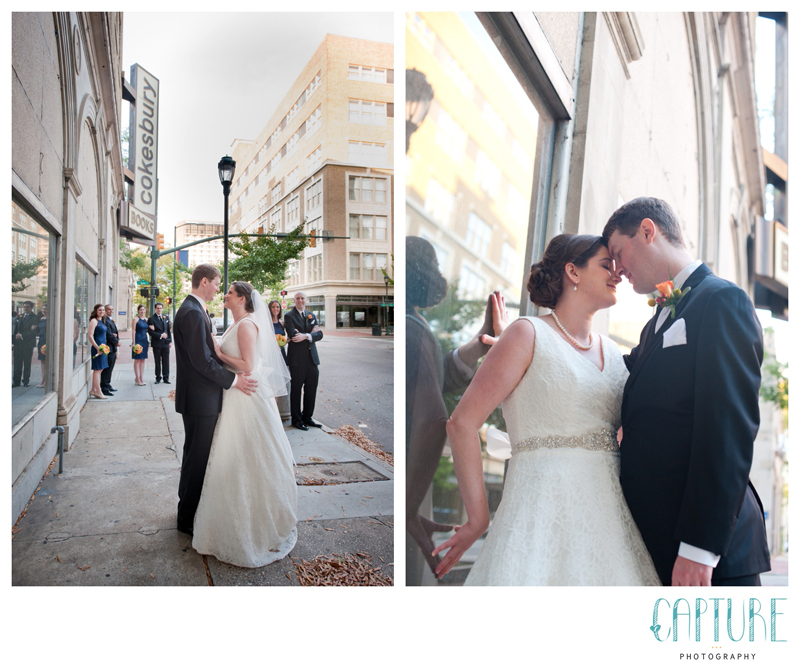 Following the vows, Nate & Carrie planned plenty of extra time for photos. 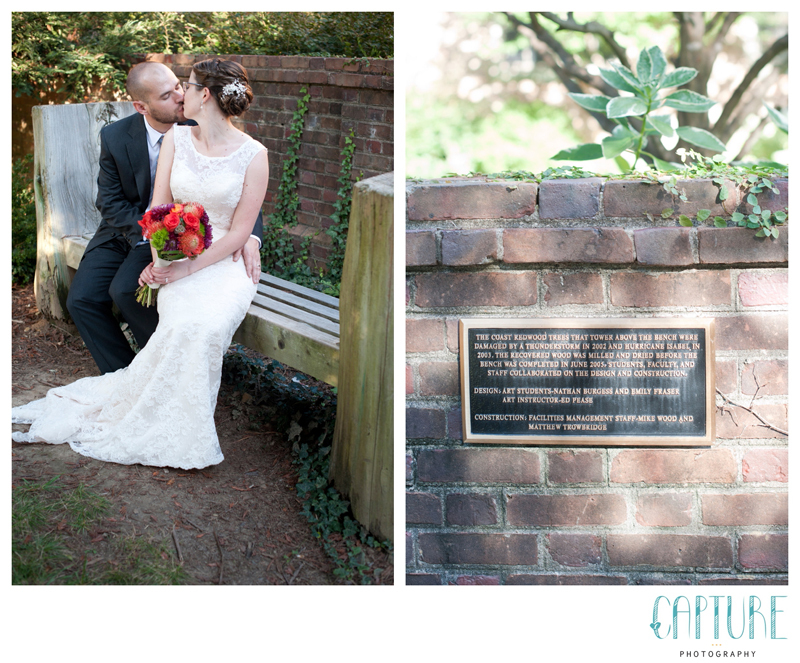 We had the luxury of an entire hour to explore the William & Mary campus, including a bench that Nate helped design during his time at the college! 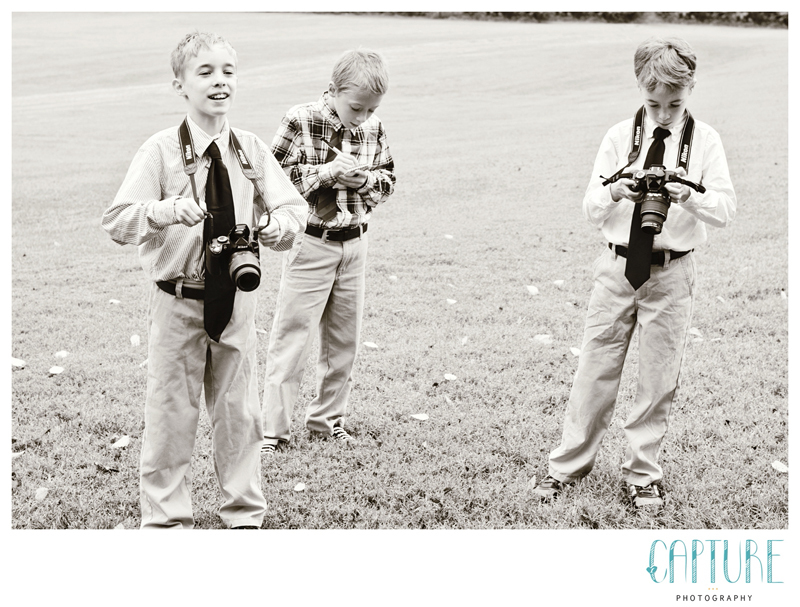 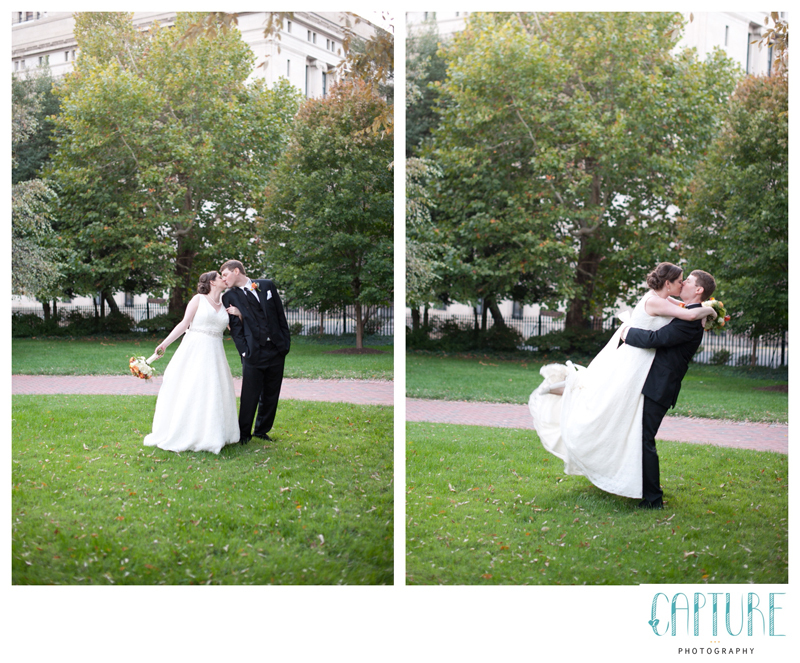 We were thrilled to have such a long portrait session, leaving us with tons of amazing photos. 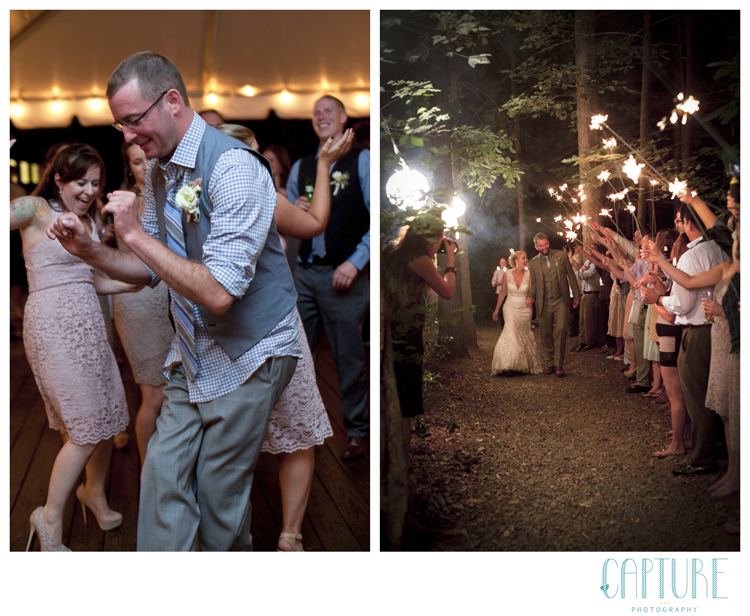 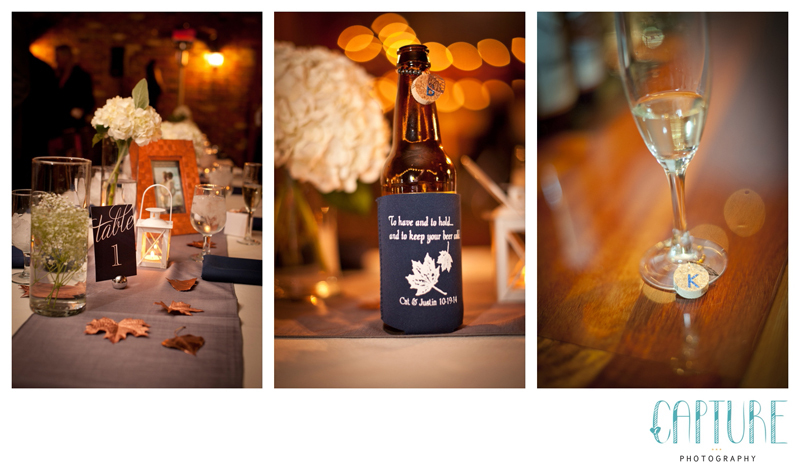 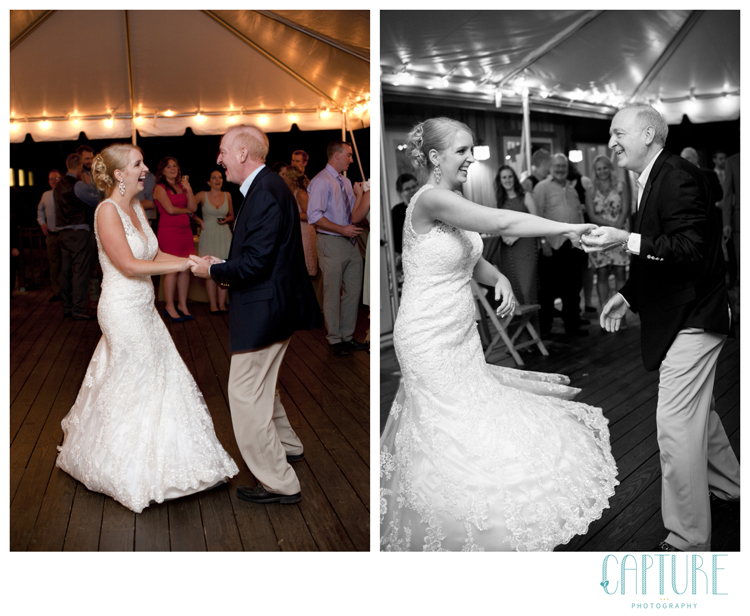 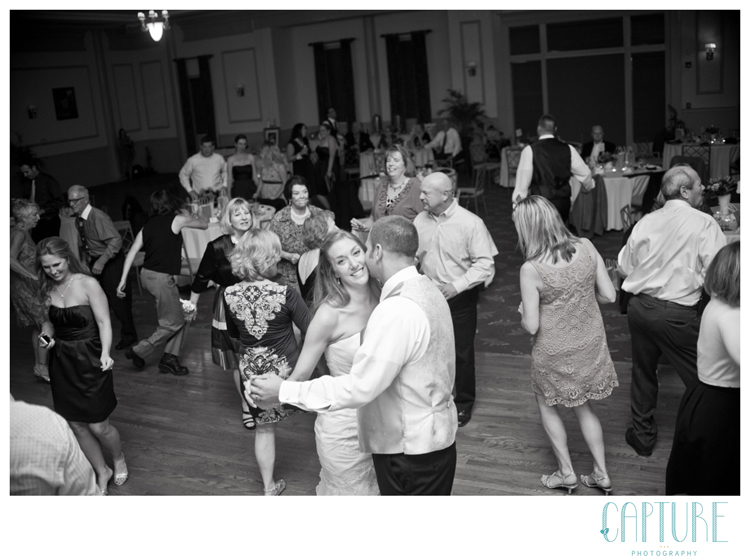 The evening ended with toasts, plenty of dancing, and all their loved ones celebrating together. 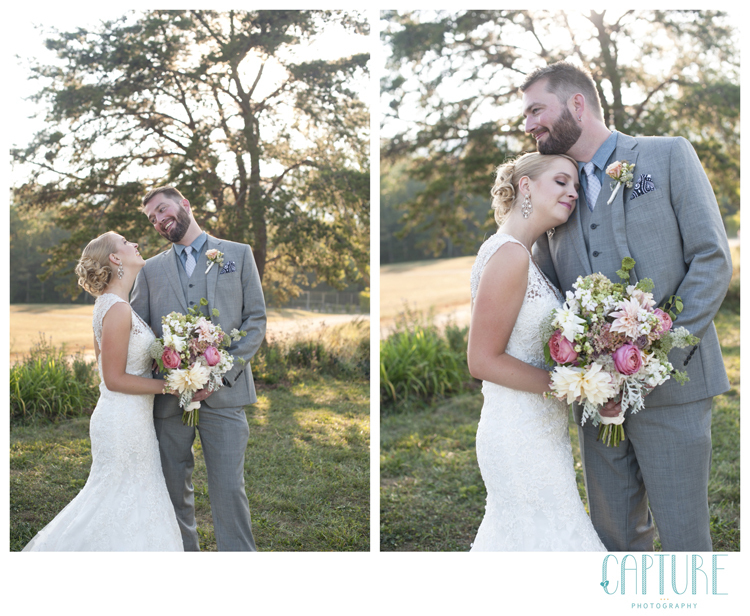 Congratulations you two, we are so happy to have been a part of your wedding day! 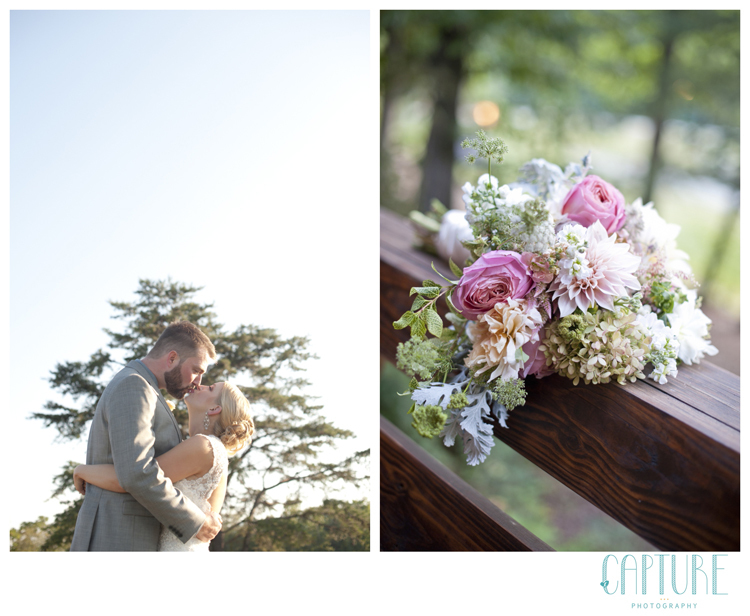 We are excited to share images from Hayden and Margot’s summer wedding at The Boathouse at Sunday Park featured on Borrowed and Blue! 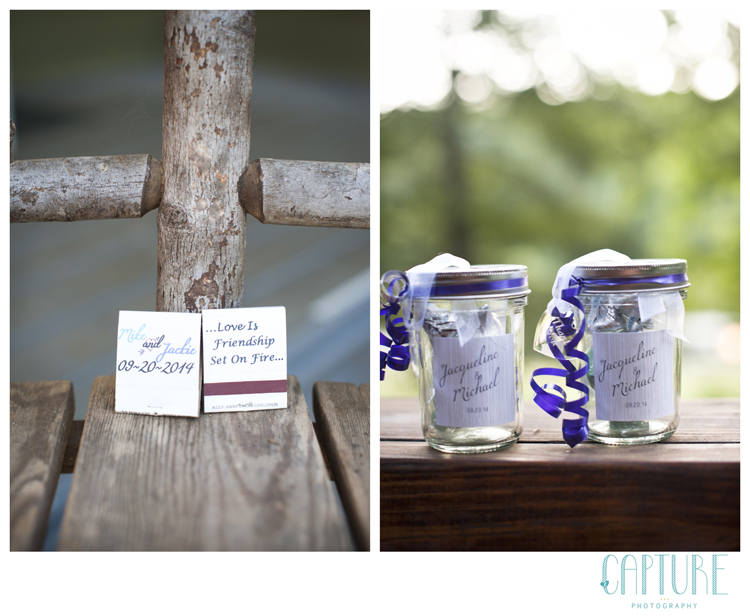 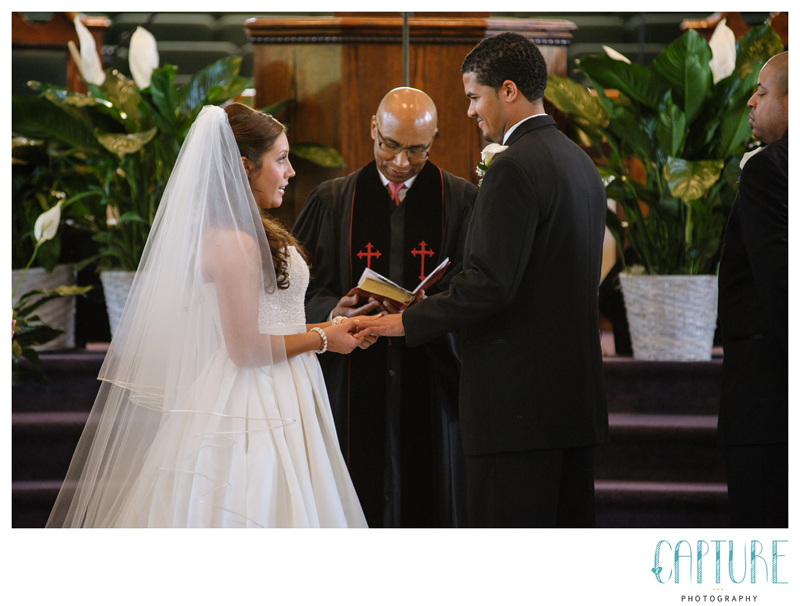 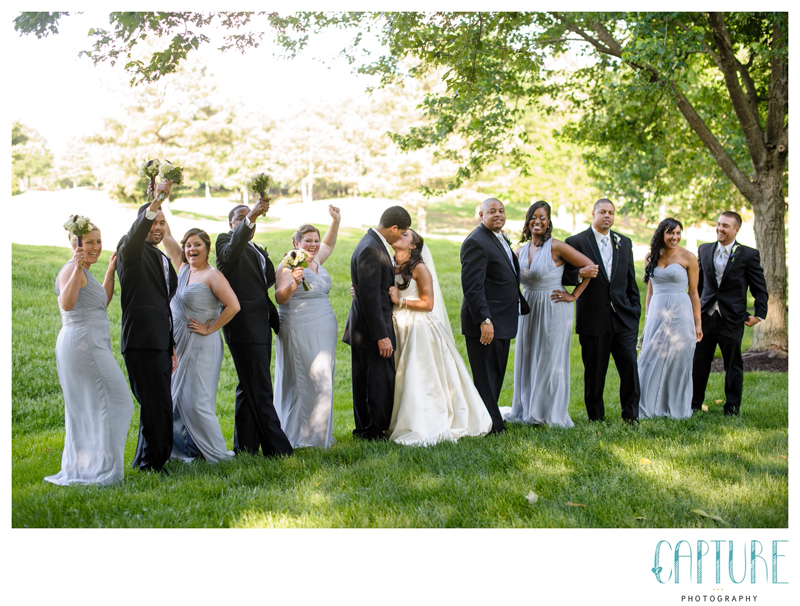 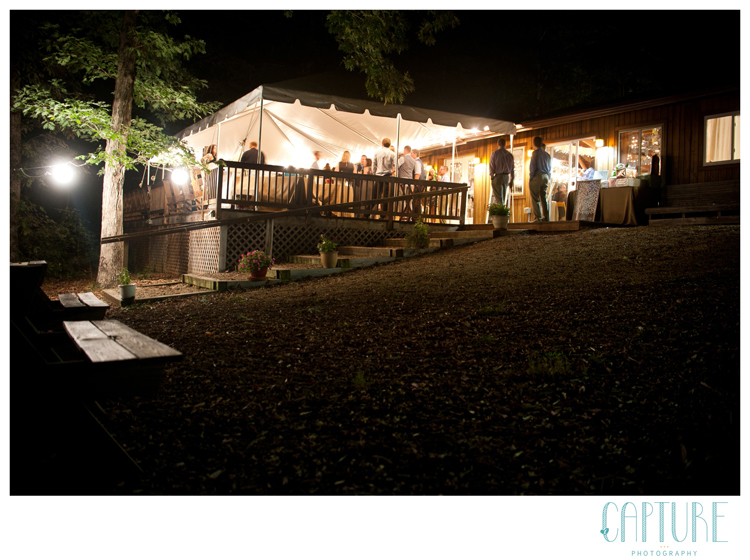 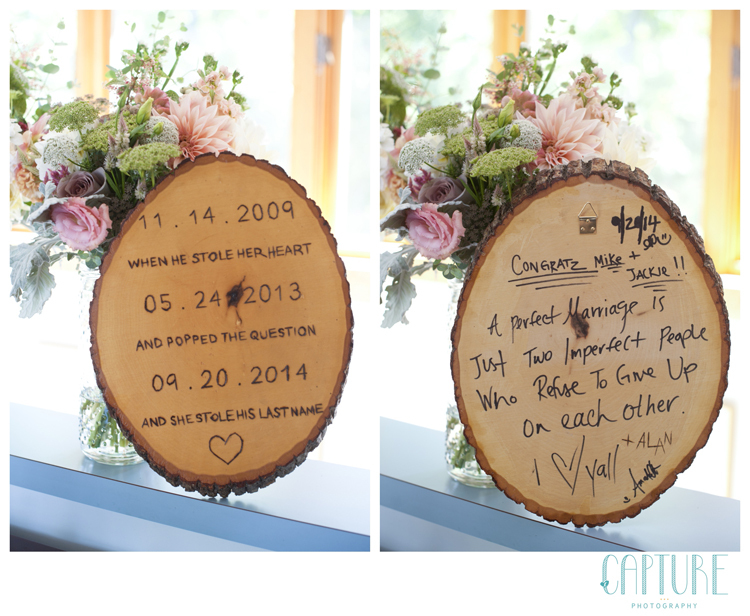 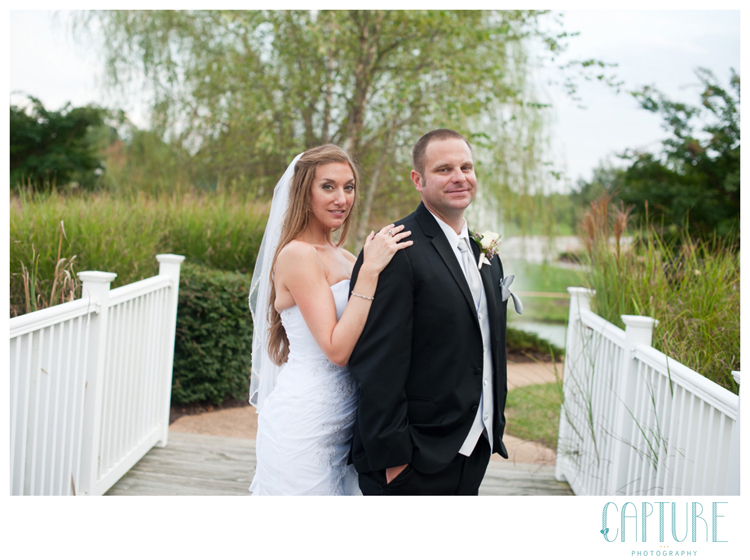 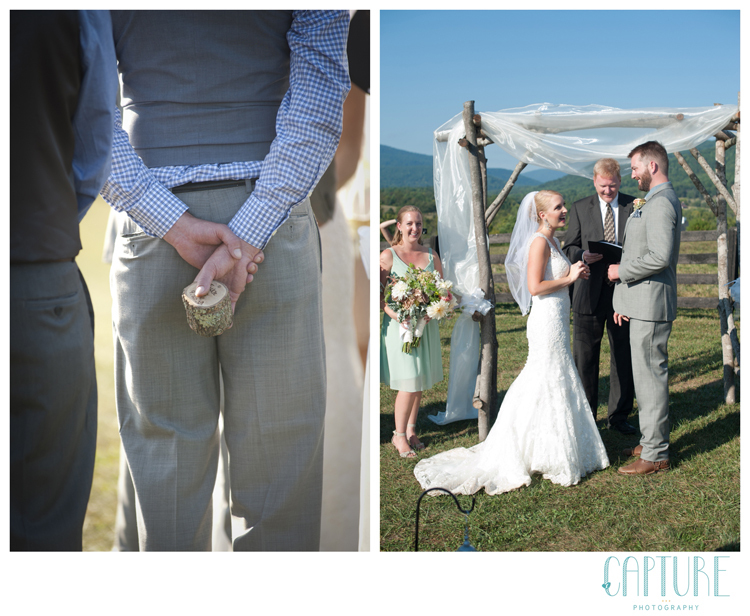 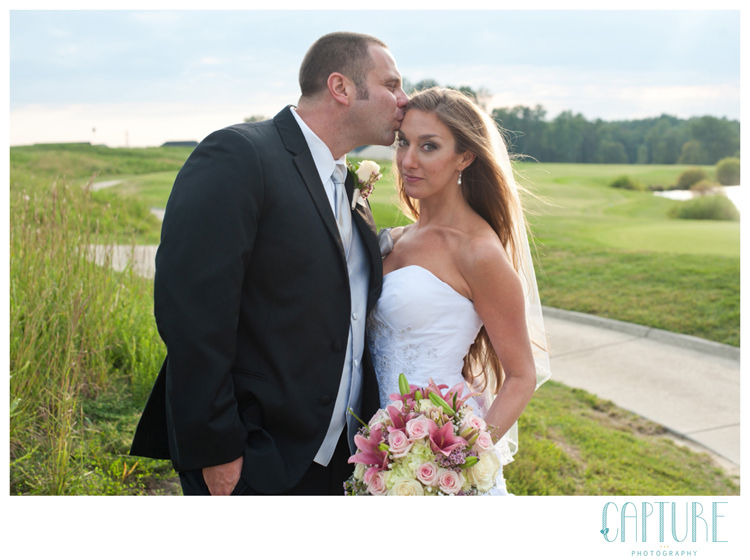 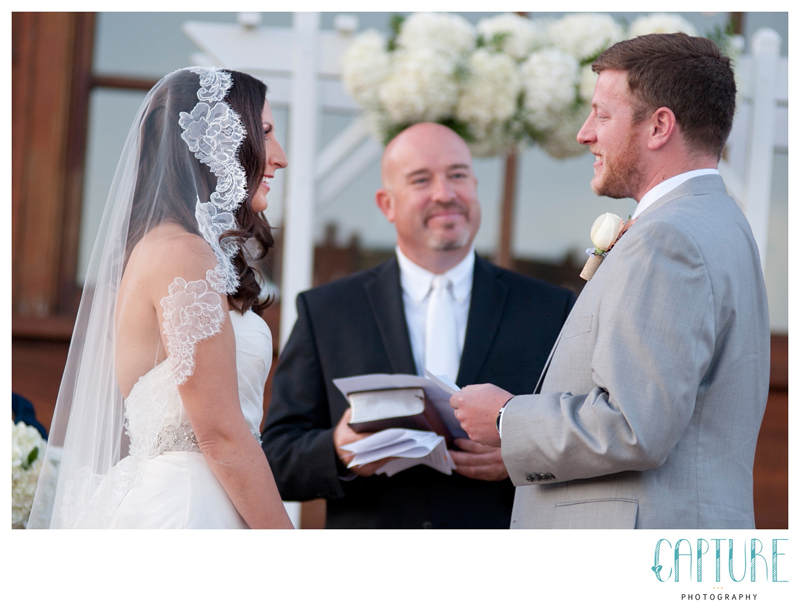 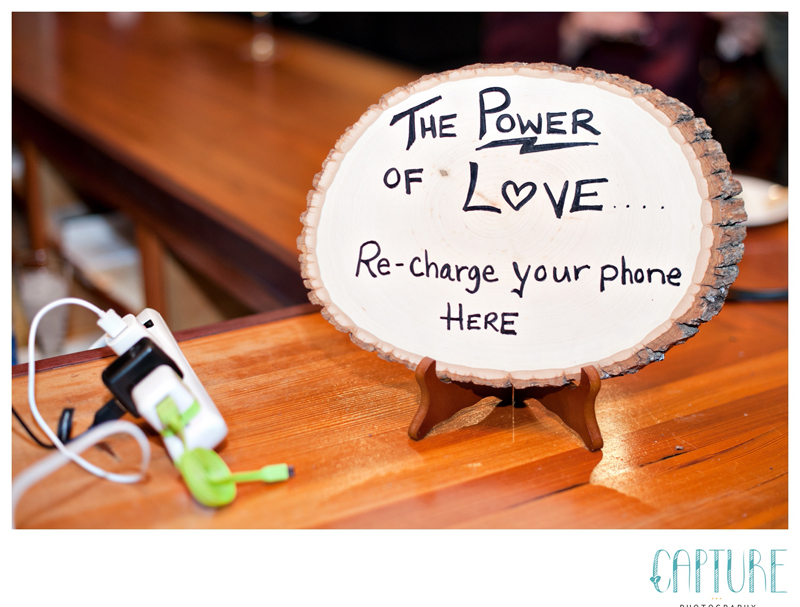 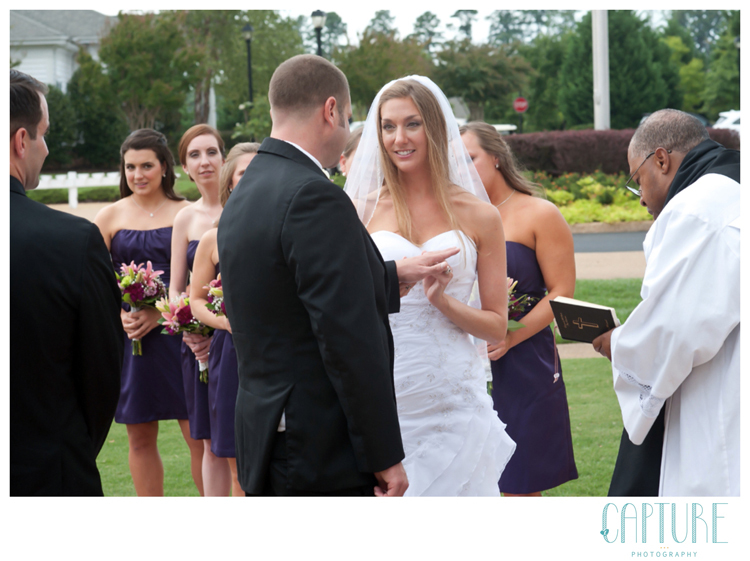 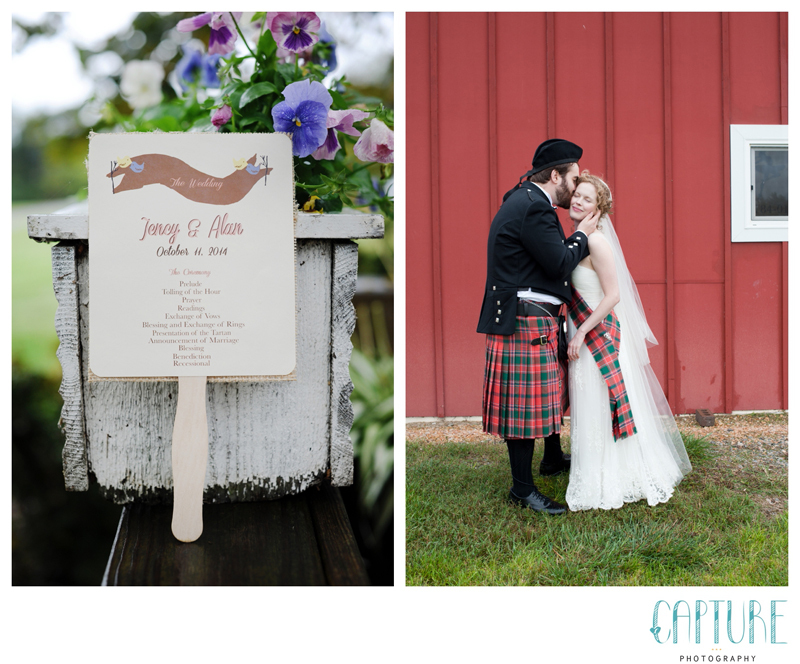 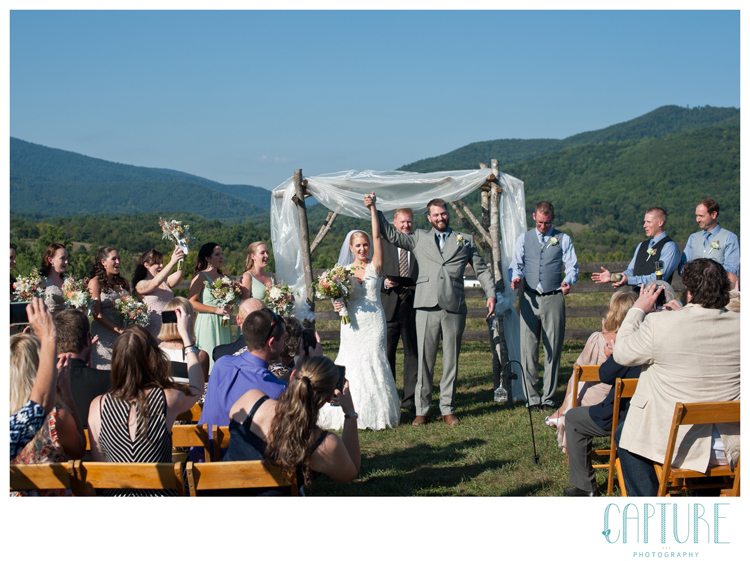 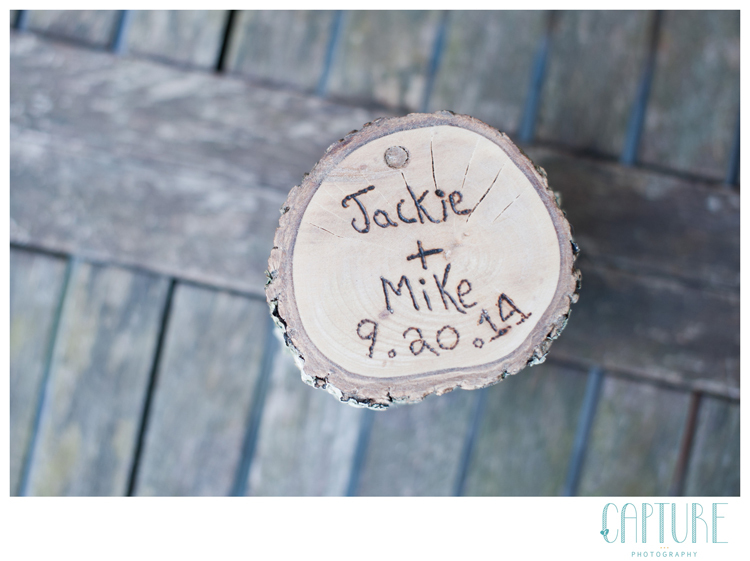 On June 14, 2014 at the waters edge they celebrated their commitment and vows. 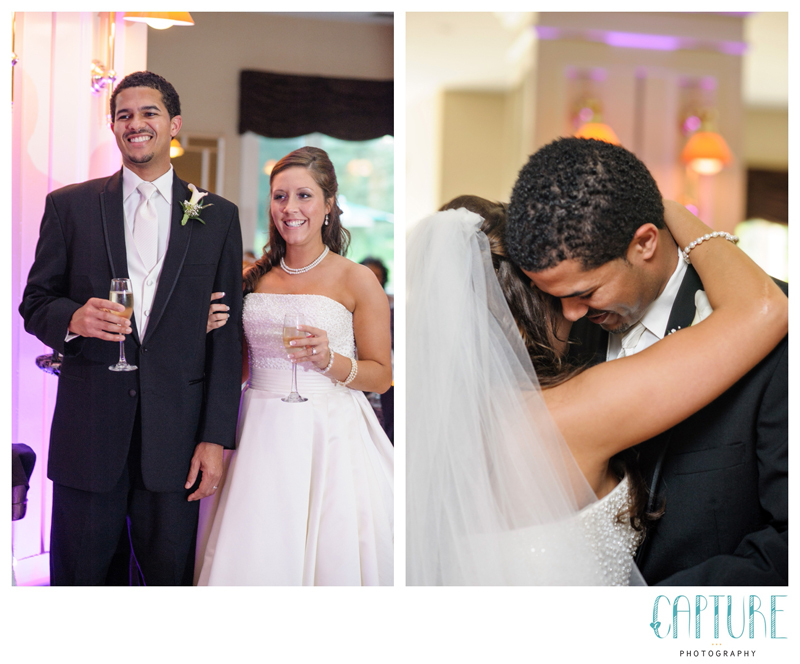 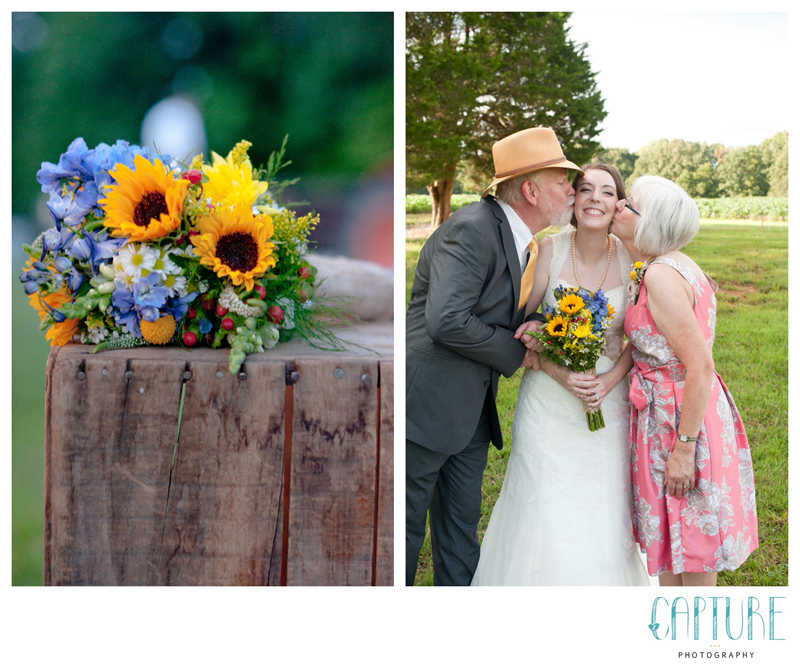 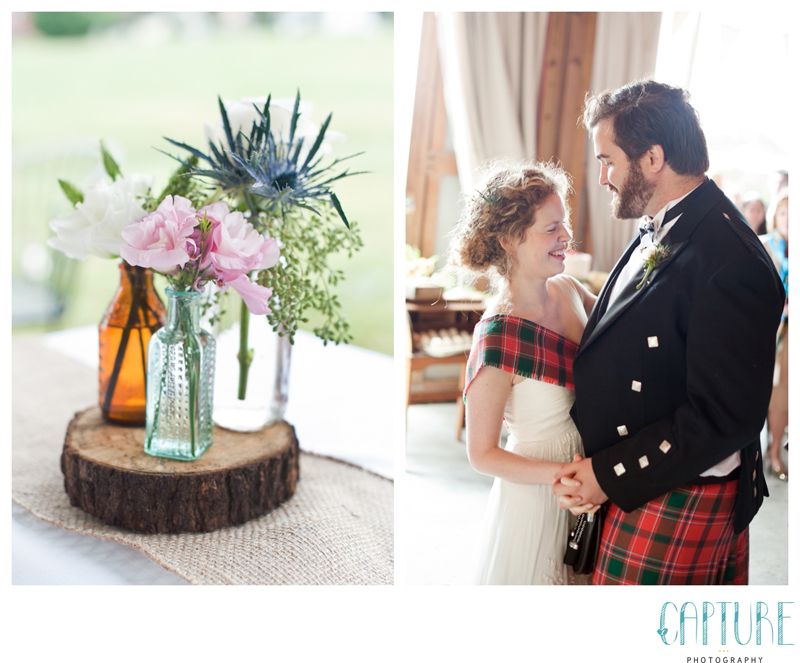 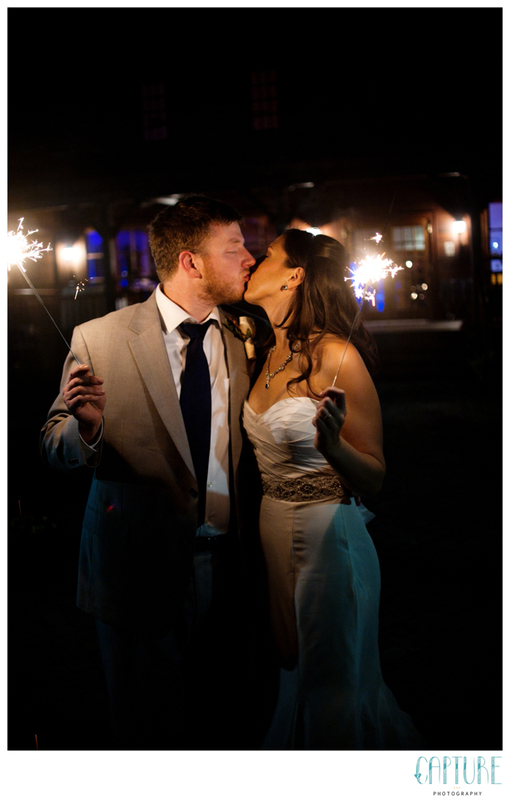 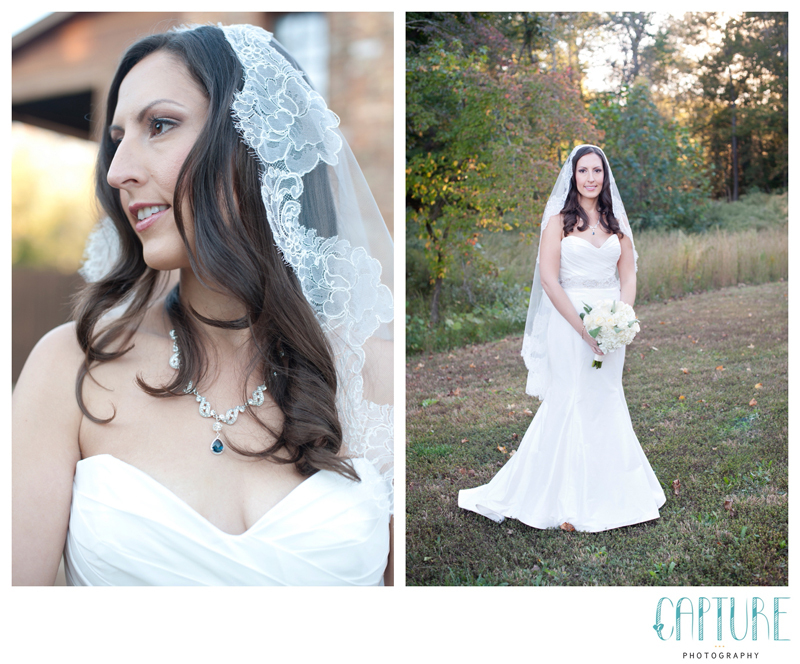 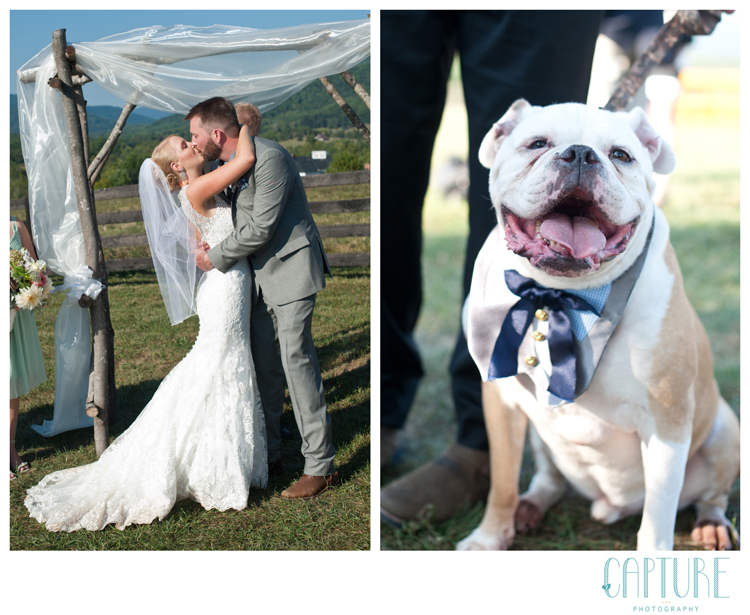 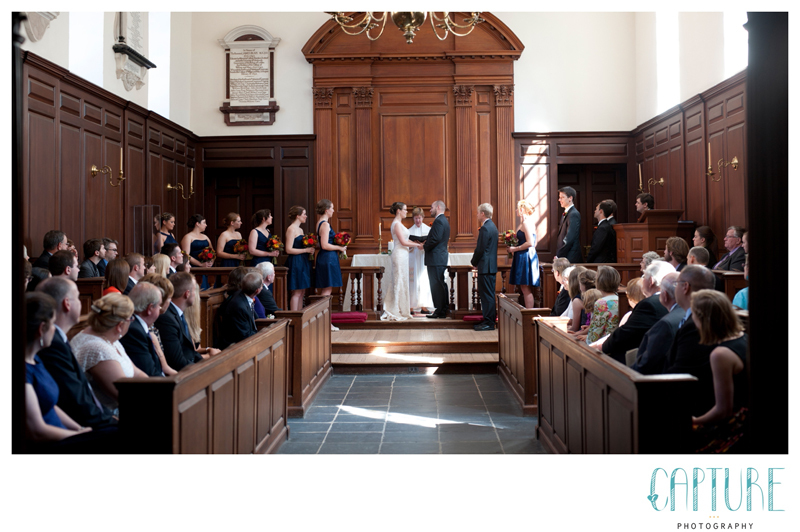 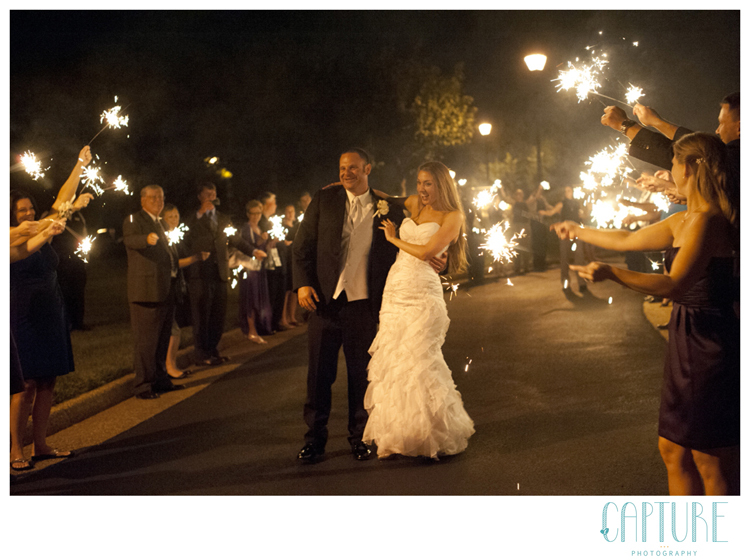 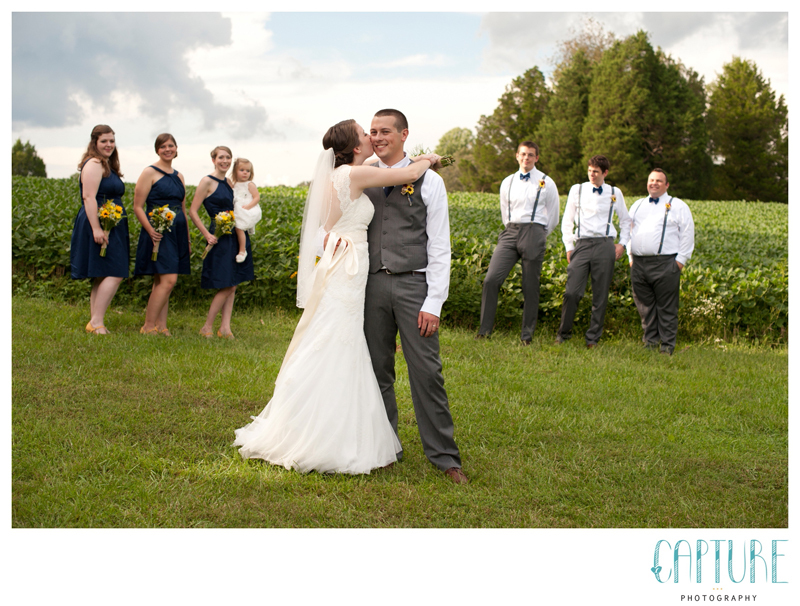 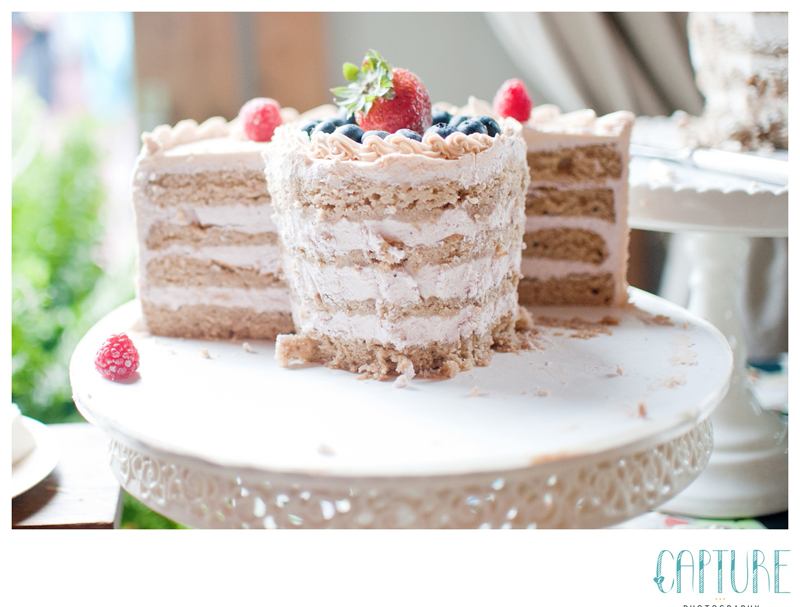 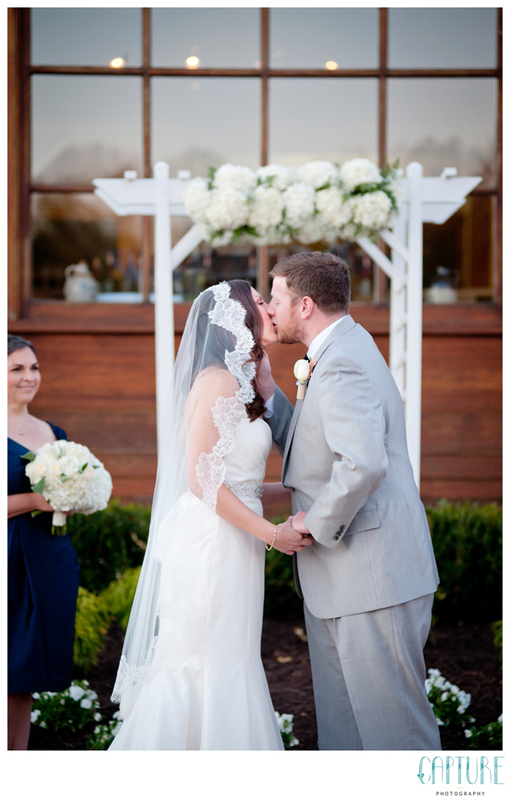 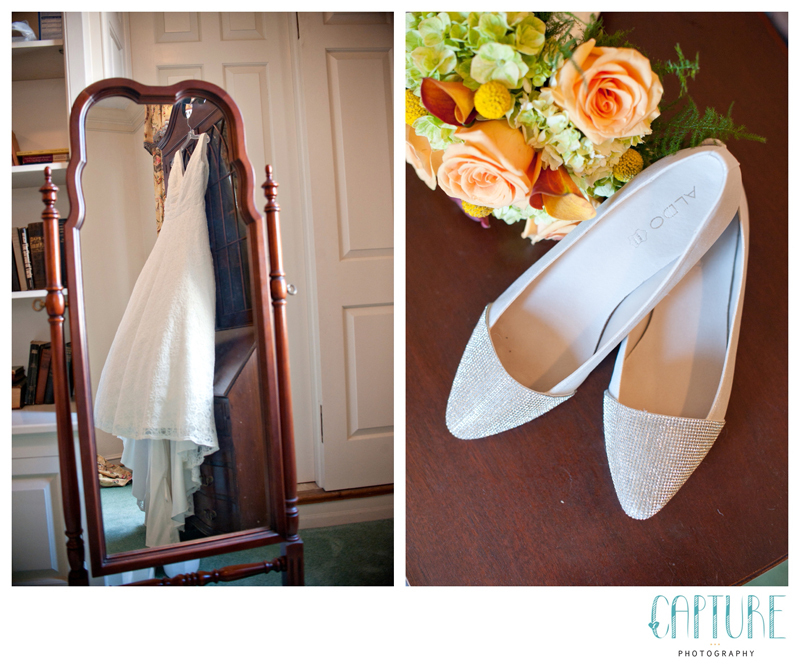 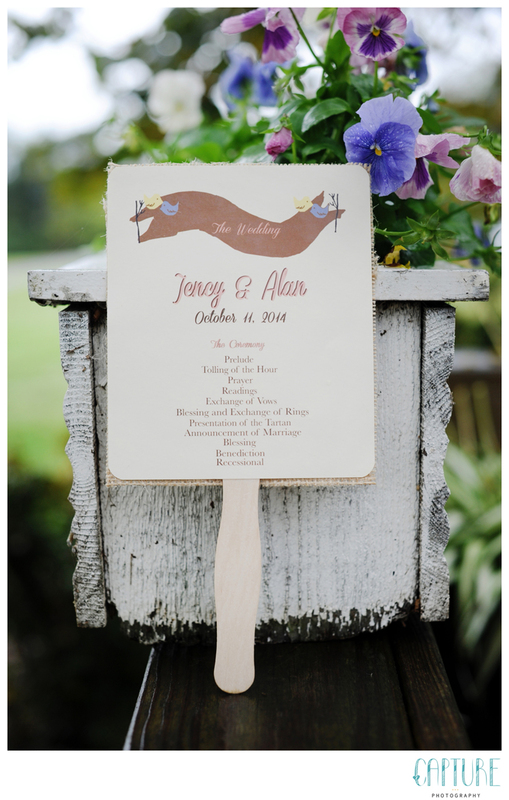 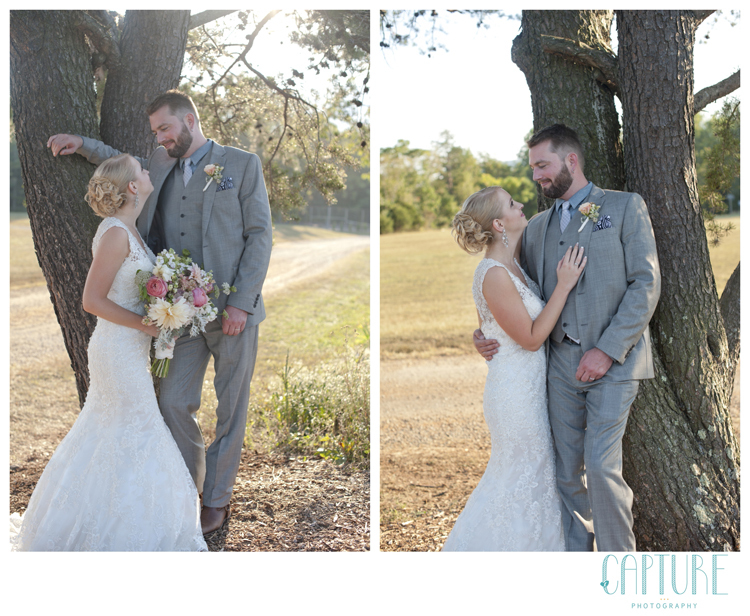 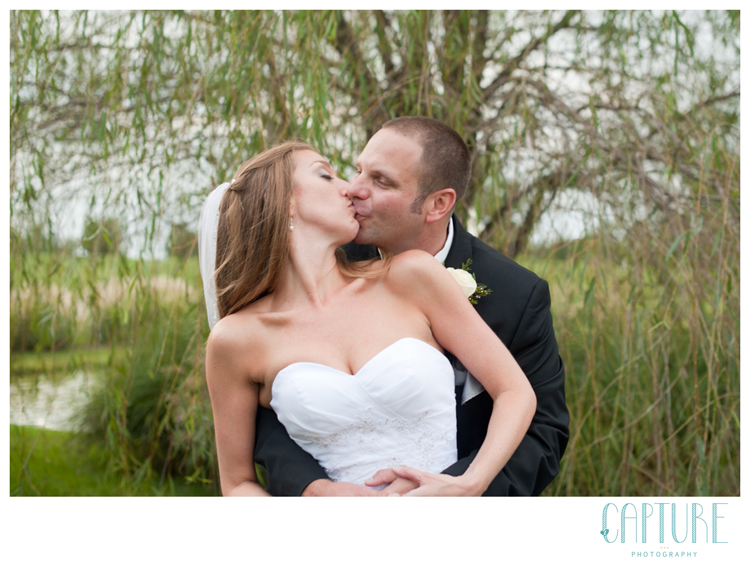 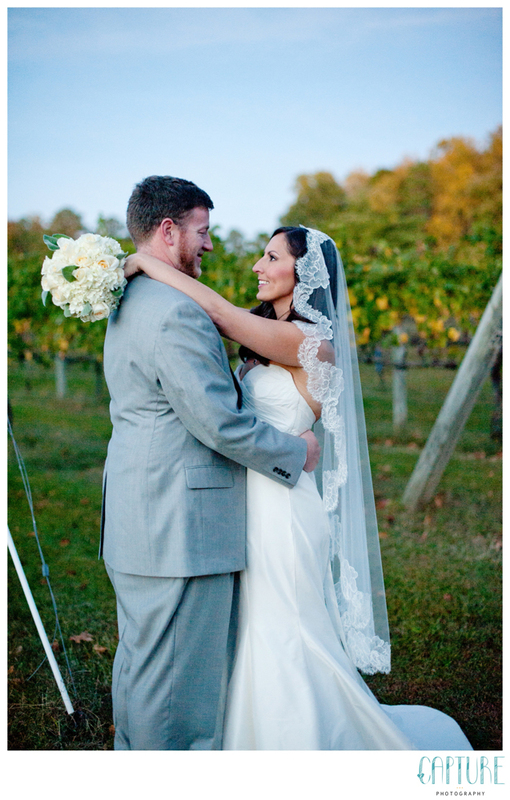 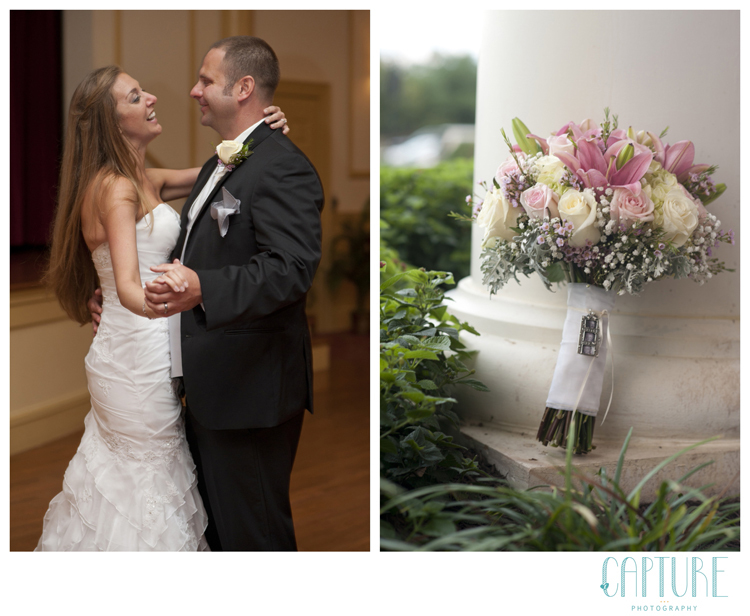 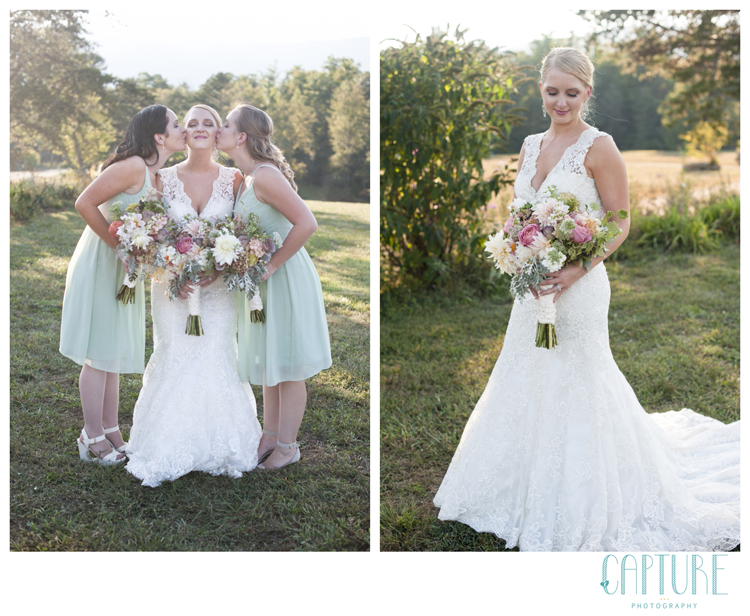 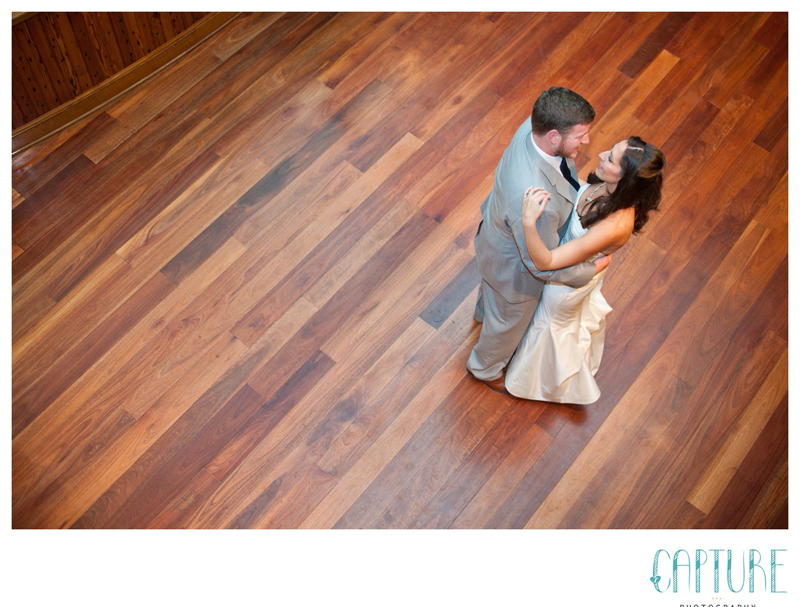 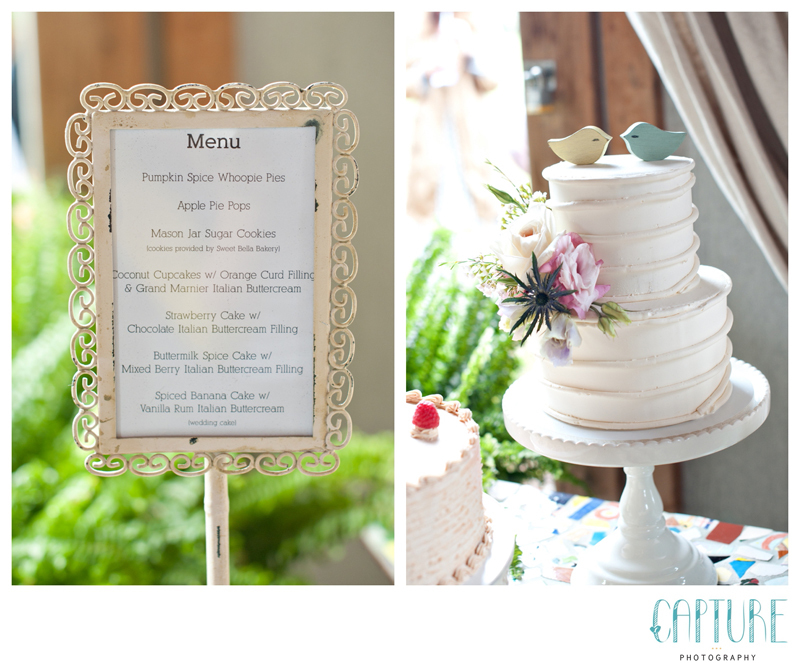 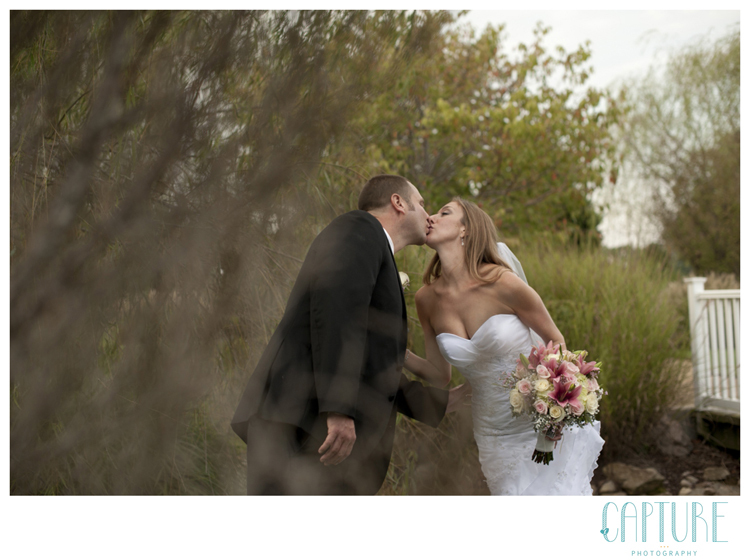 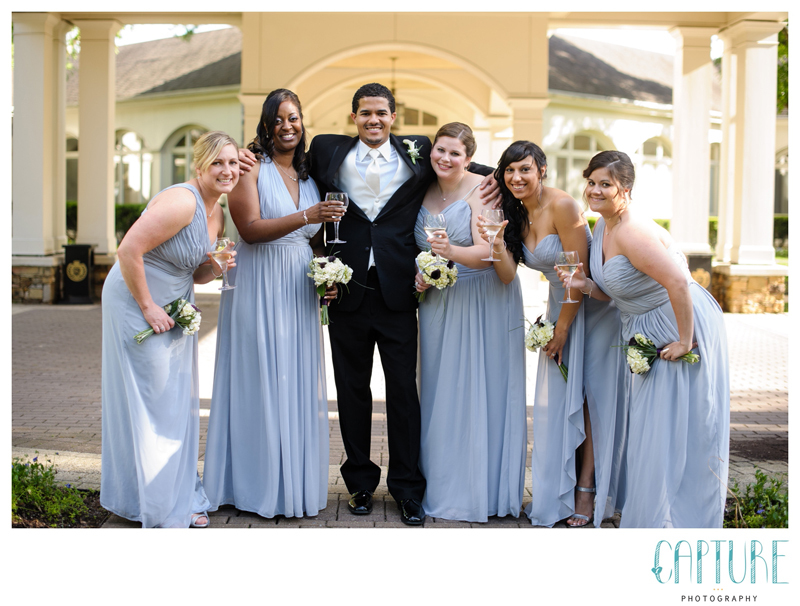 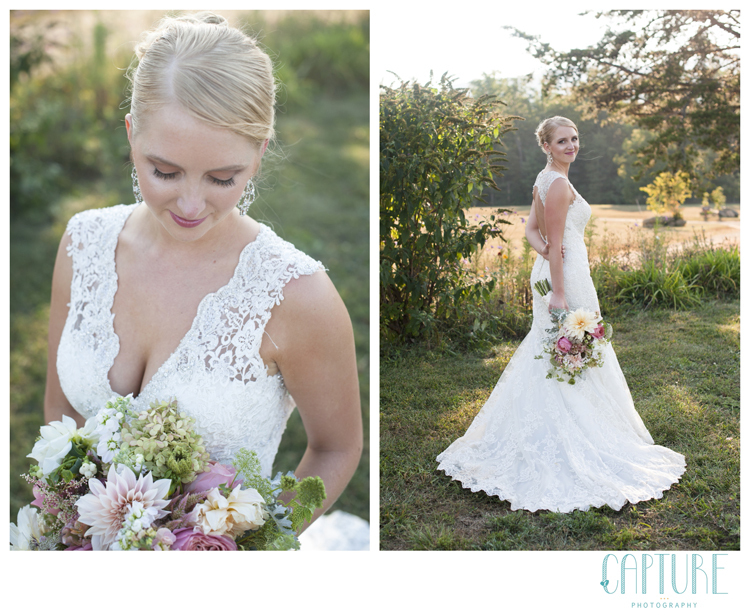 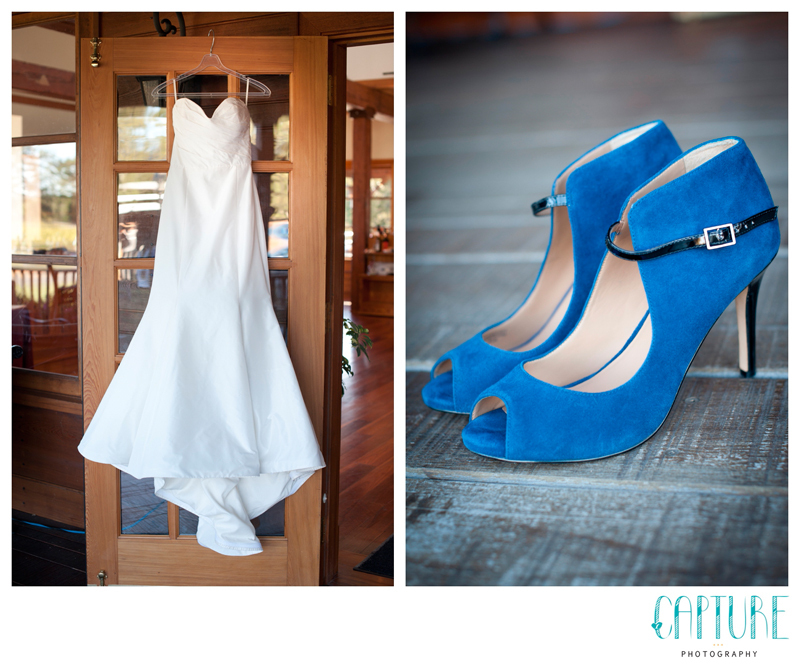 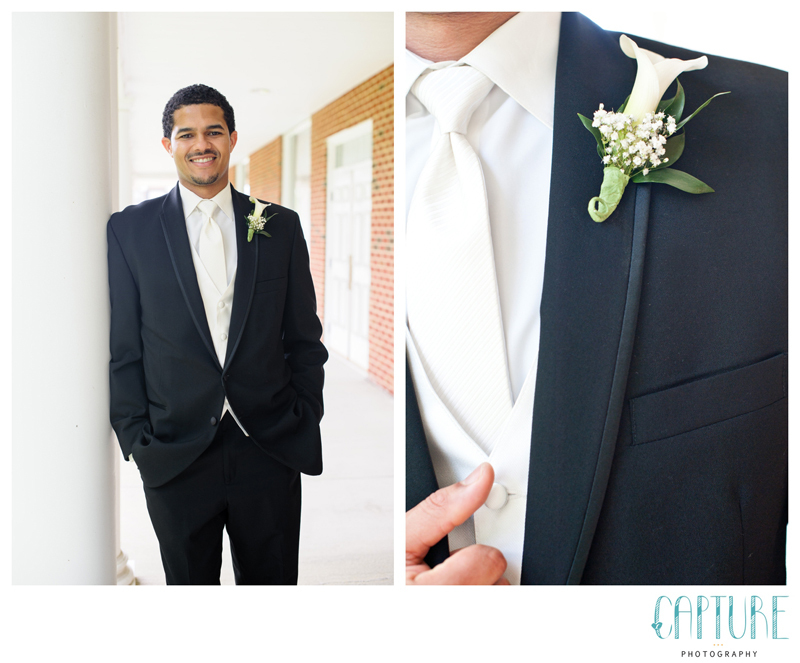 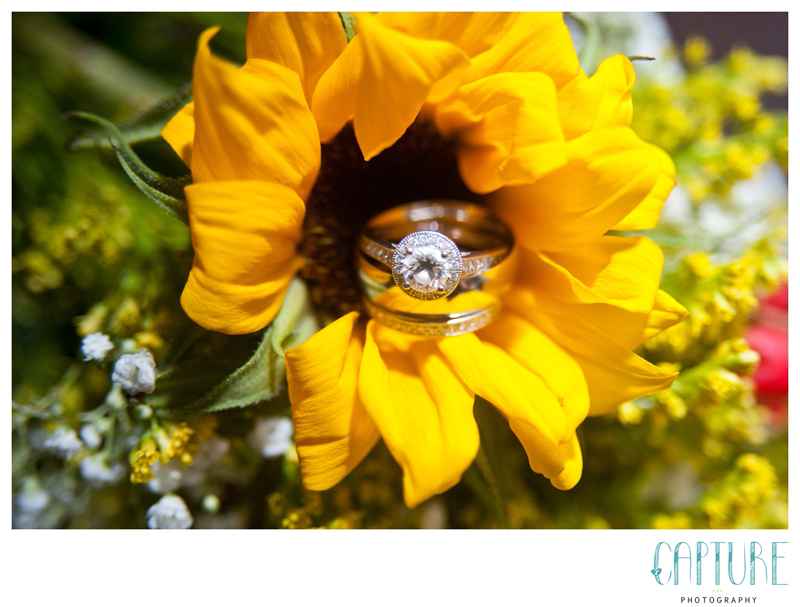 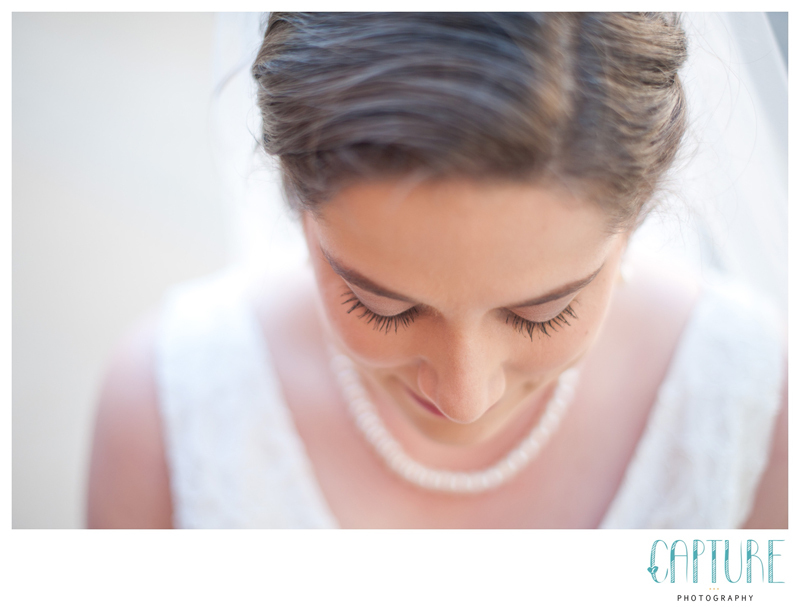 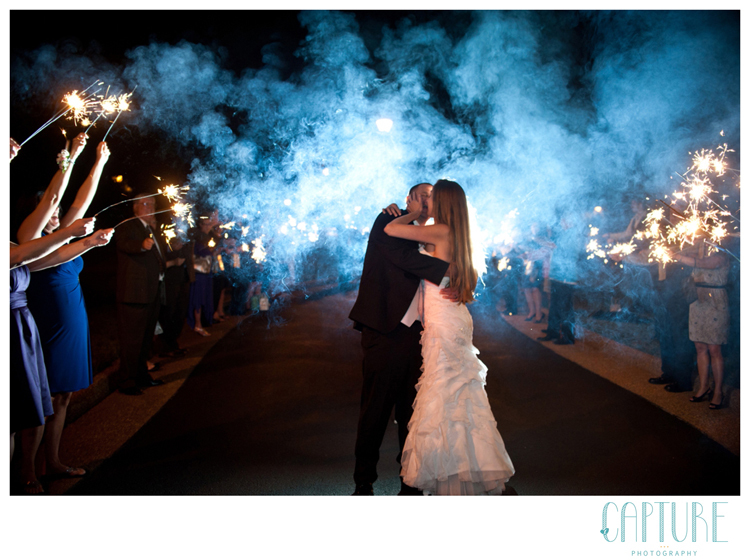 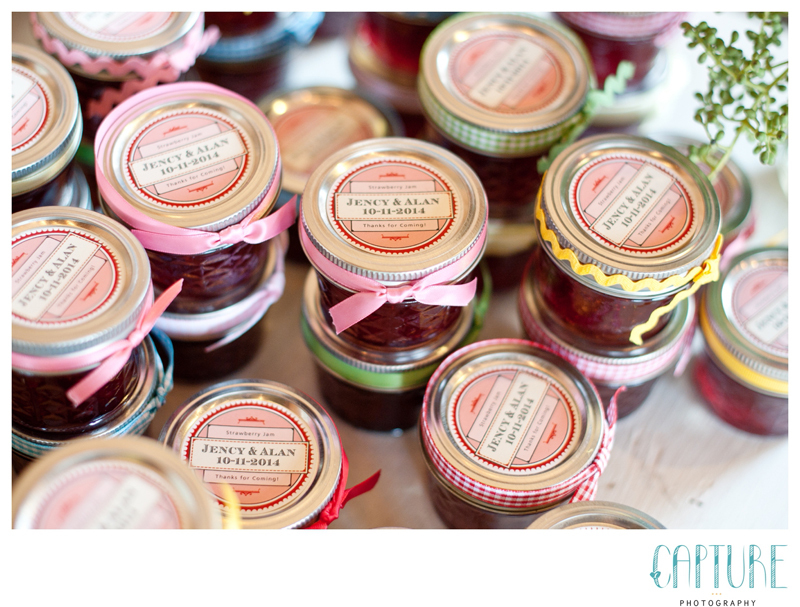 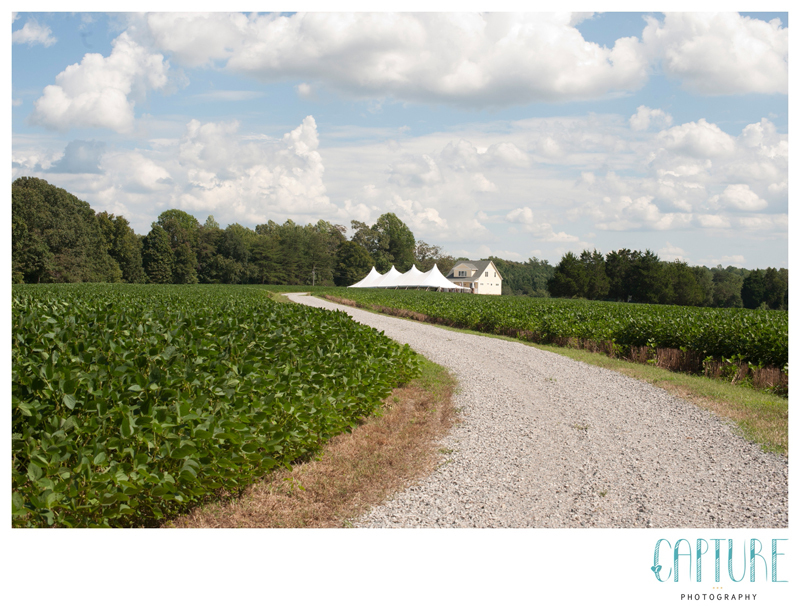 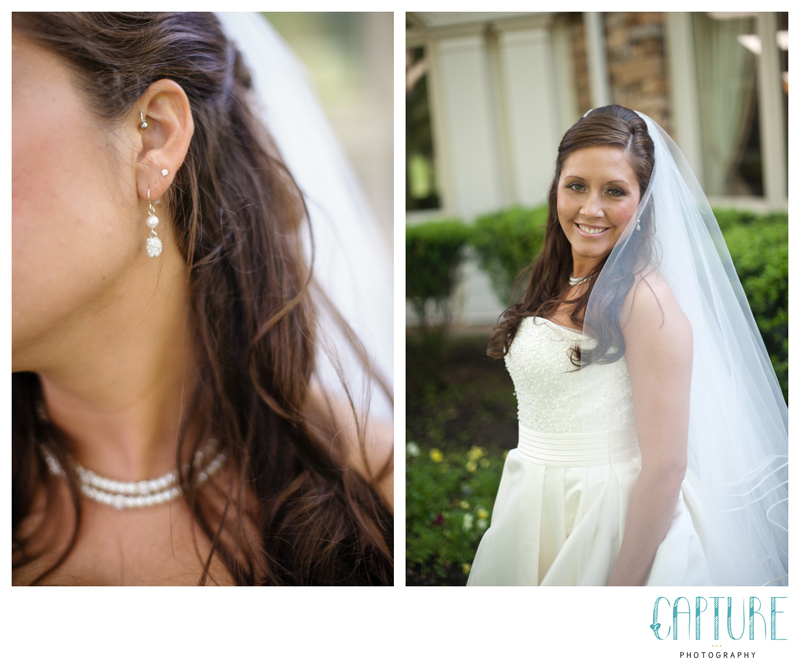 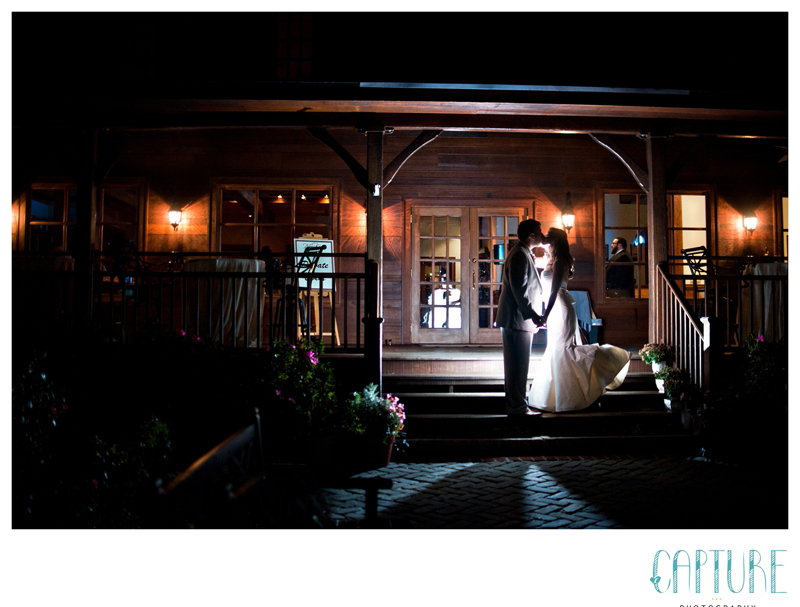 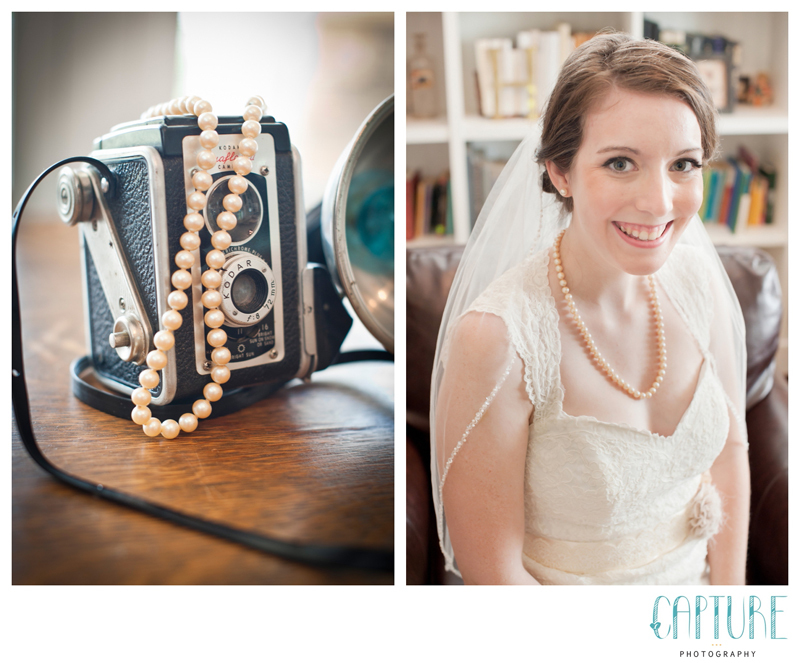 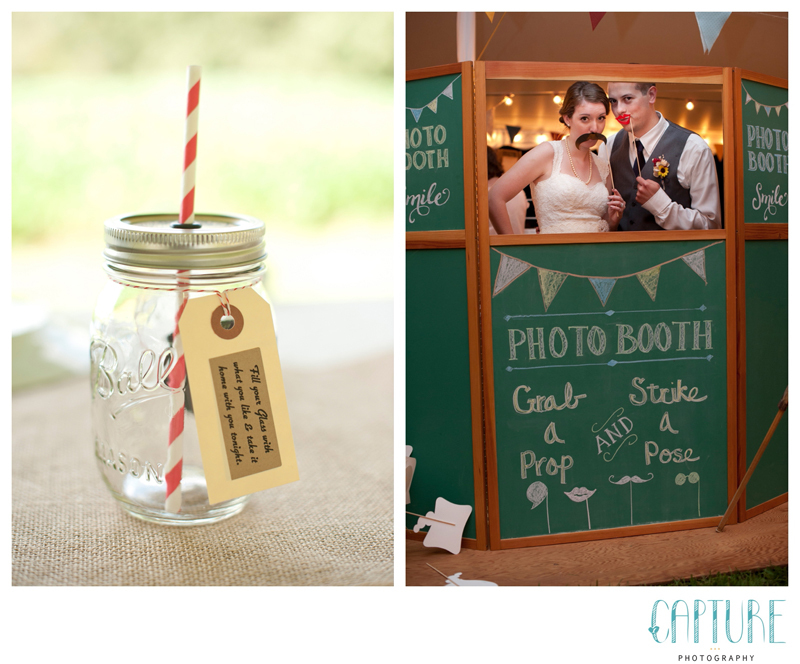 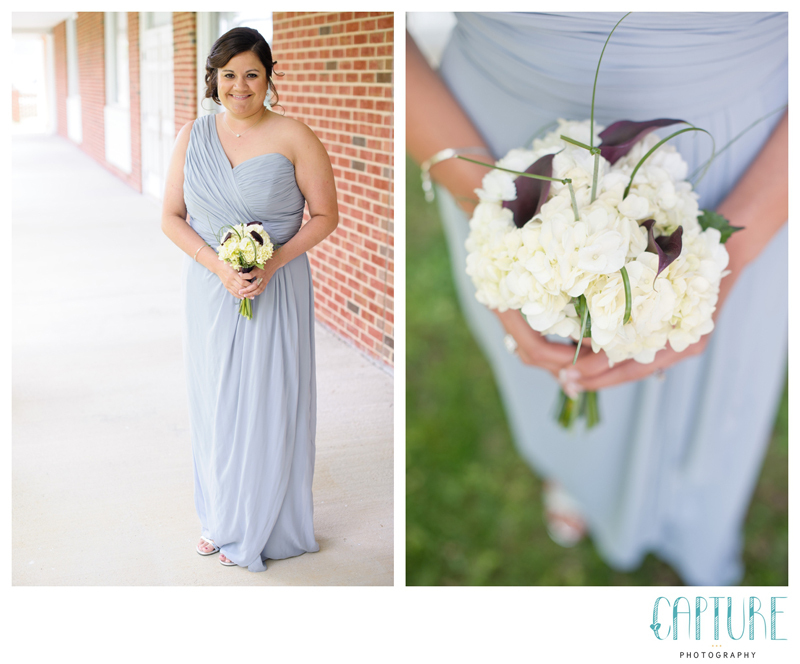 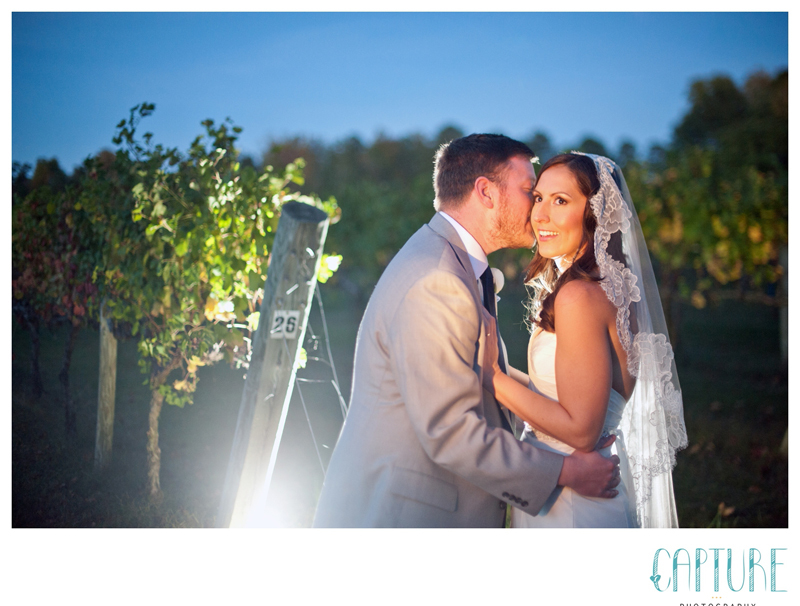 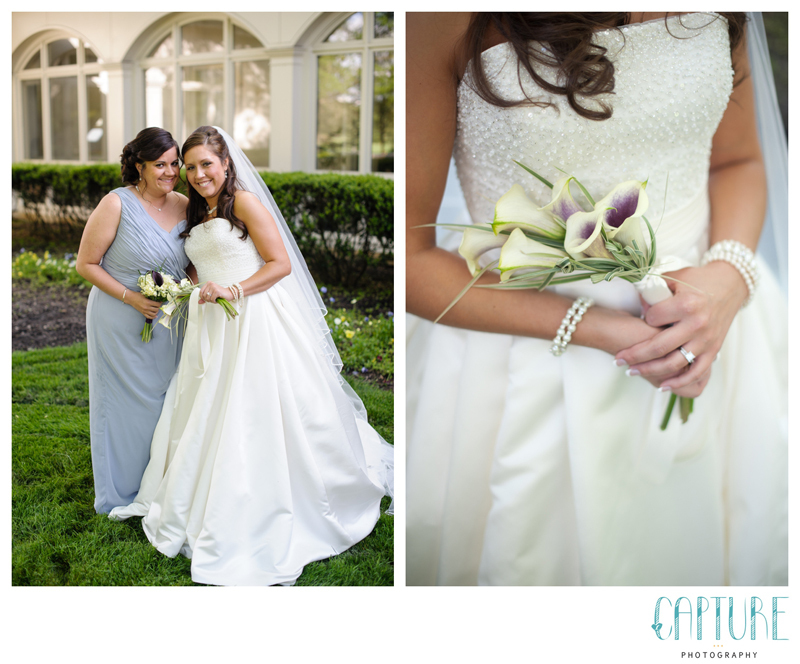 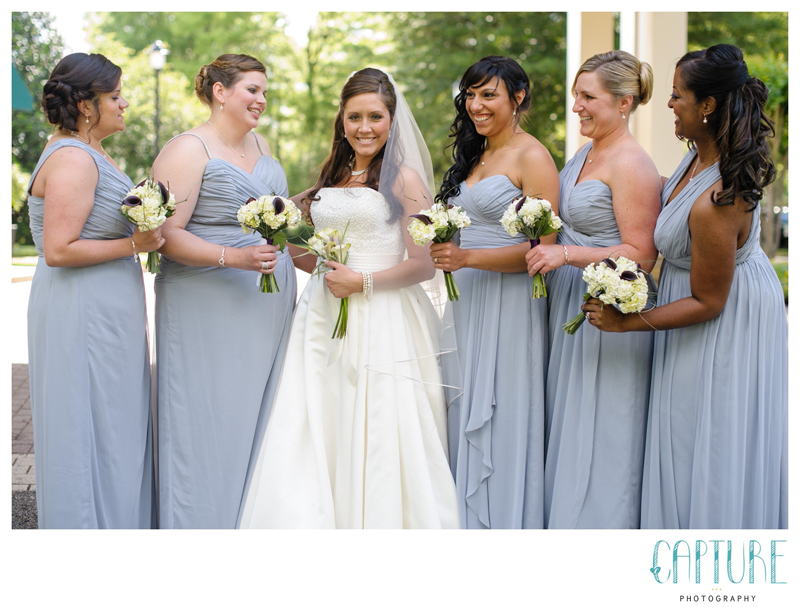 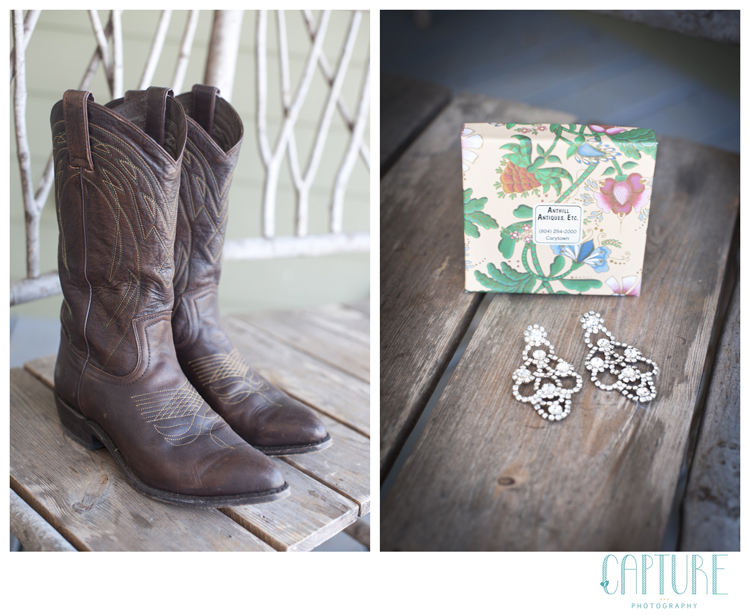 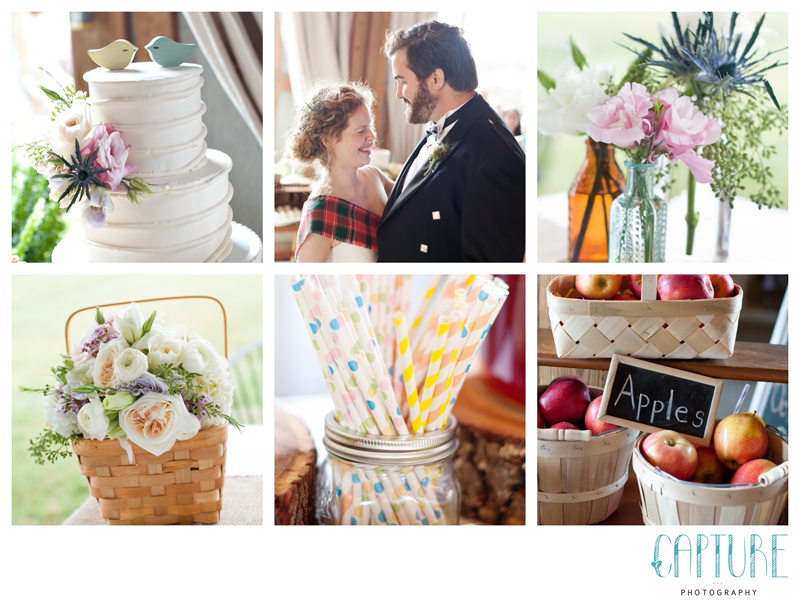 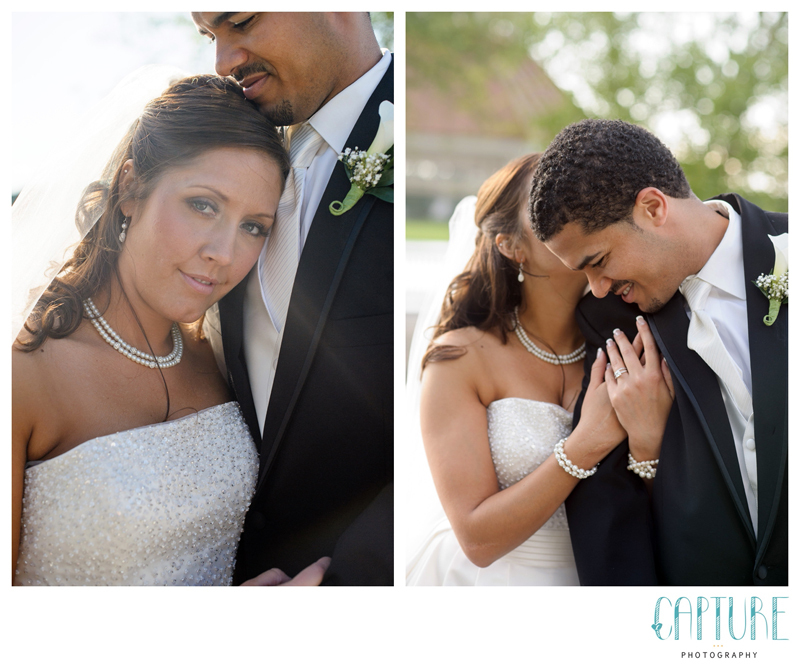 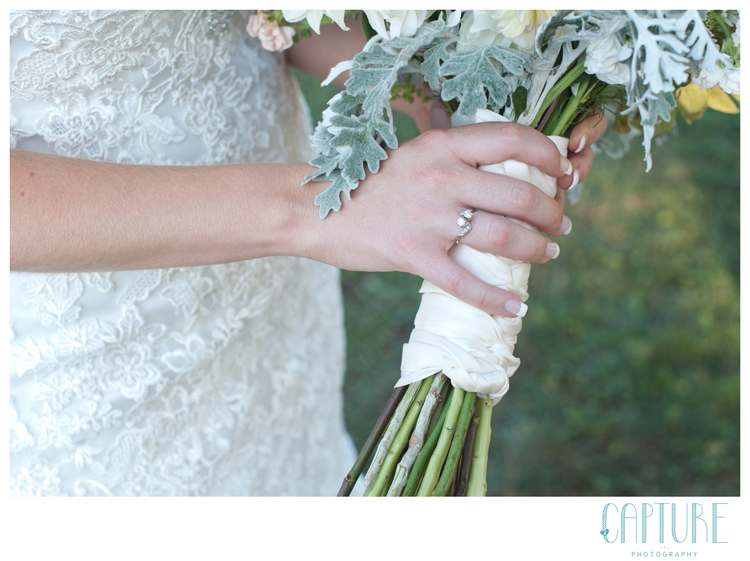 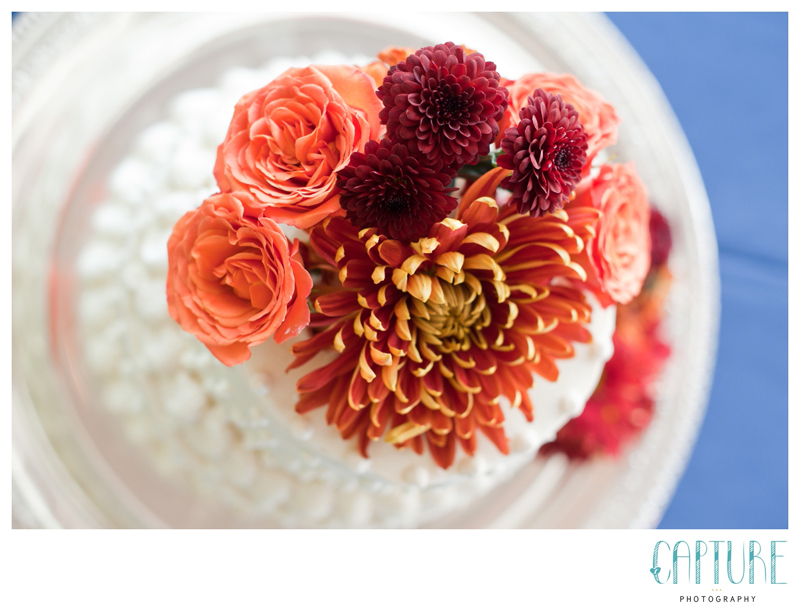 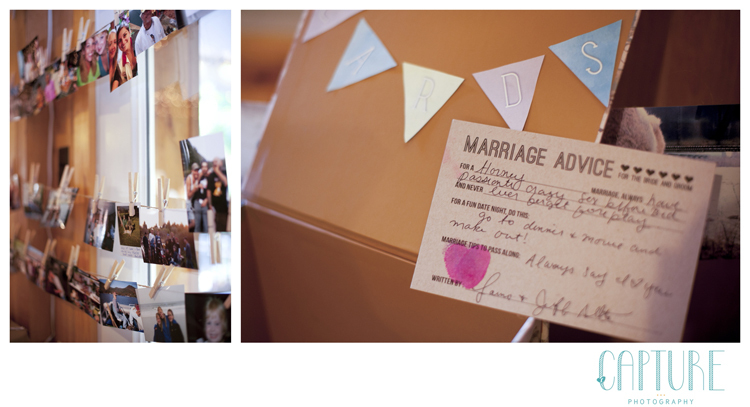 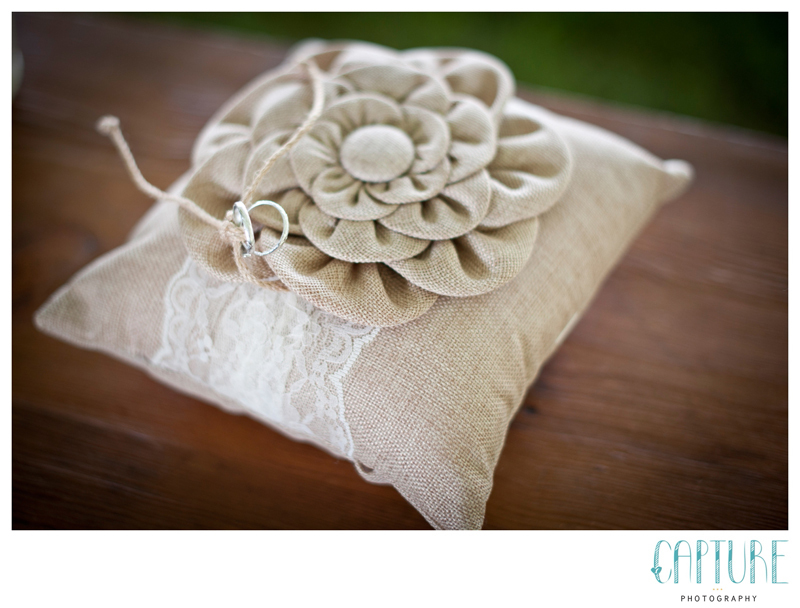 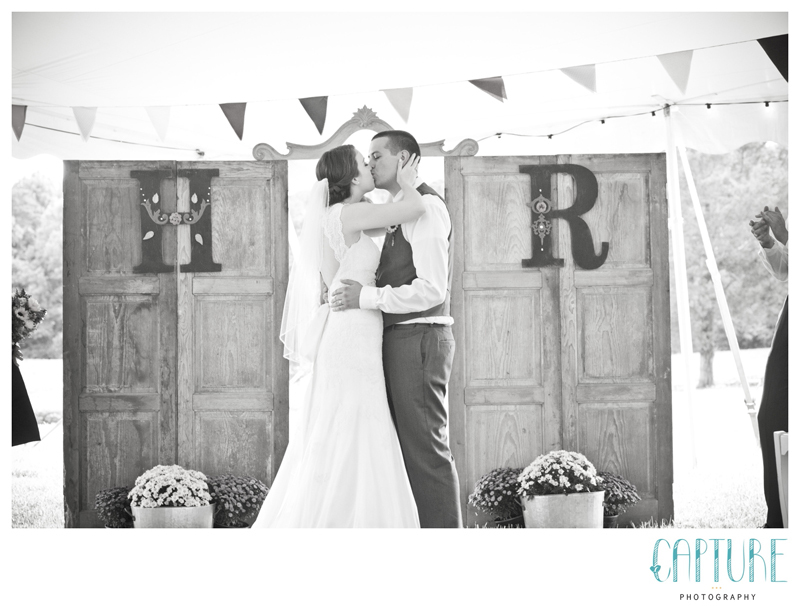 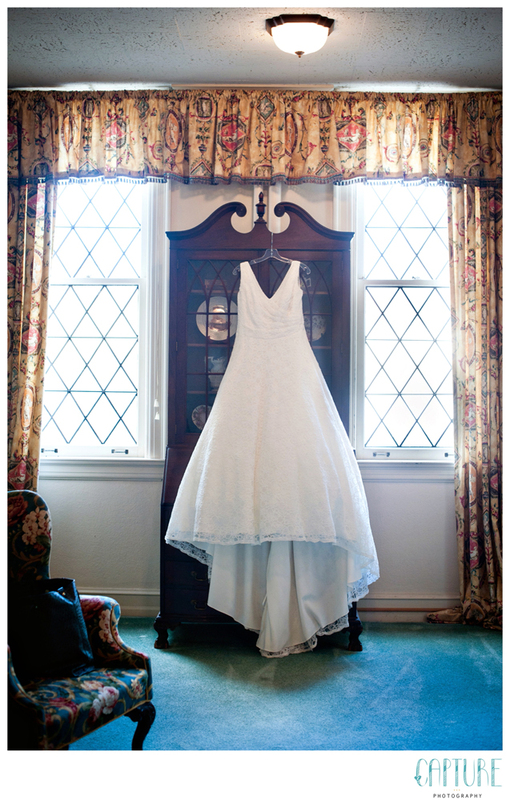 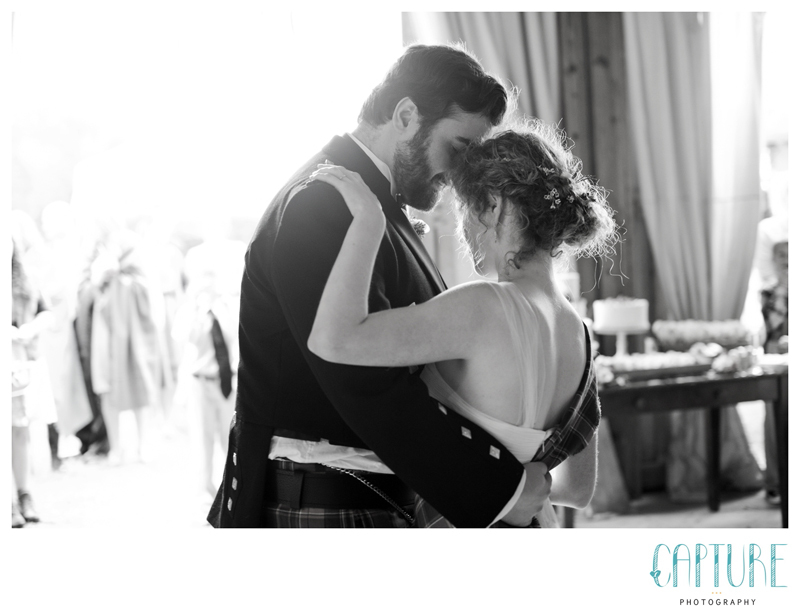 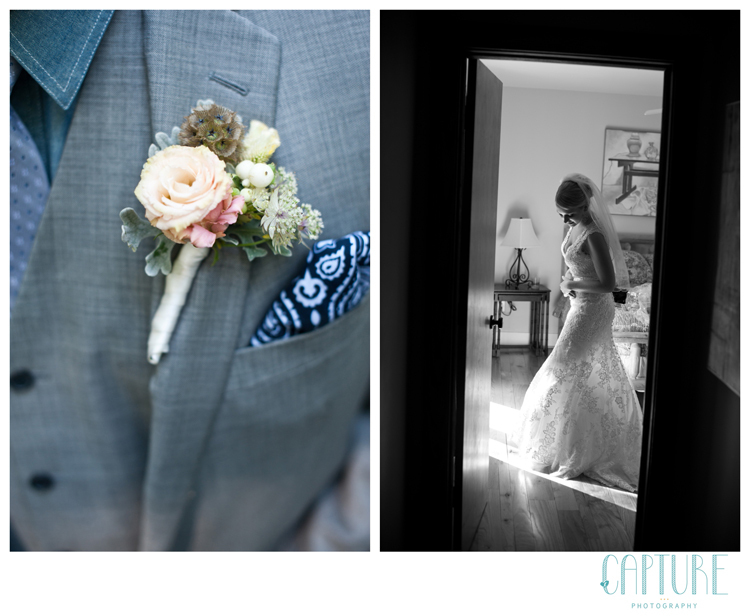 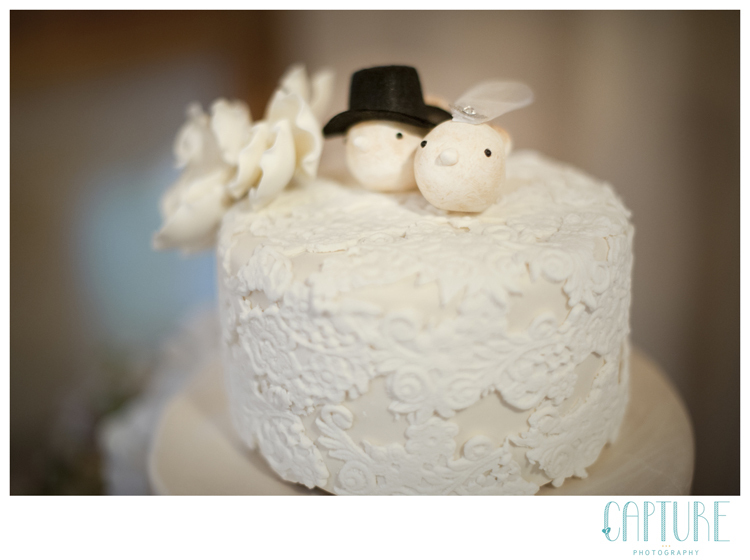 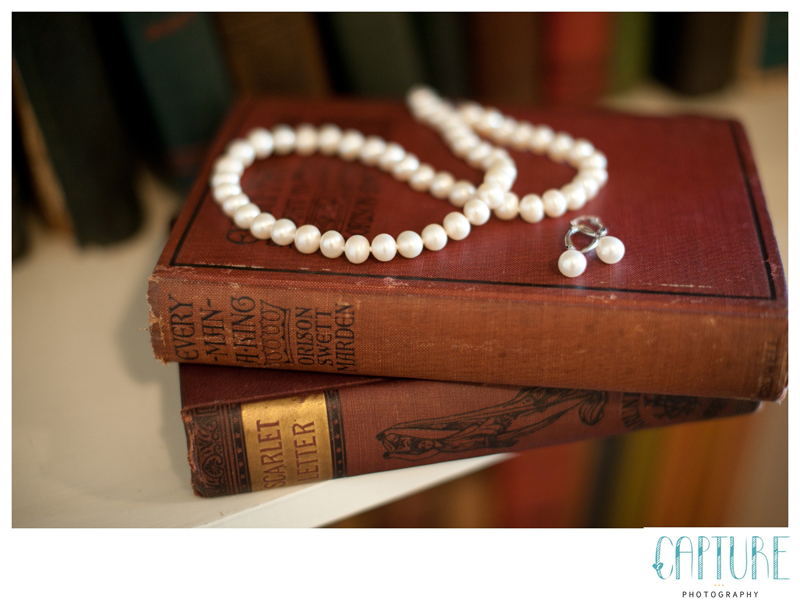 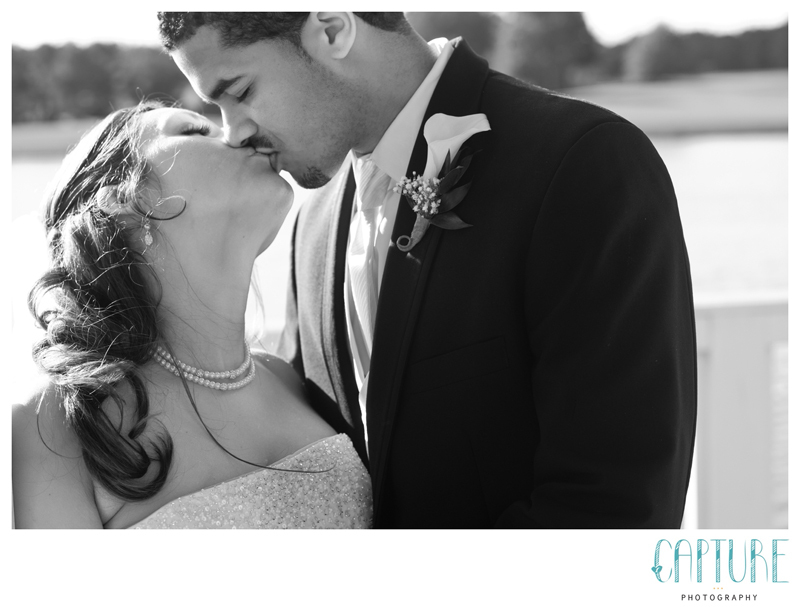 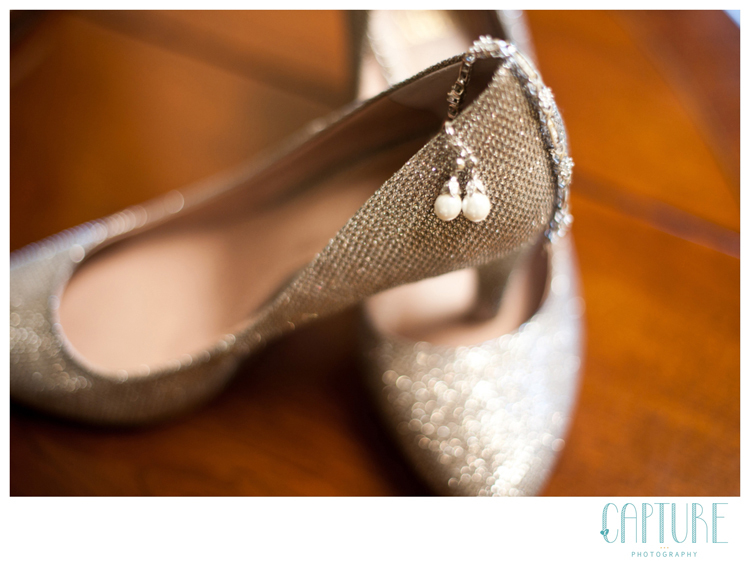 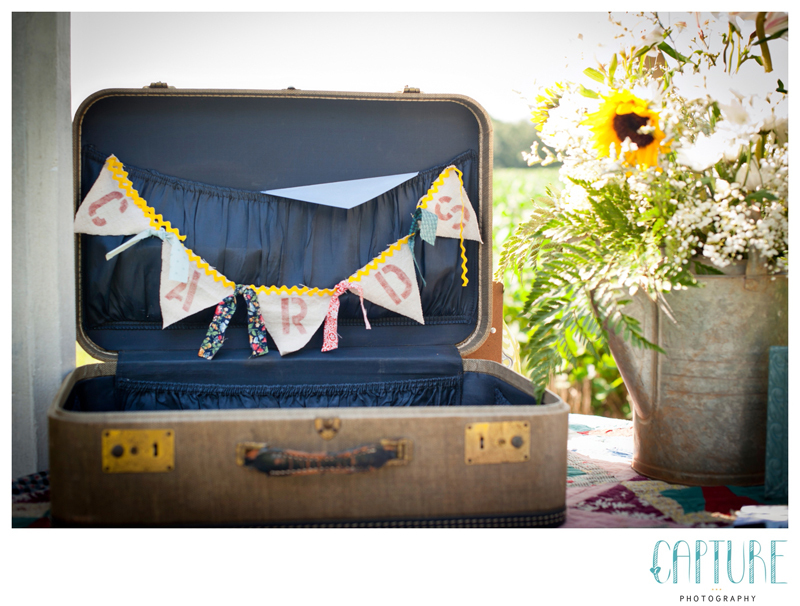 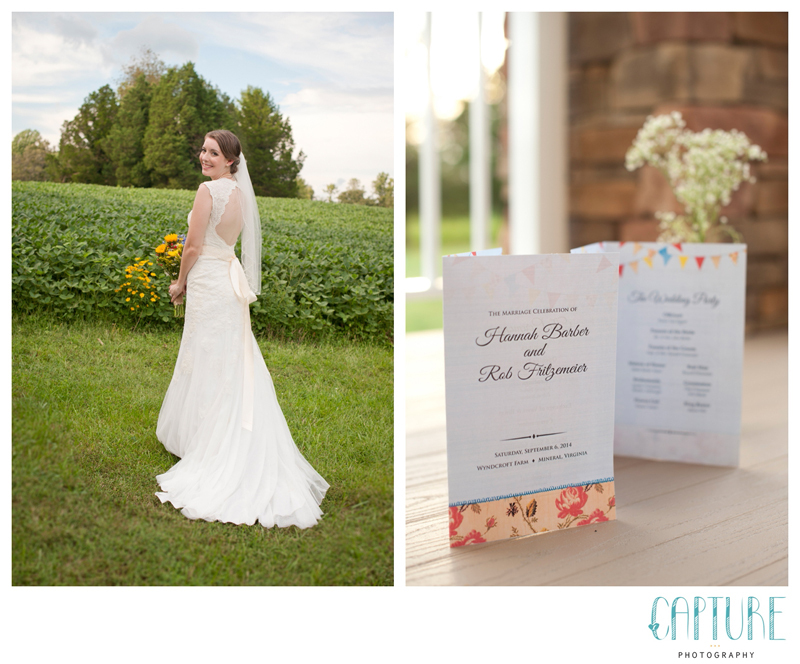 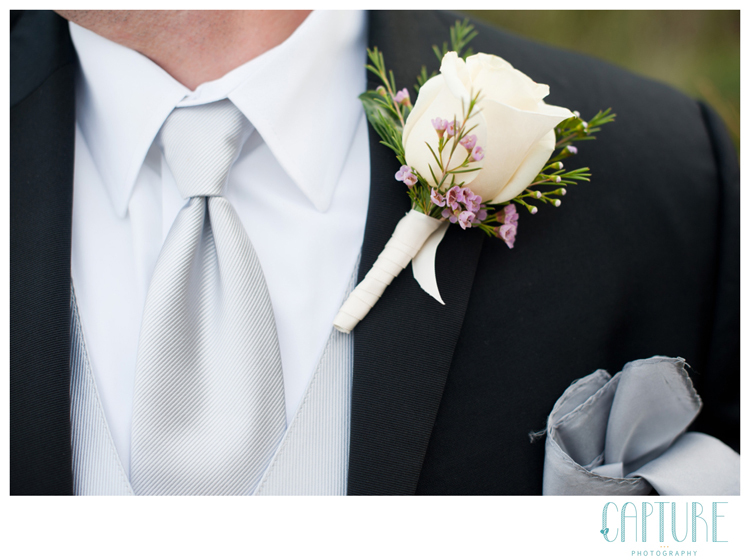 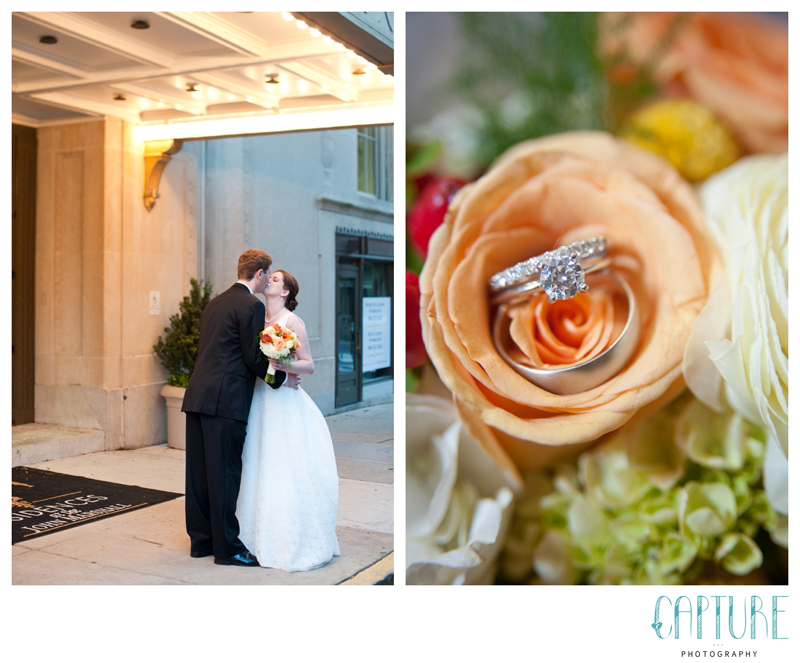 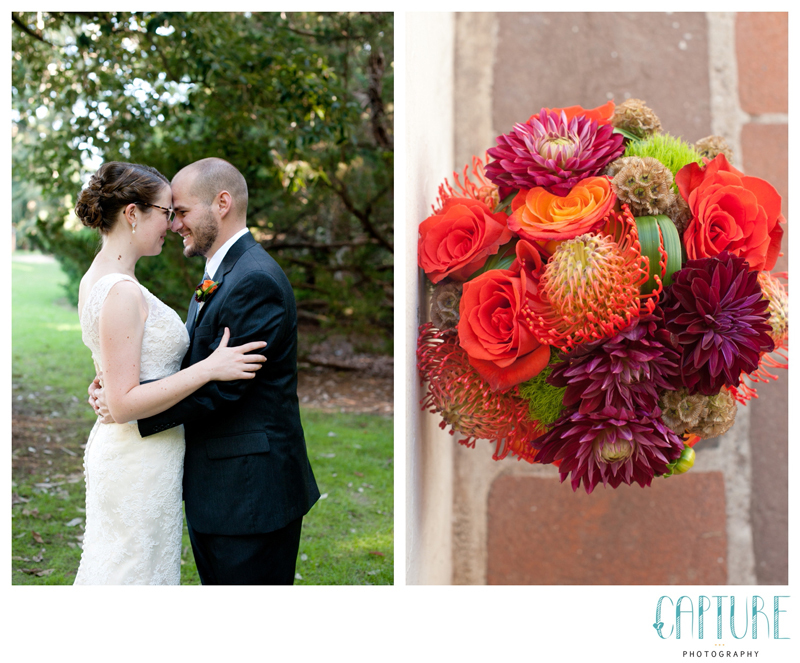 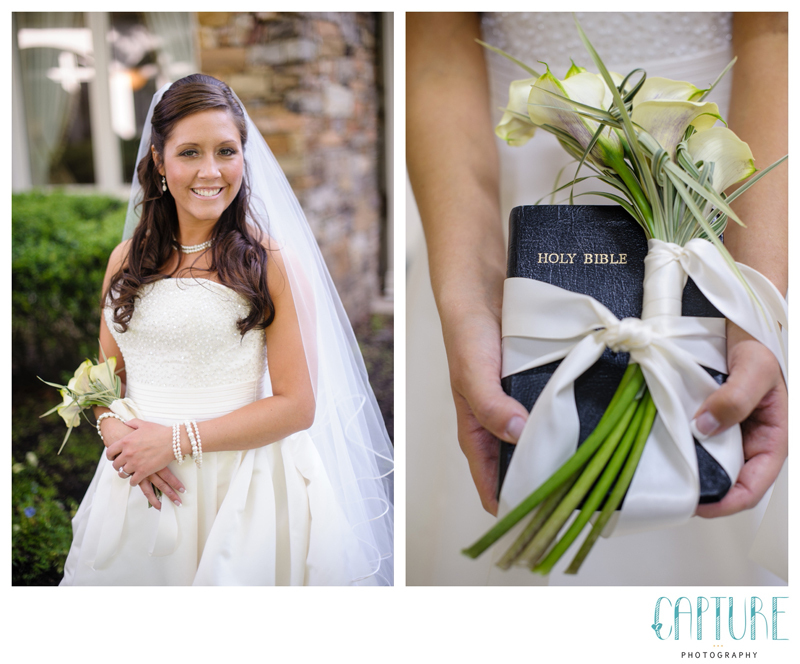 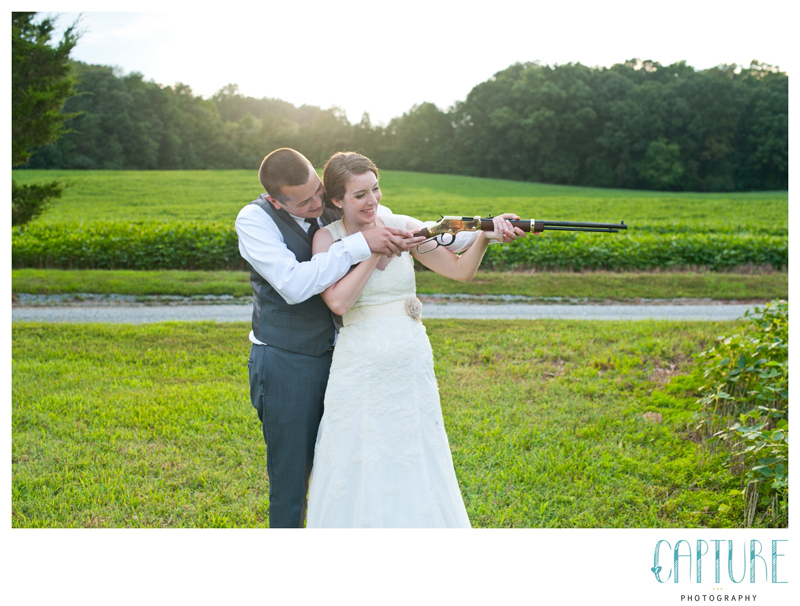 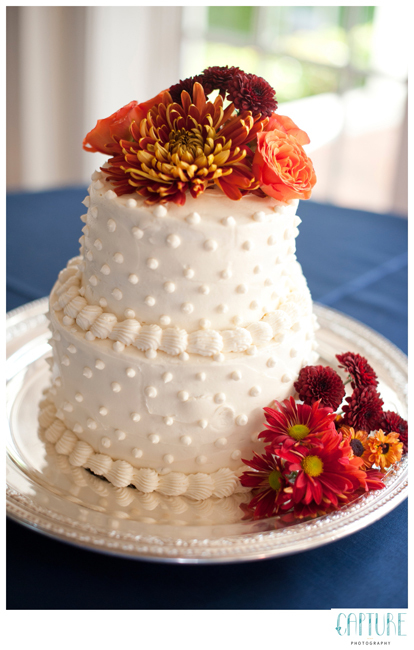 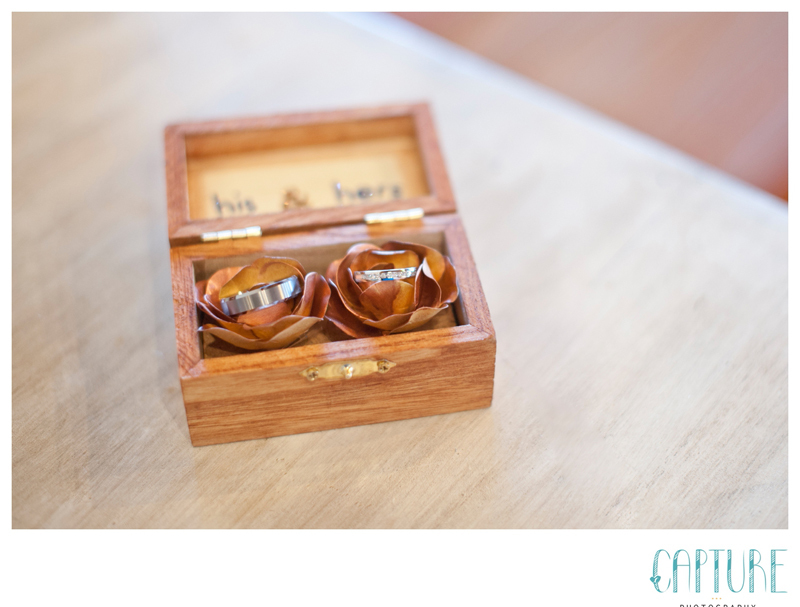 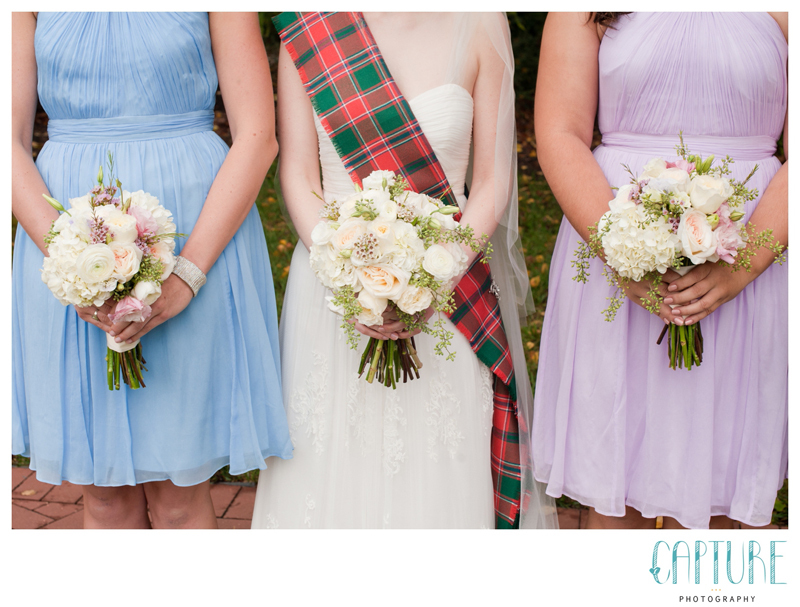 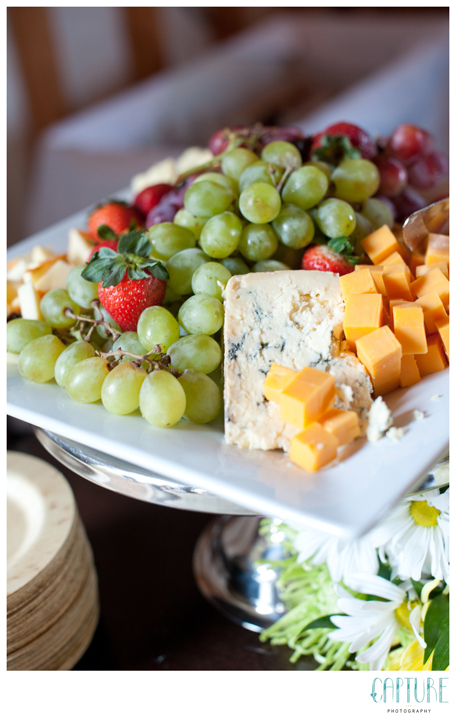 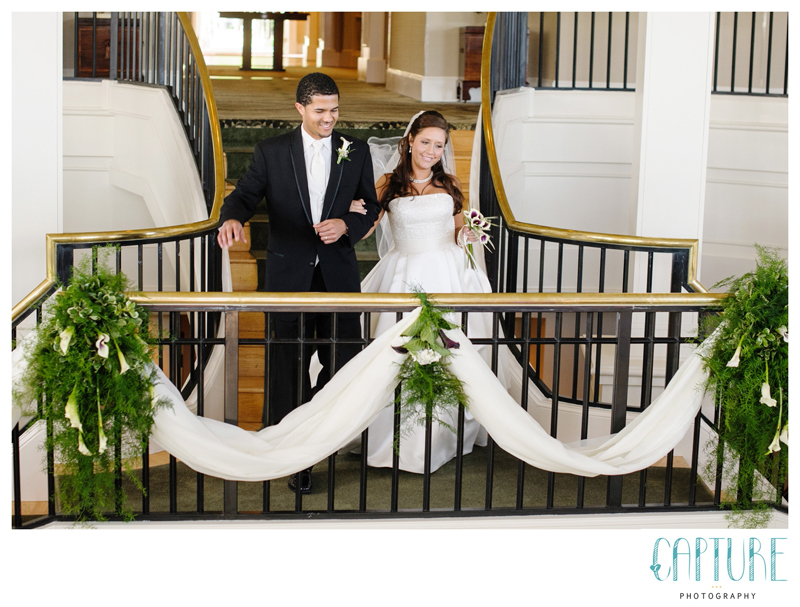 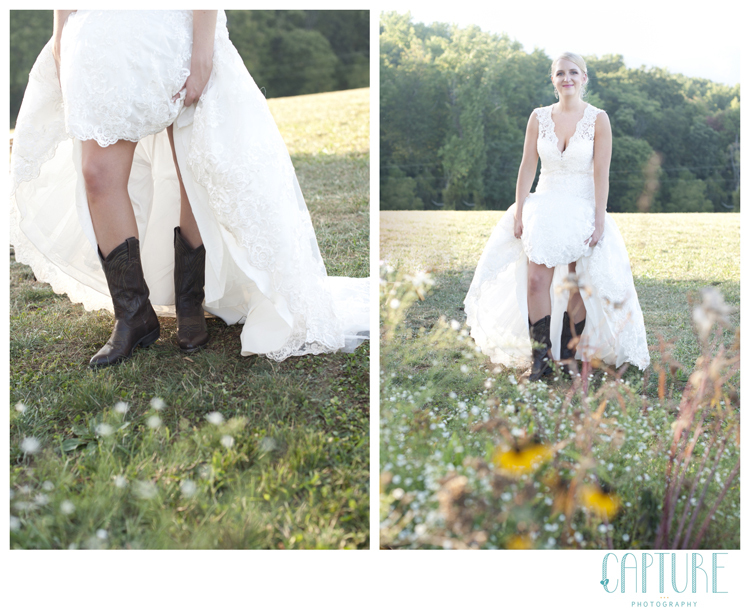 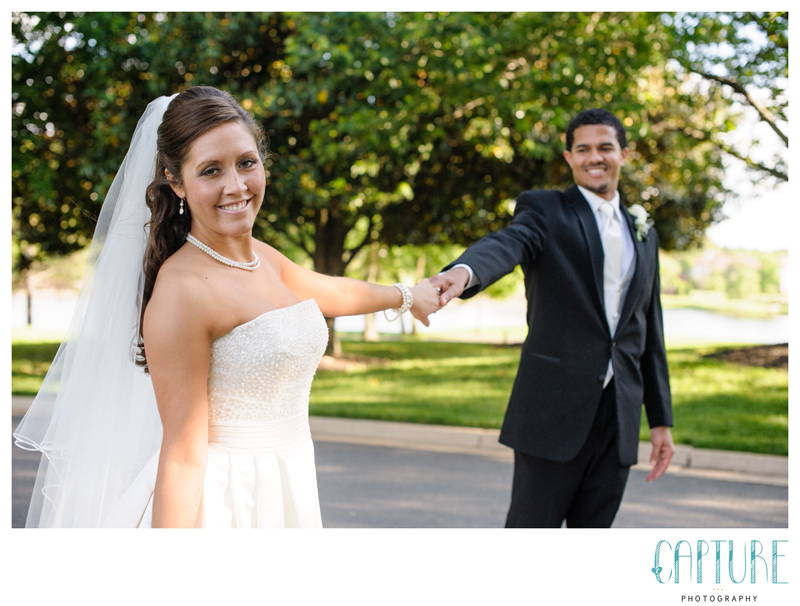 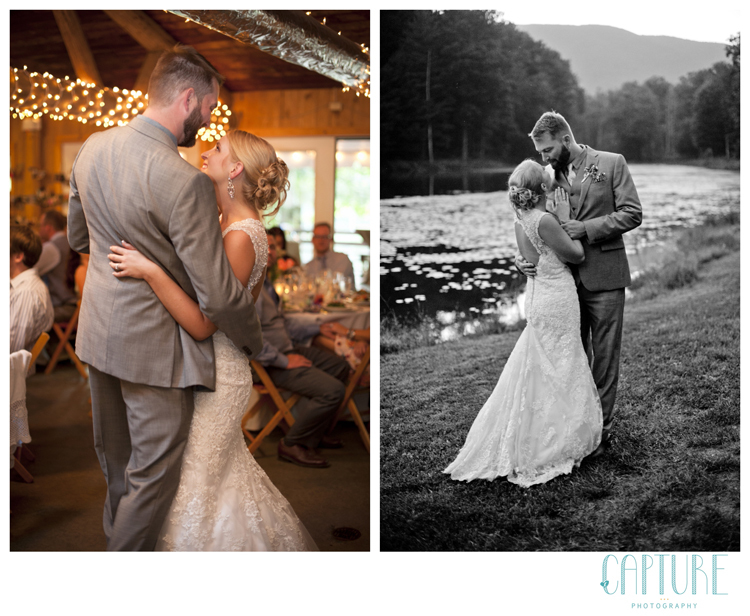 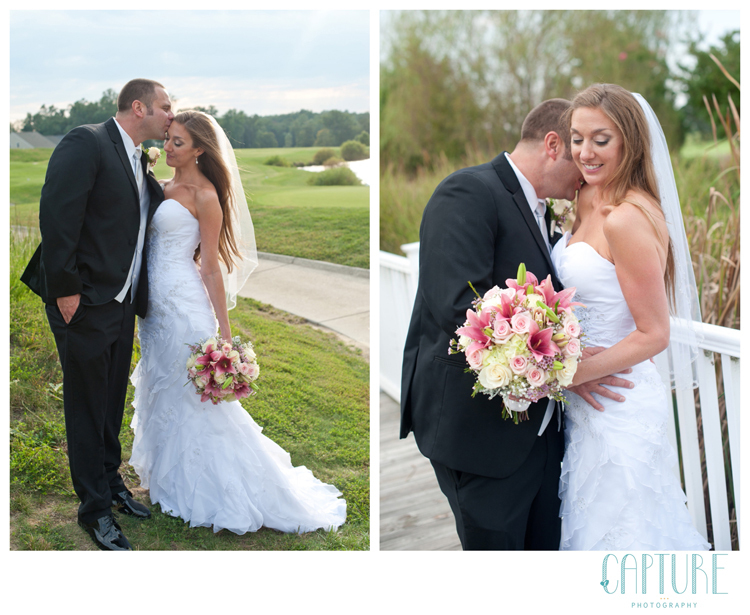 We hope you enjoy these photographs of this gorgeous wedding and stunning couple. 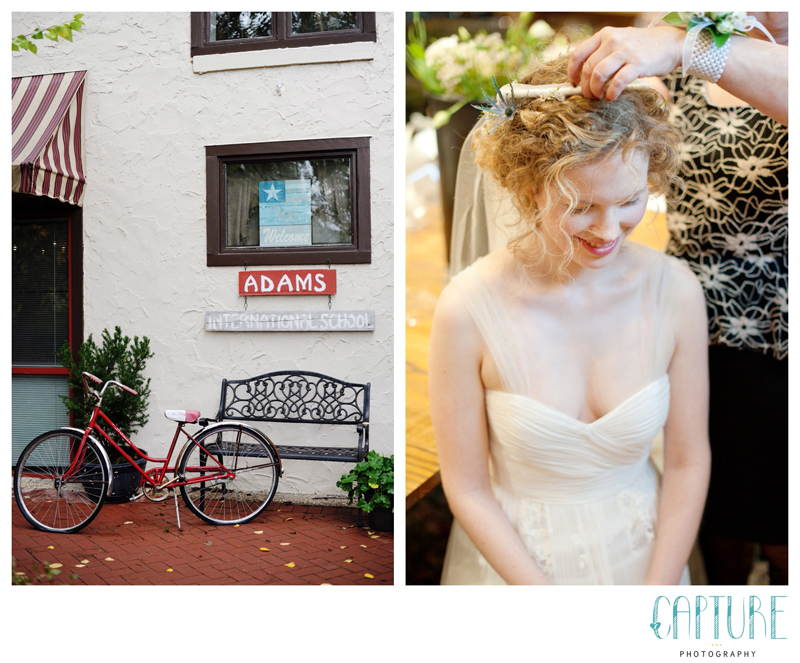 When I first met with Sara, (over a year before their big day), I texted Allison as soon as I left the coffee shop; “I really hope we get to work with these two, they seem like wonderful people!”. 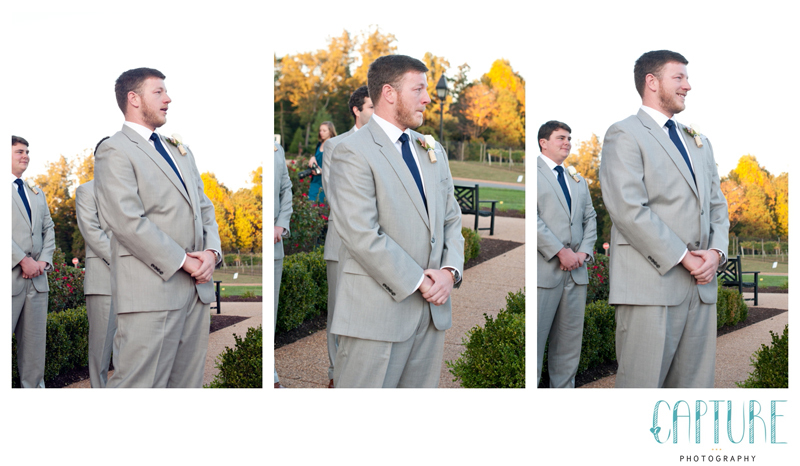 It turns out my instincts were right. 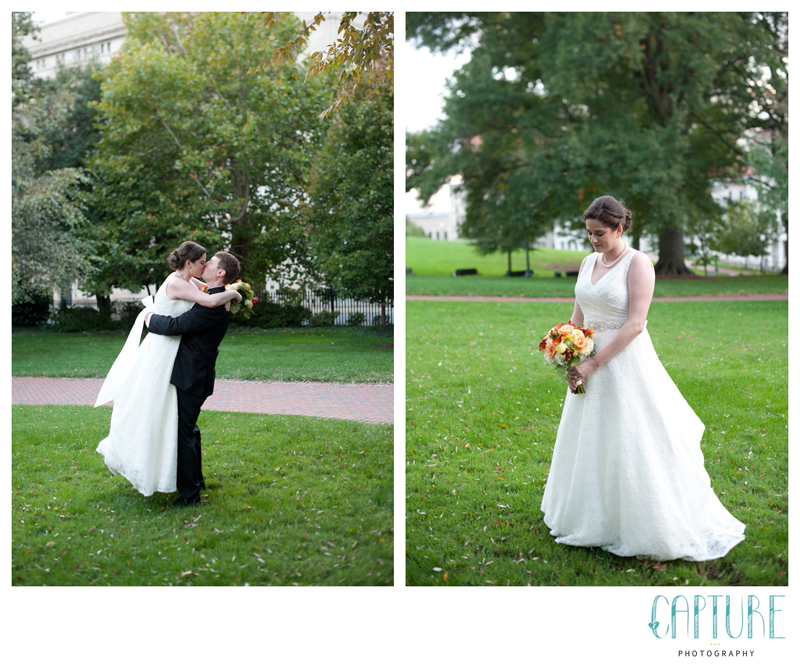 and the great thing about wonderful people is that they have wonderful weddings; Sara & Michael are living proof. 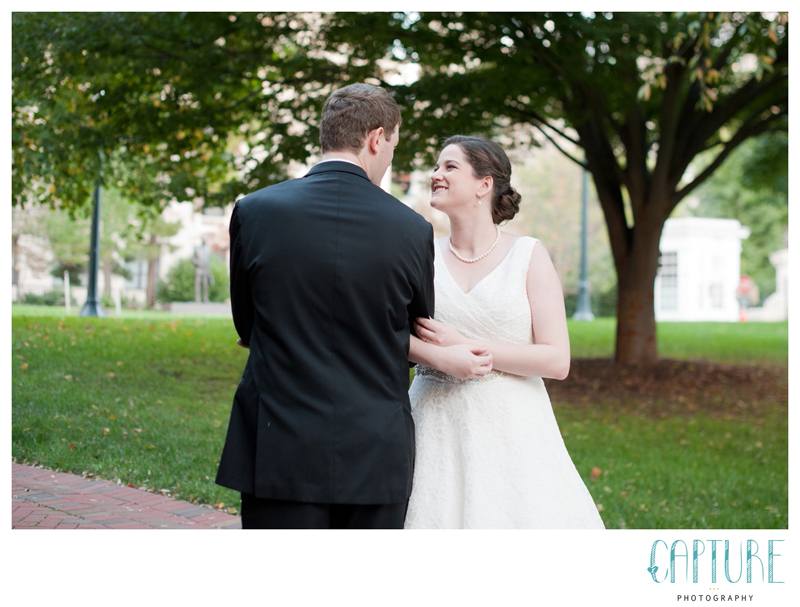 We got to know these two fairly well over the last year, between their engagement session, coffee dates, and emails to check in on the plans for their big day. 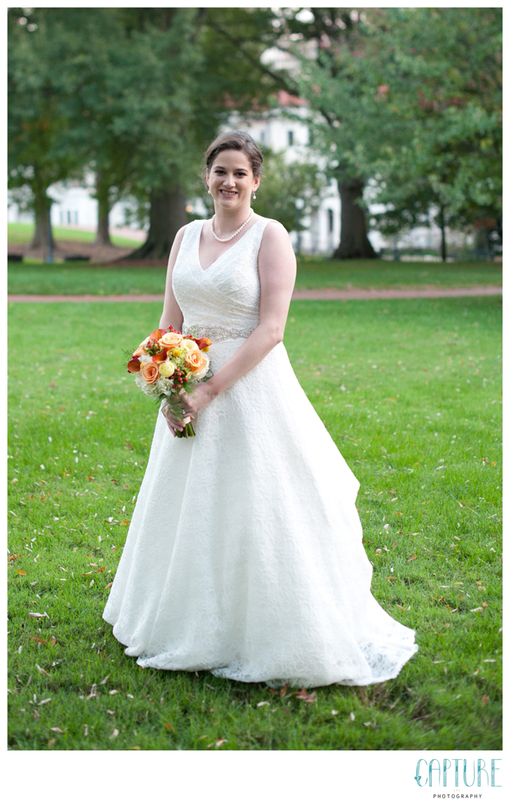 as a testament to Sara’s huge heart, after the wedding she donated her dress to Brides Against Breast Cancer. 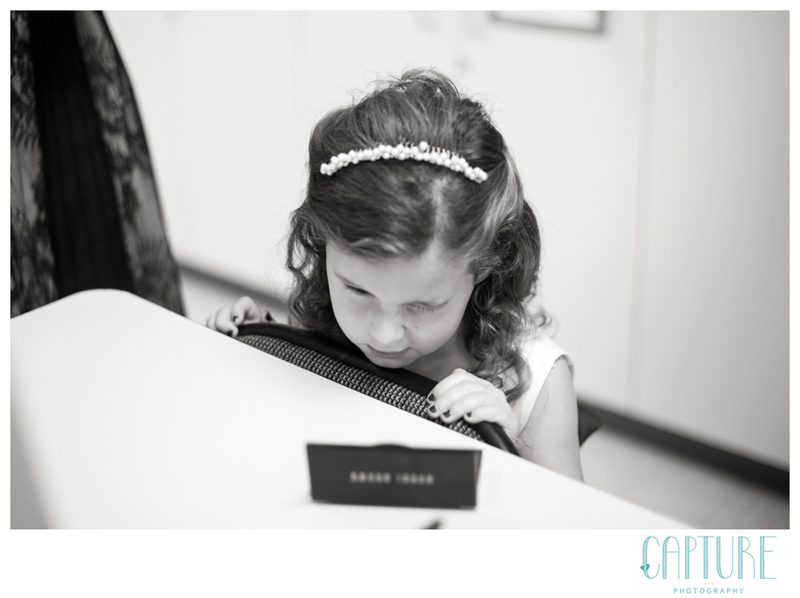 Even on a day that was supposed to be all about her, she was thinking of someone else. 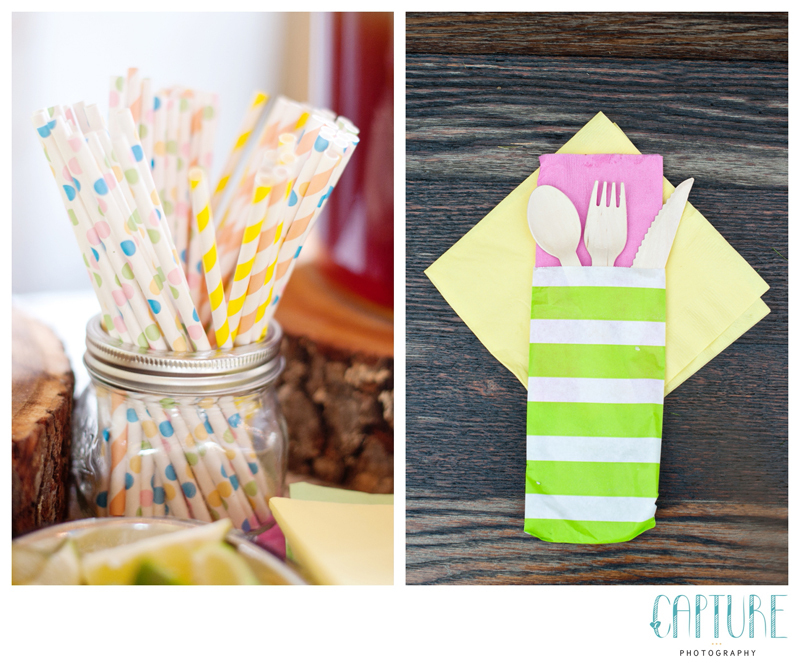 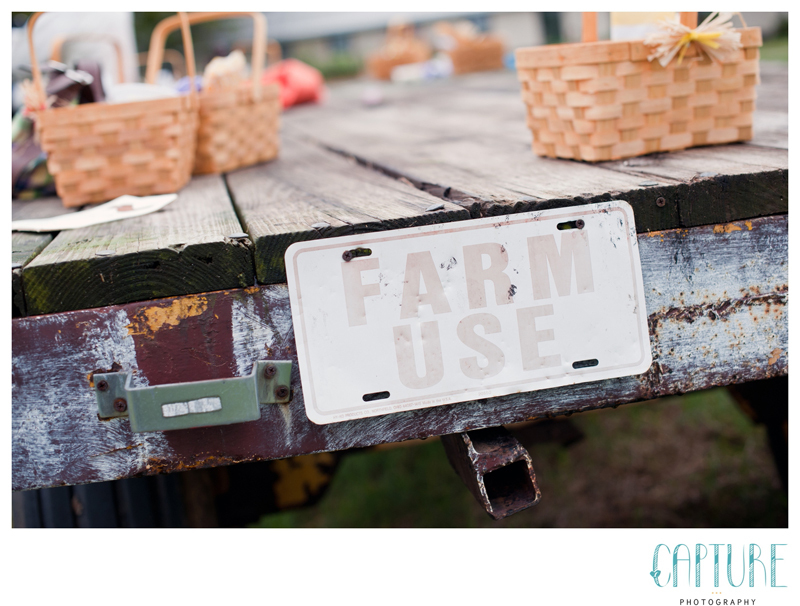 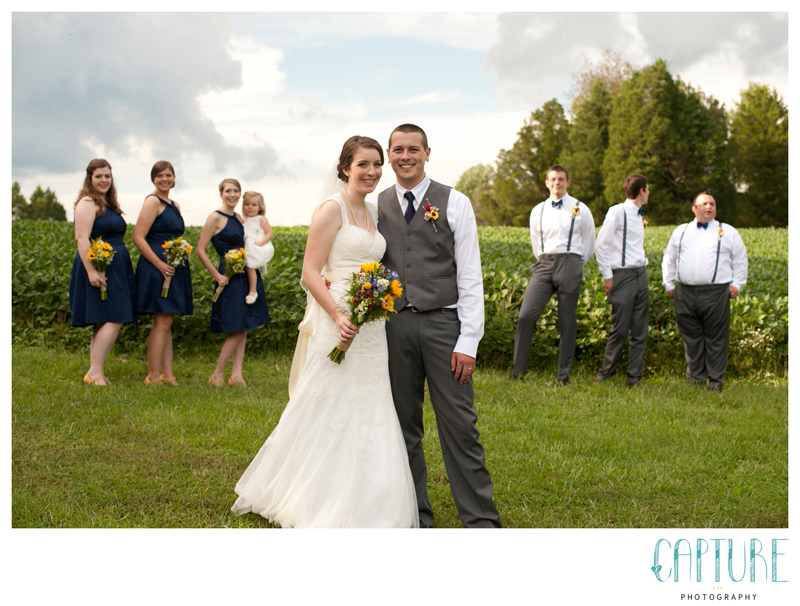 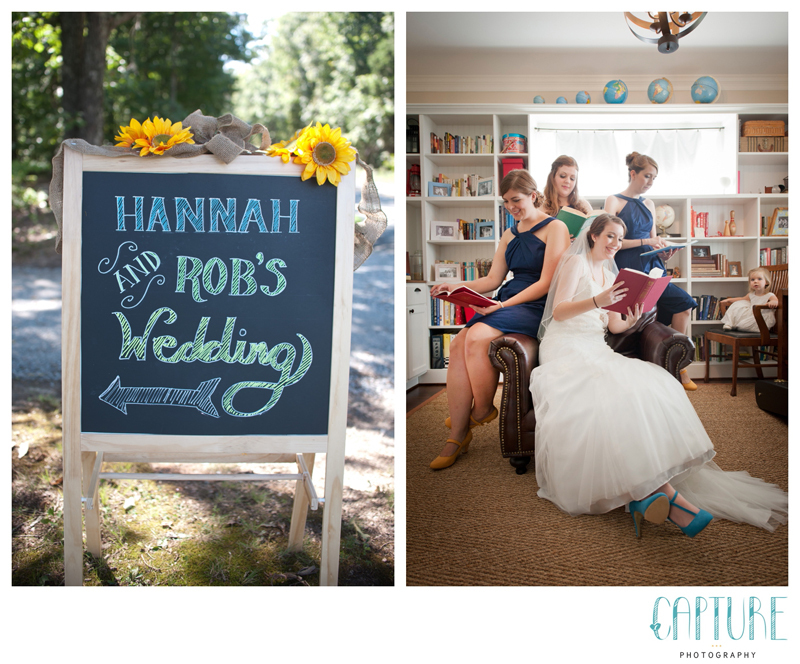 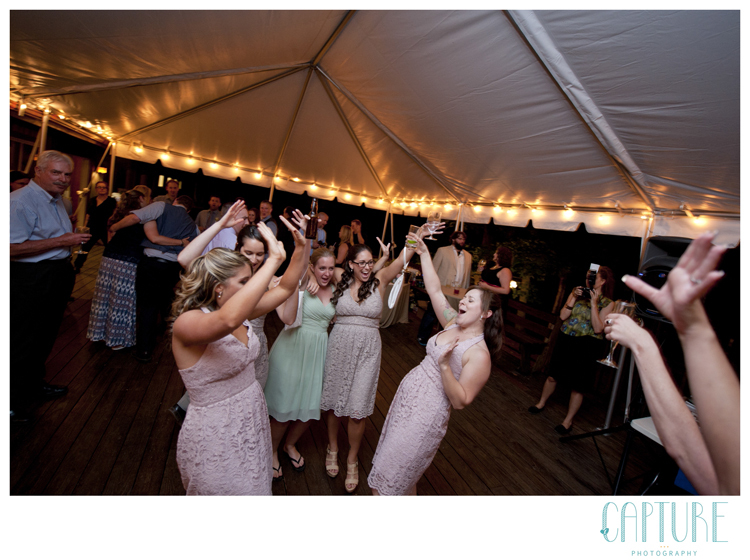 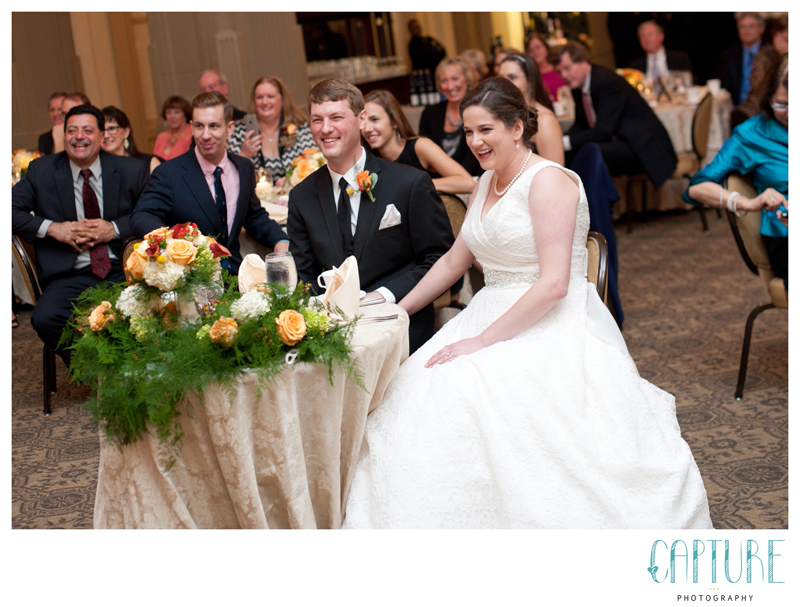 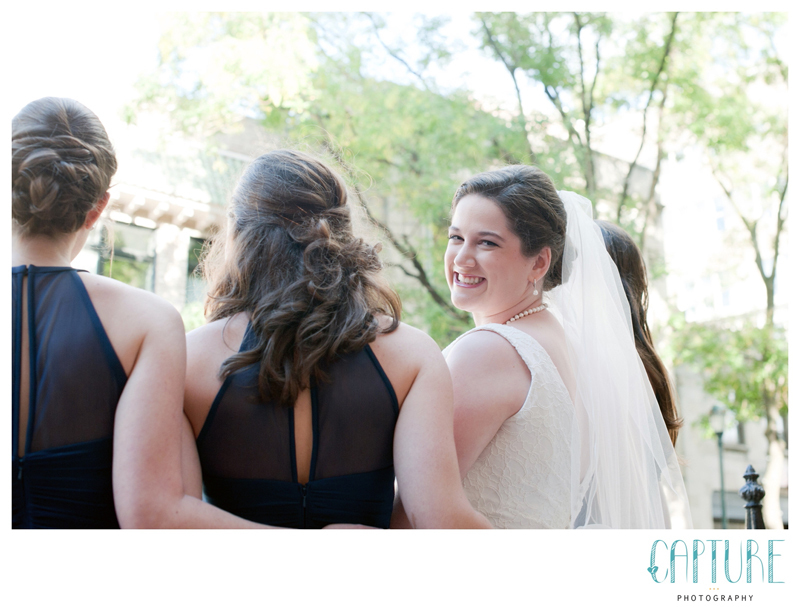 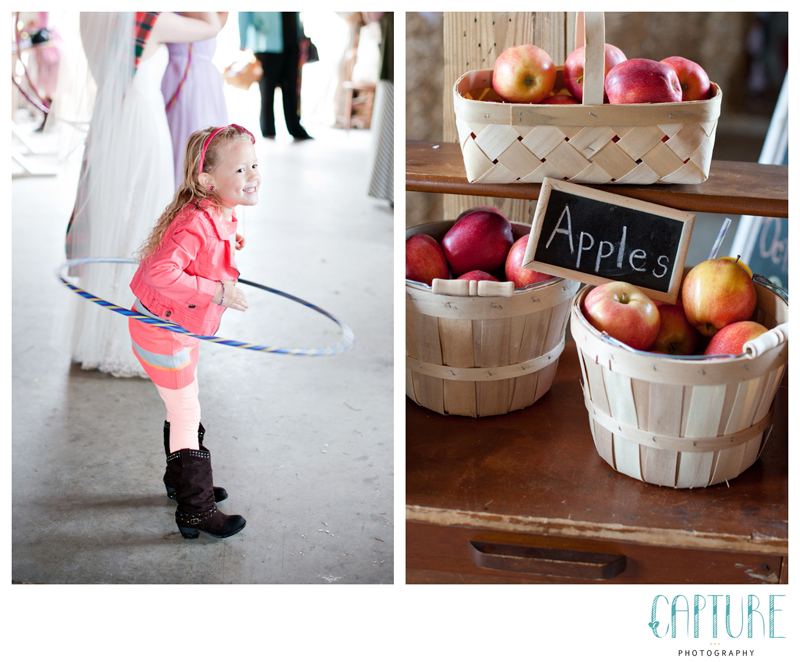 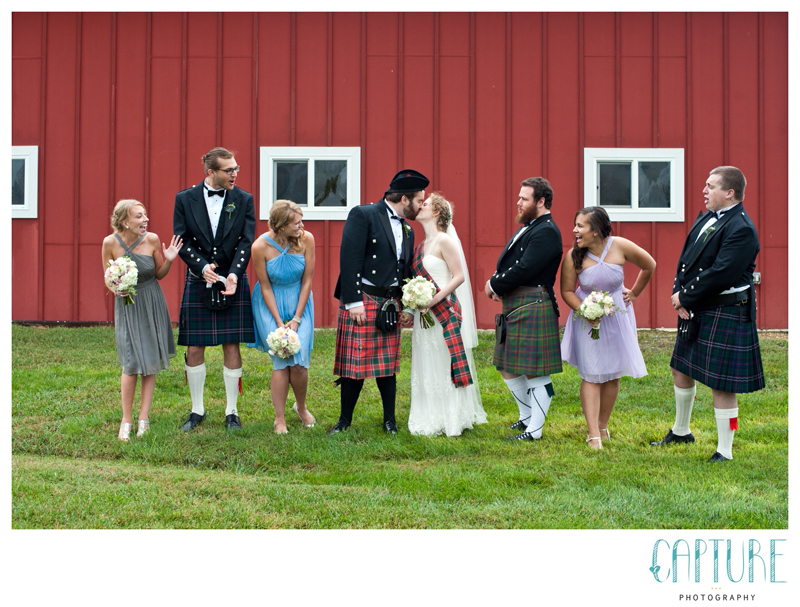 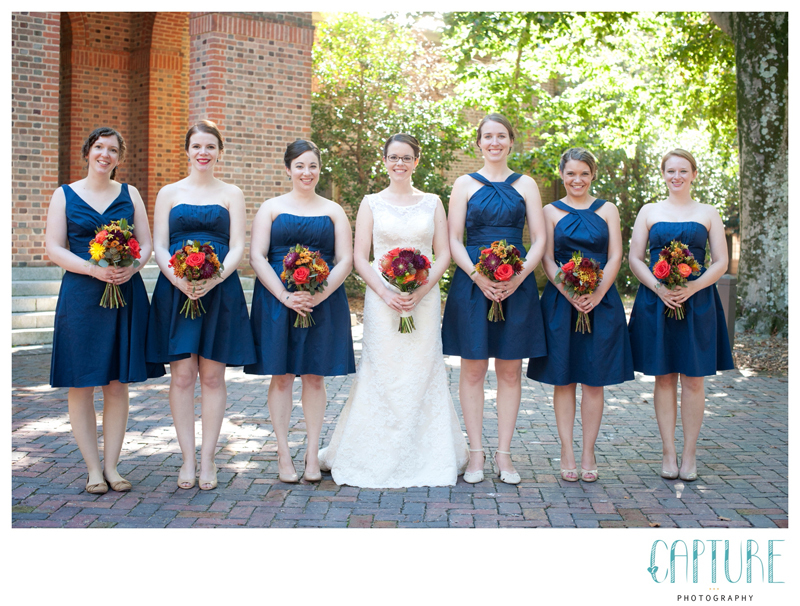 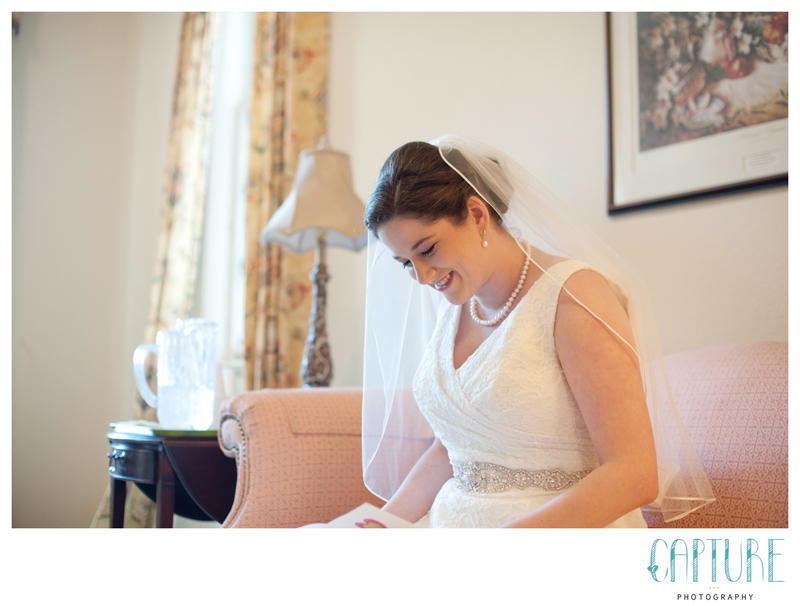 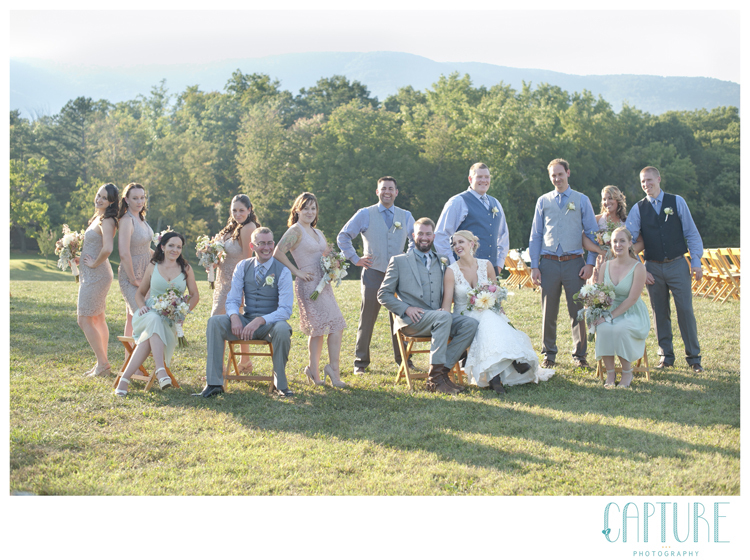 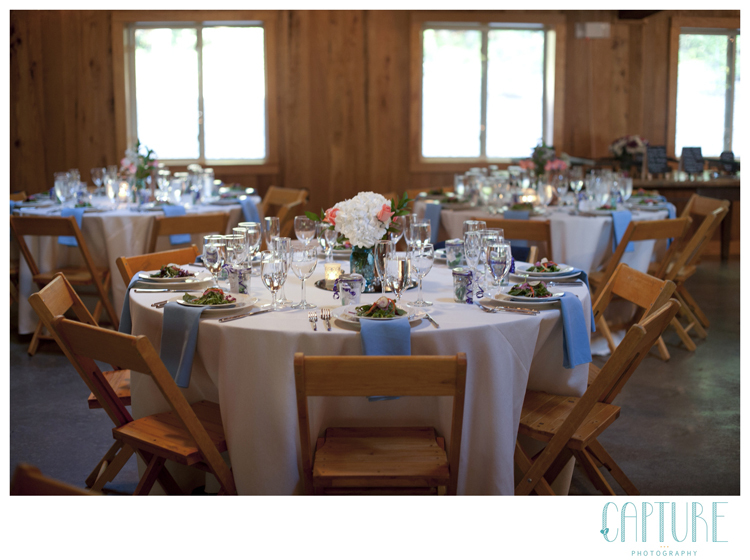 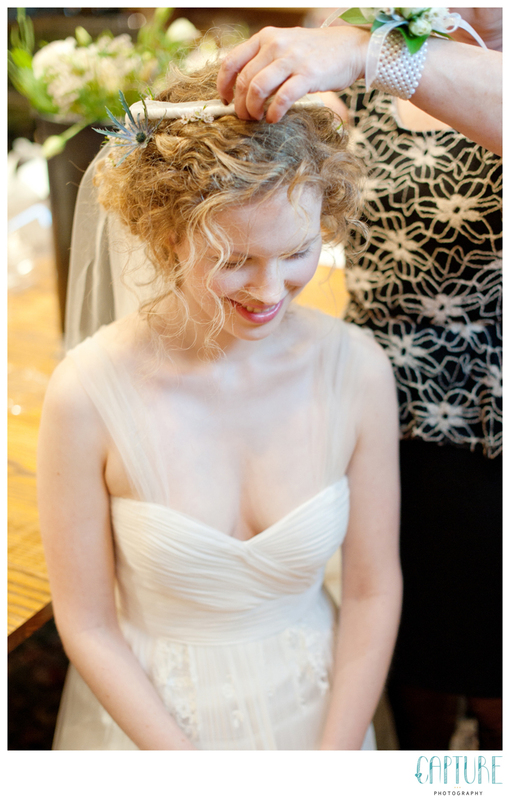 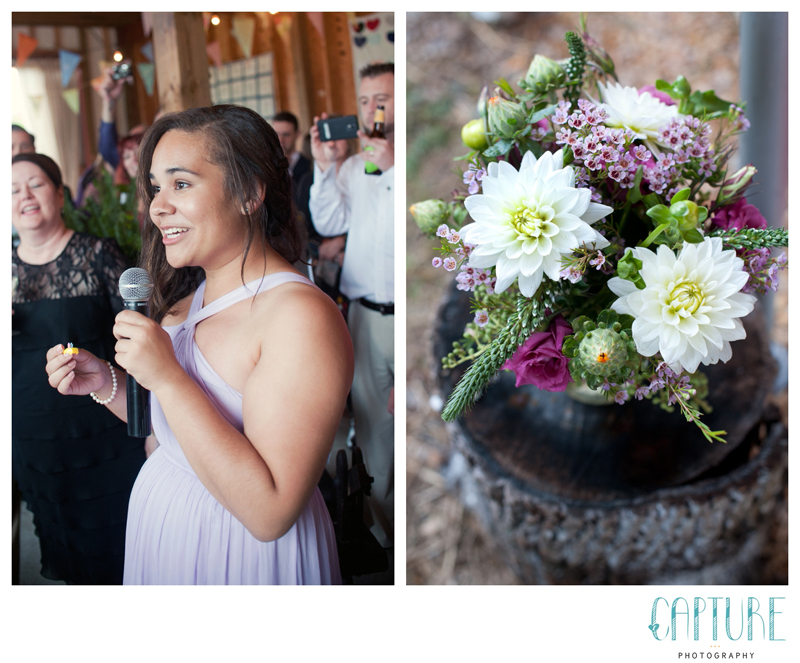 We are impressed with just how laid back and calm Sara always was, even in the midst of the wedding madness! 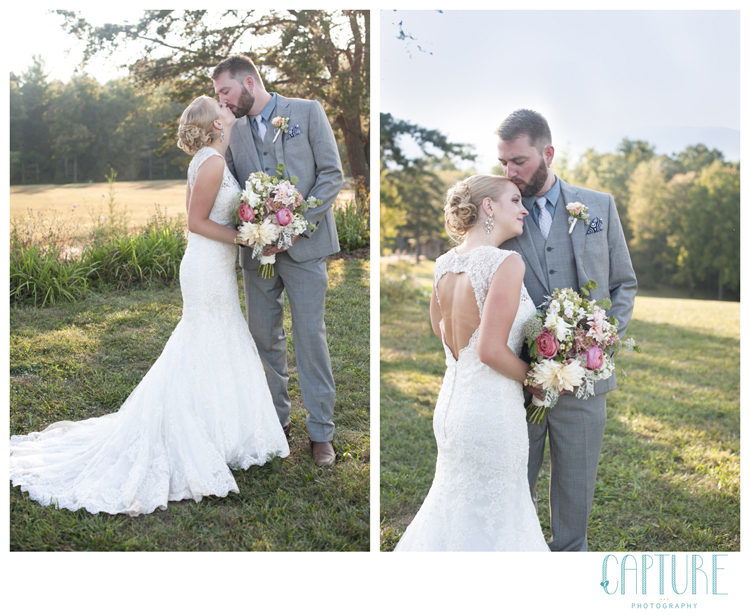 They truly kept their eyes on each other throughout all the details, and their love sparkled throughout the whole wedding day. 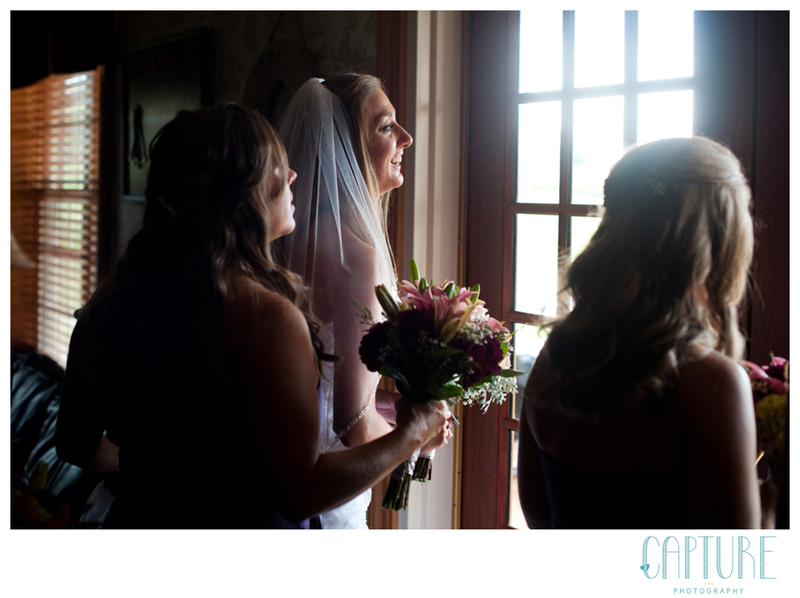 Sara and her girls prepared for the day, tucked away in a room at St Peter’s Baptist church. 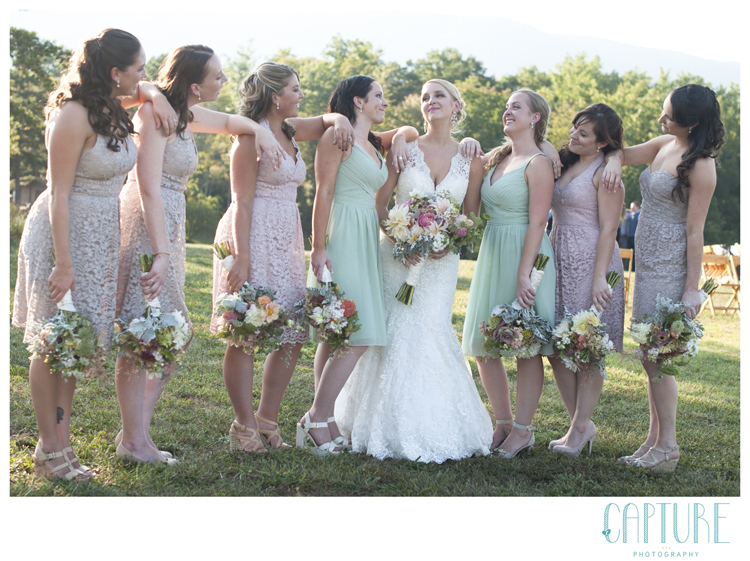 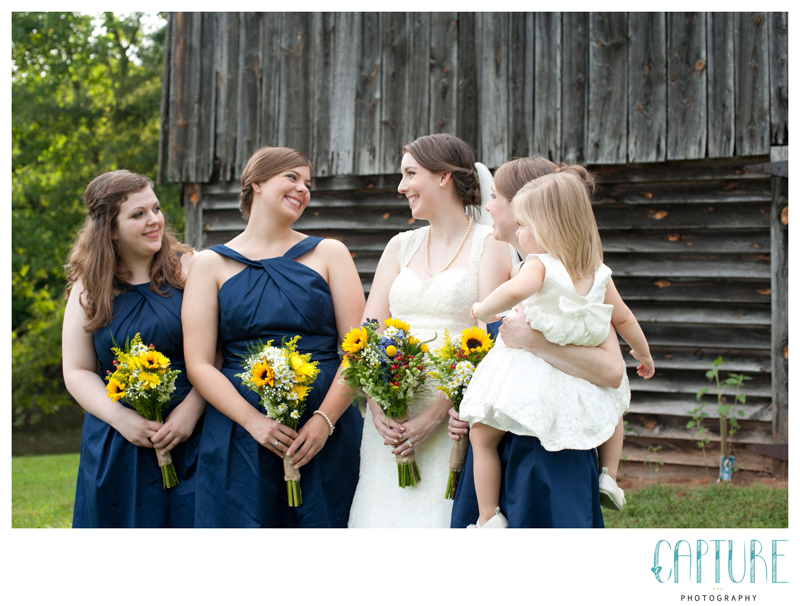 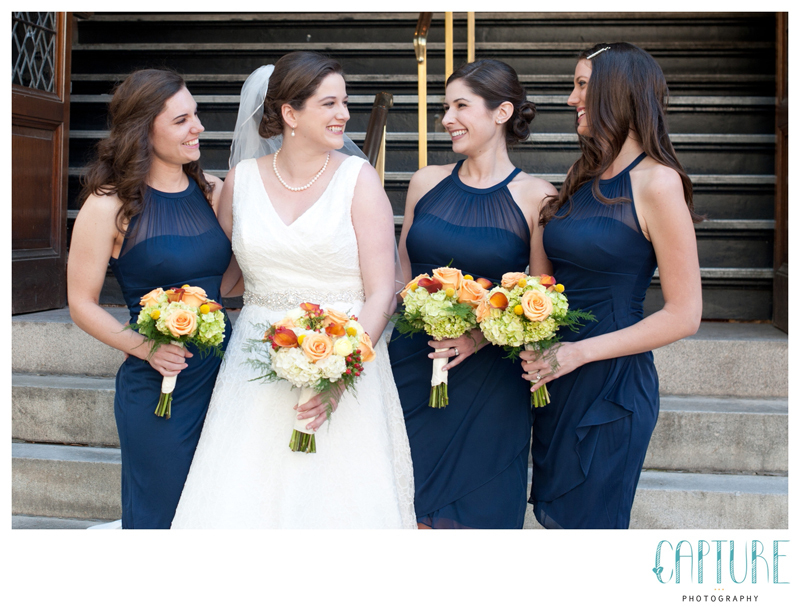 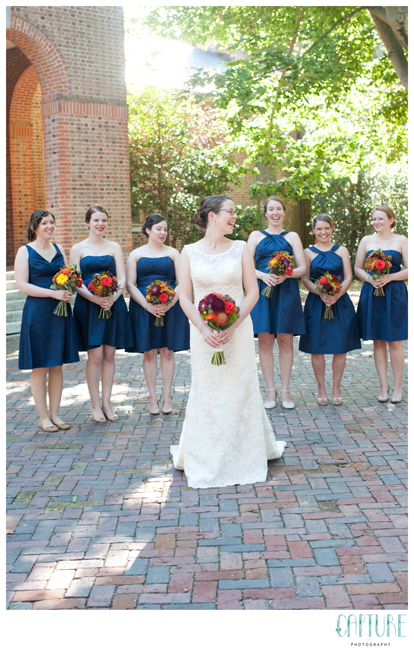 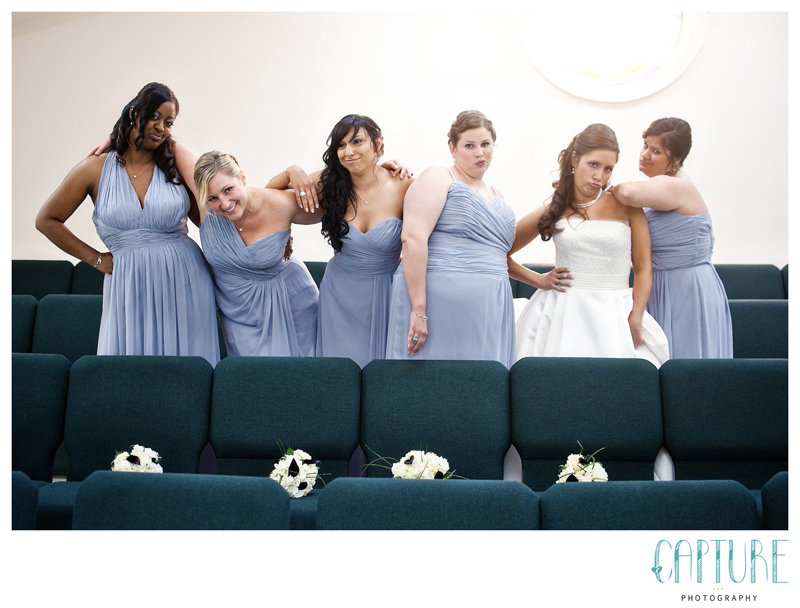 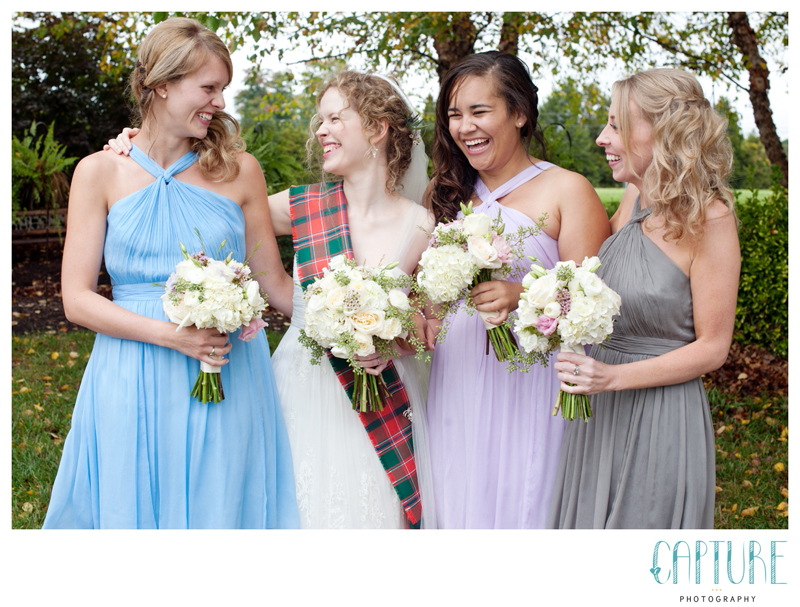 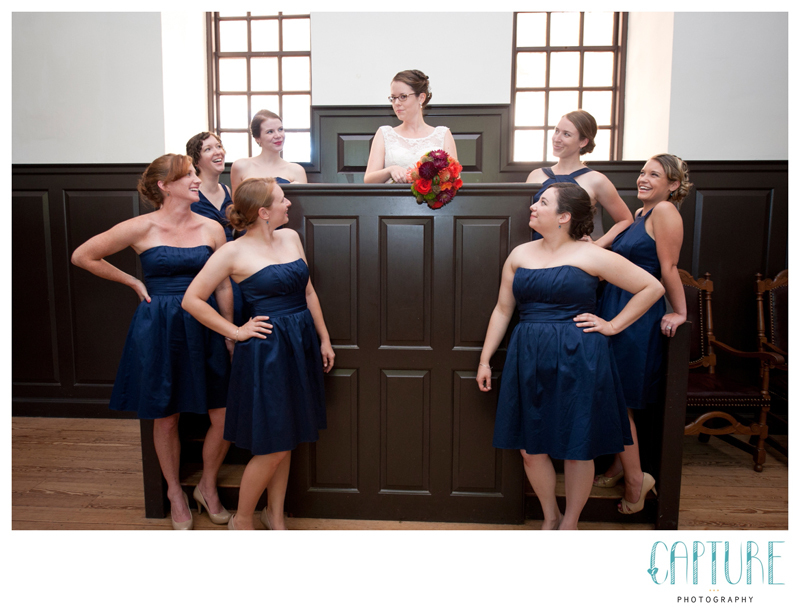 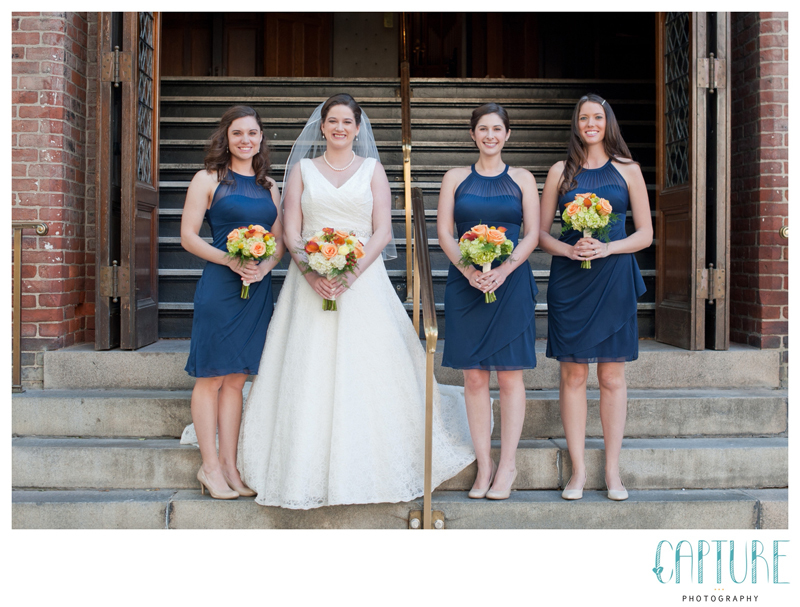 Sara kept her girls laughing, and even made sure we had time to recreate the cover of Bridesmaid, with a funny twist. 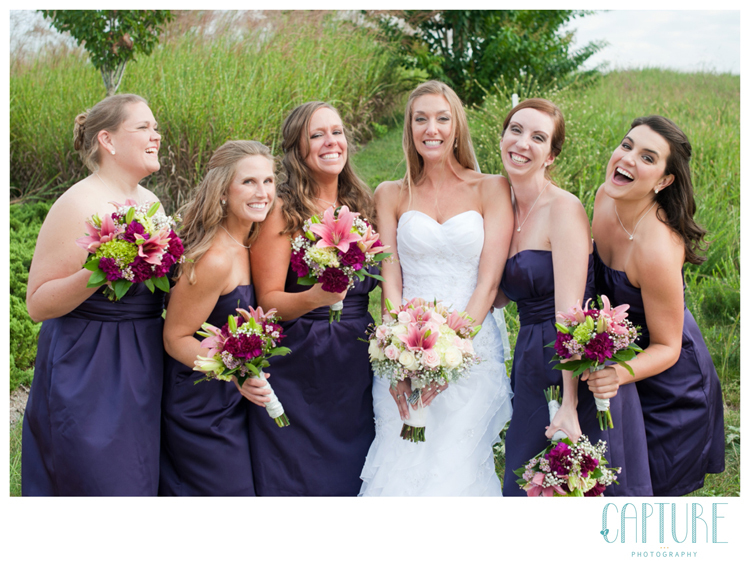 These girls rocked that choir room with some serious sass! 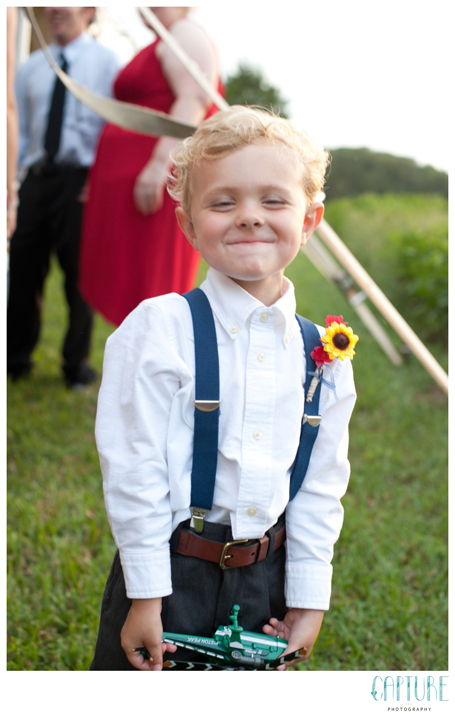 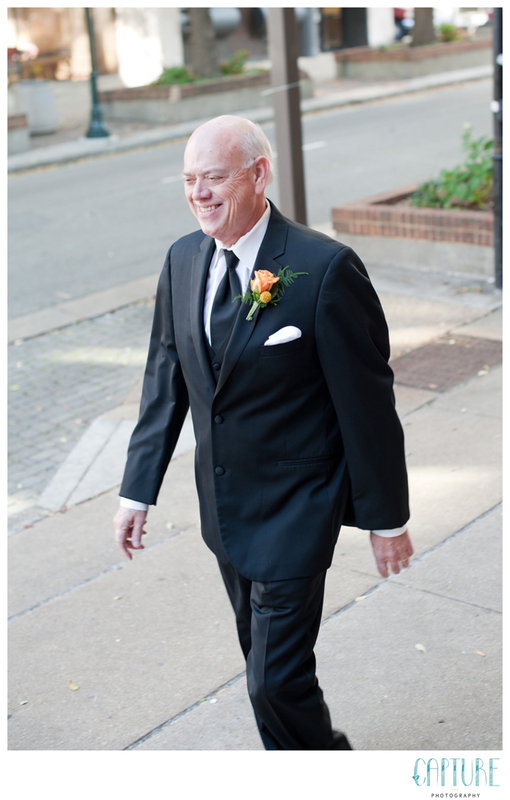 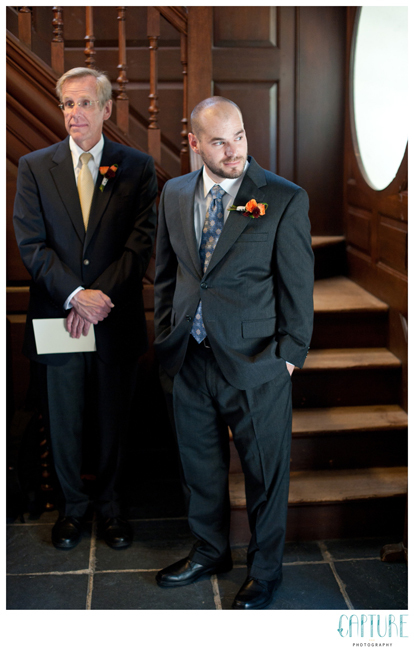 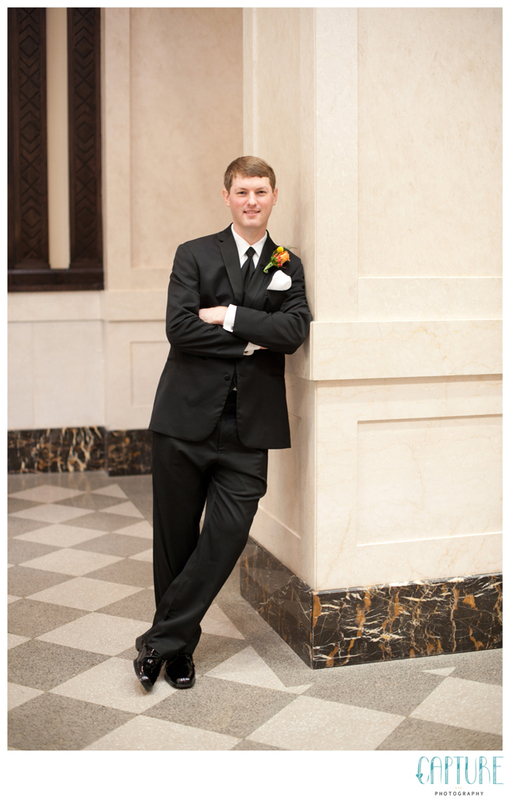 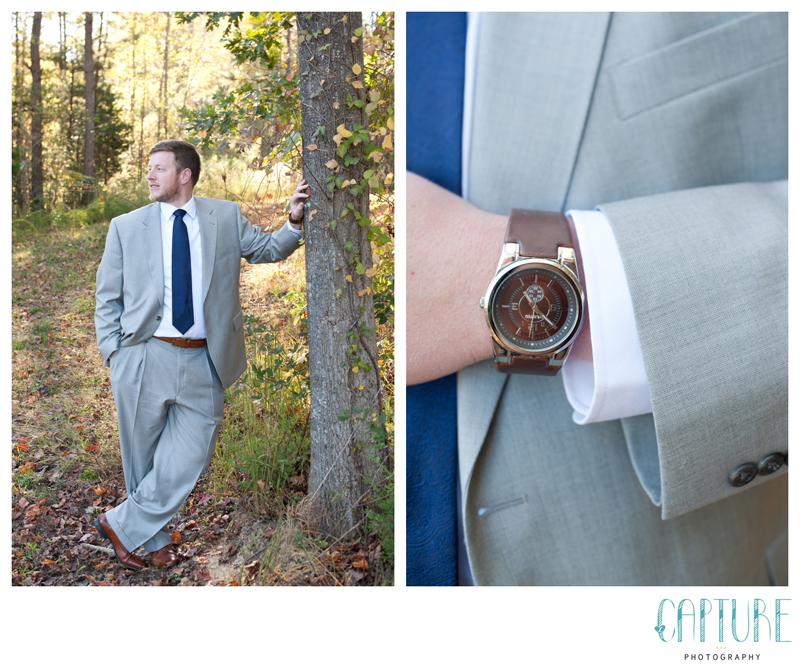 Having two photographers allowed us the luxury of doing outdoor portraits before the ceremony; while I was with the ladies, Allison photographed Michael and all his handsome details. 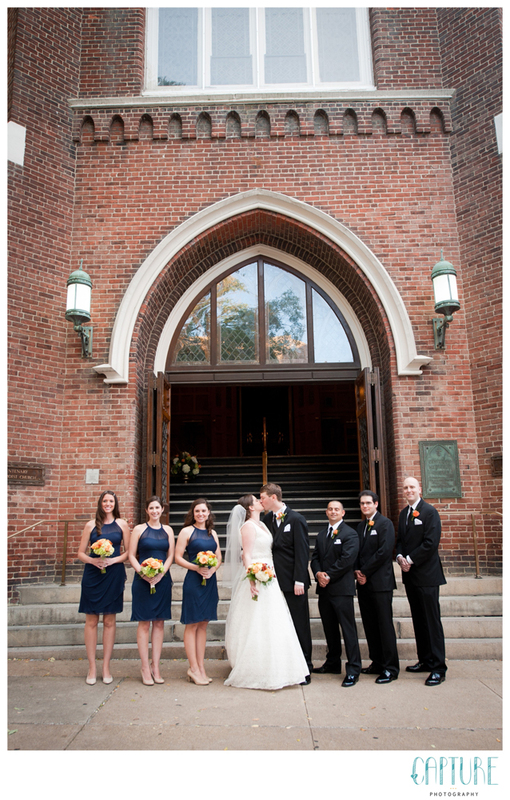 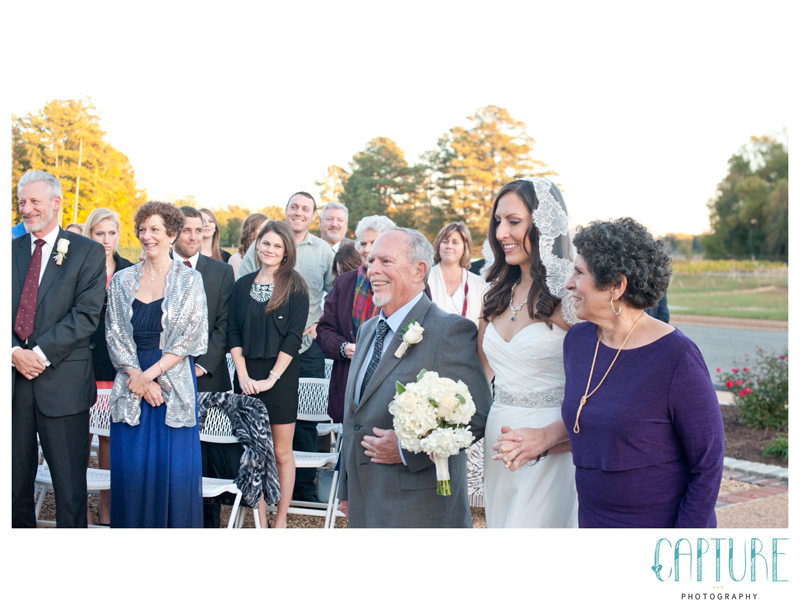 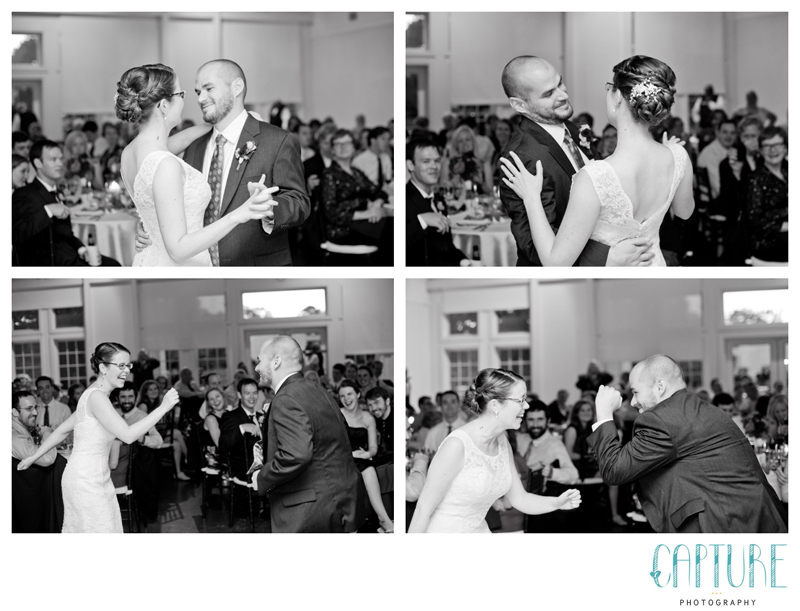 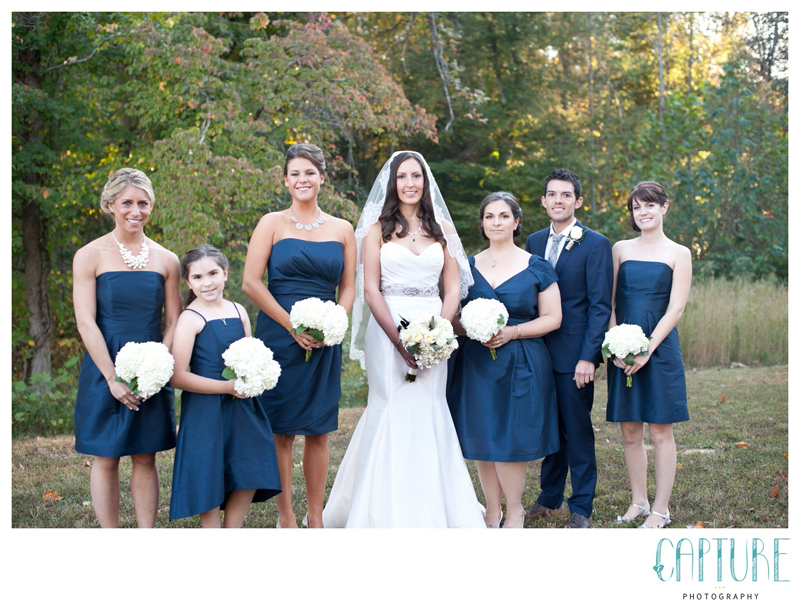 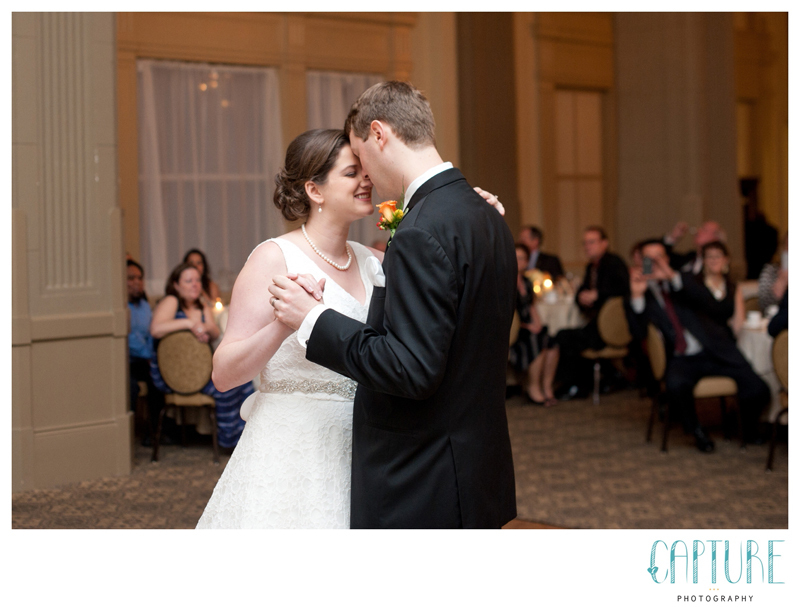 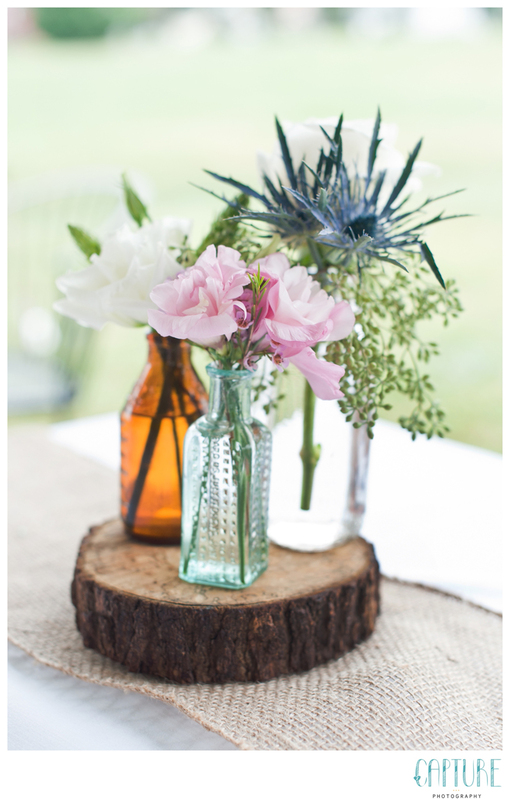 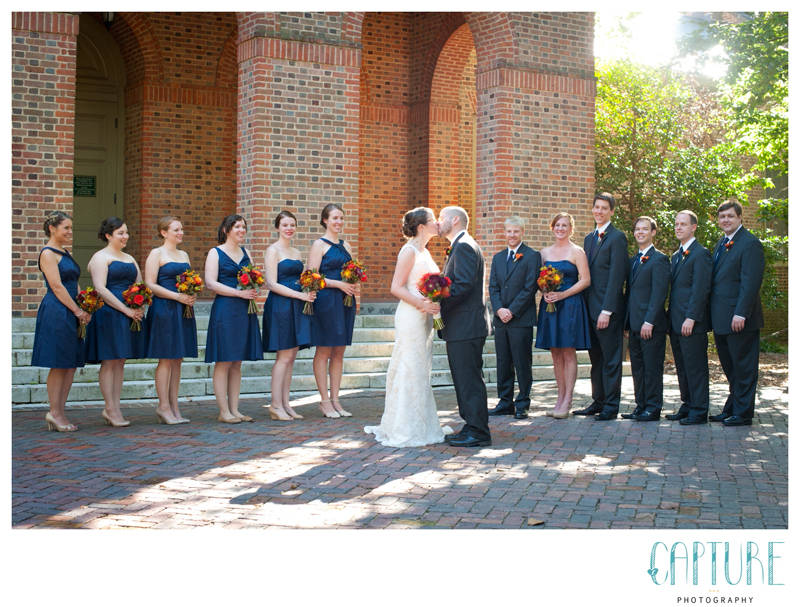 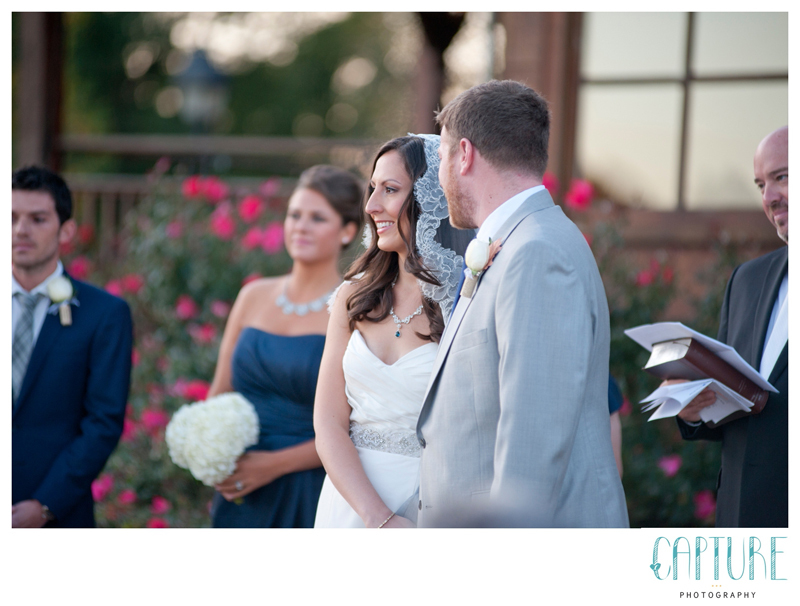 Once the ceremony began, it was as if Sara & Michael were the only two people in the room. 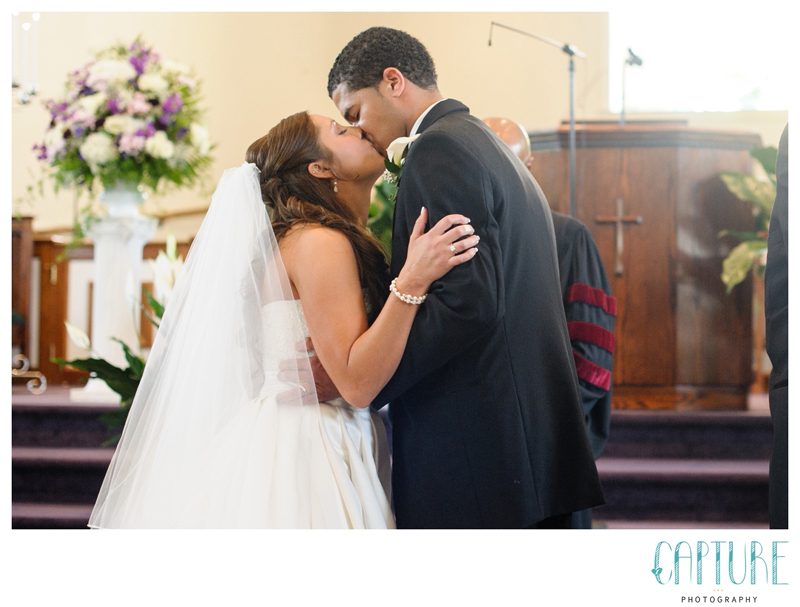 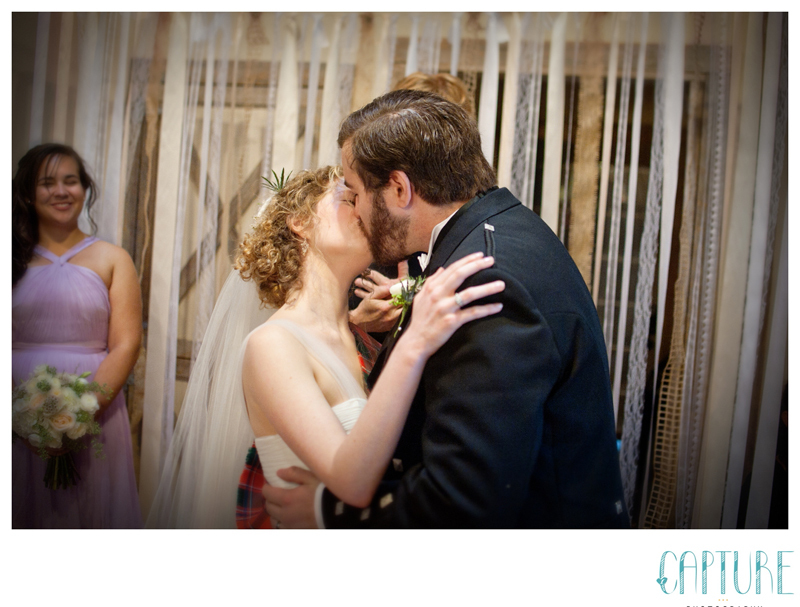 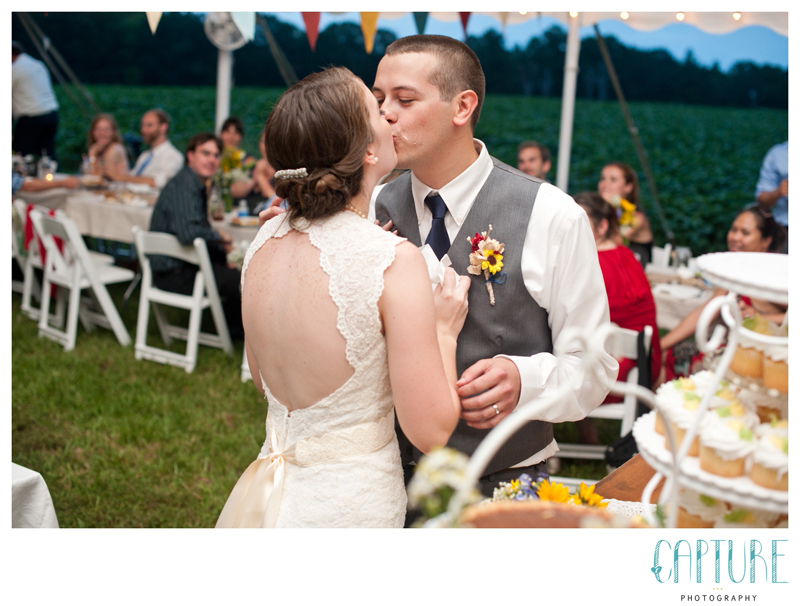 All their friends and family looked on as they said their vows, and of course, sealed their promise with a kiss. 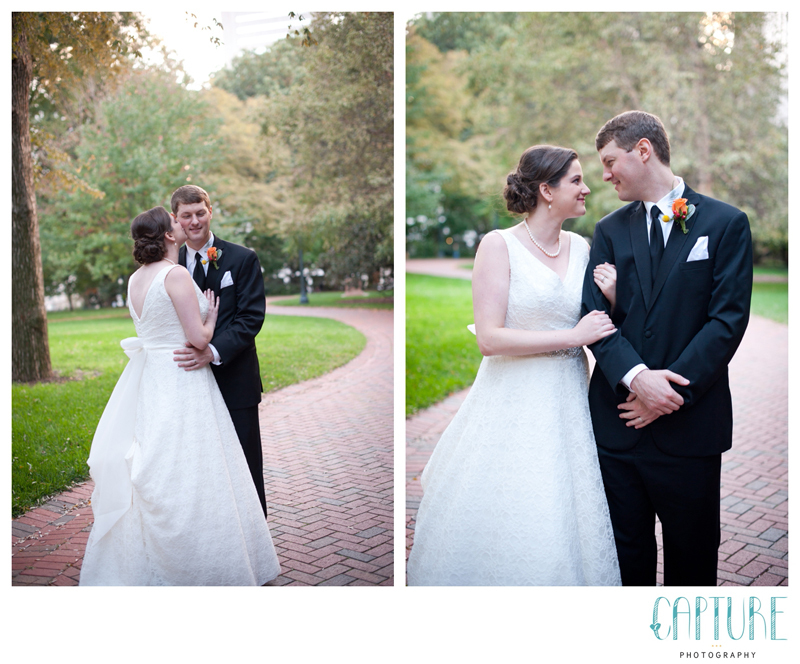 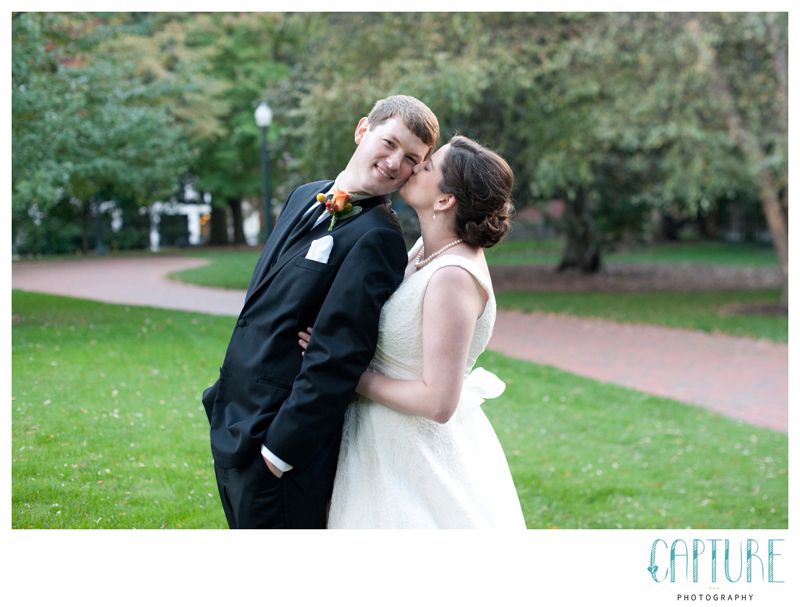 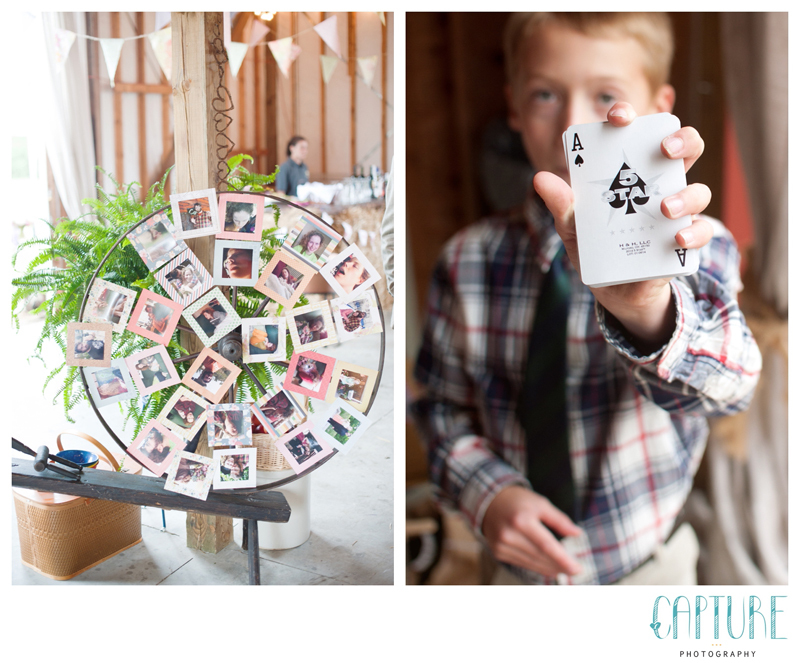 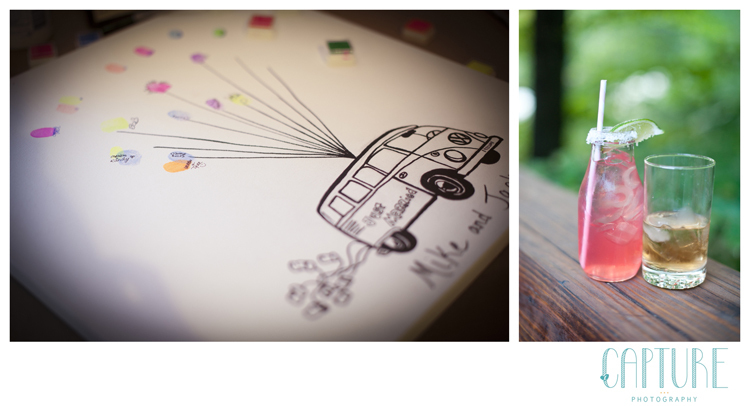 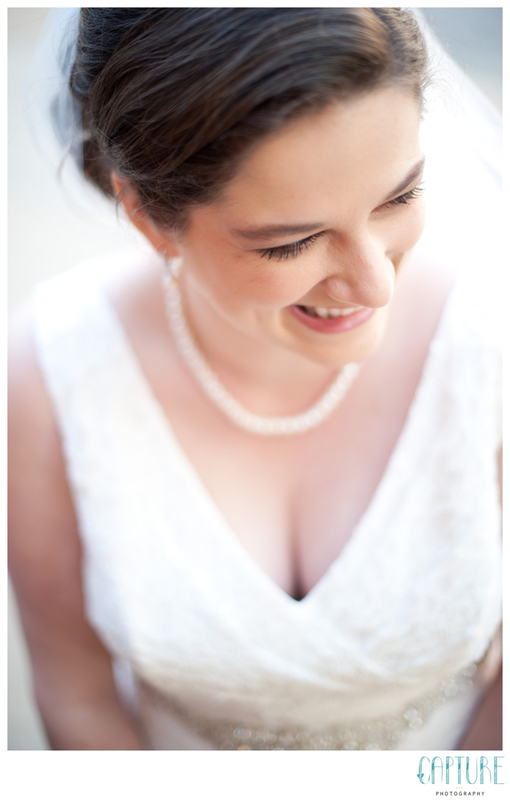 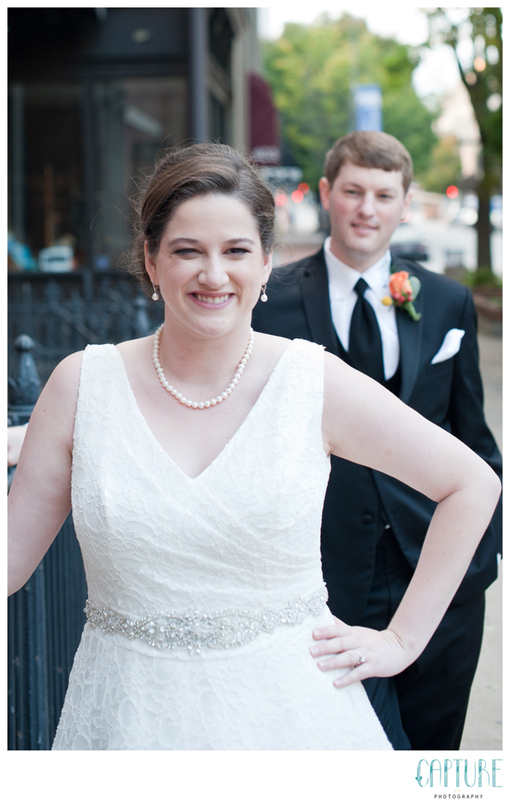 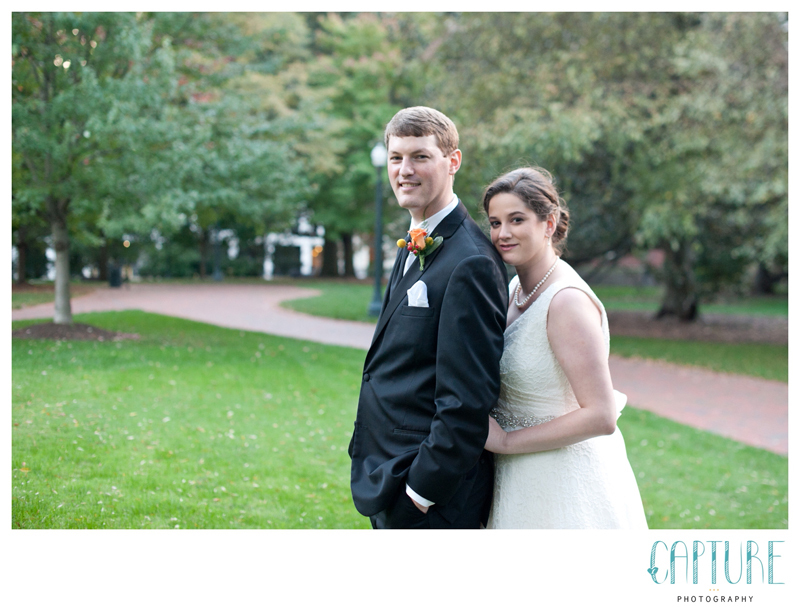 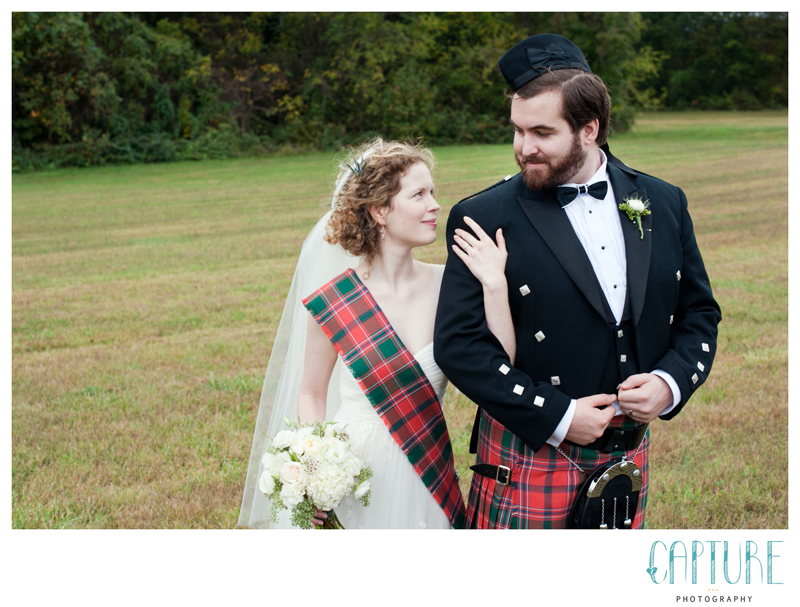 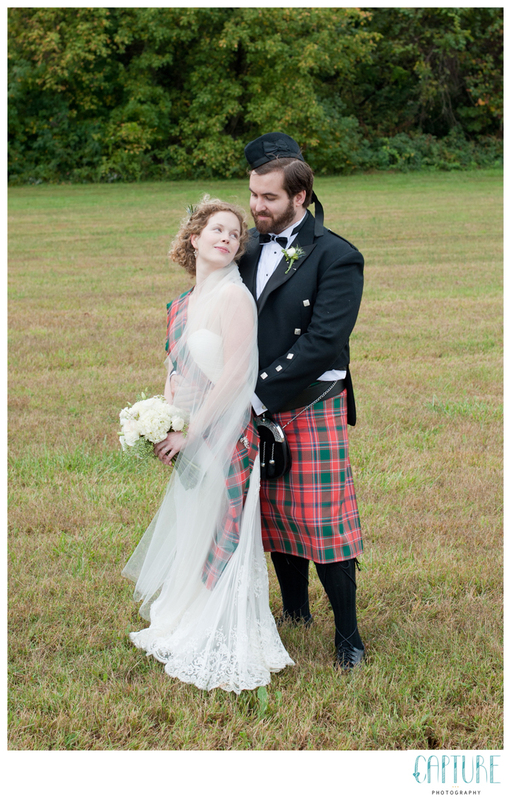 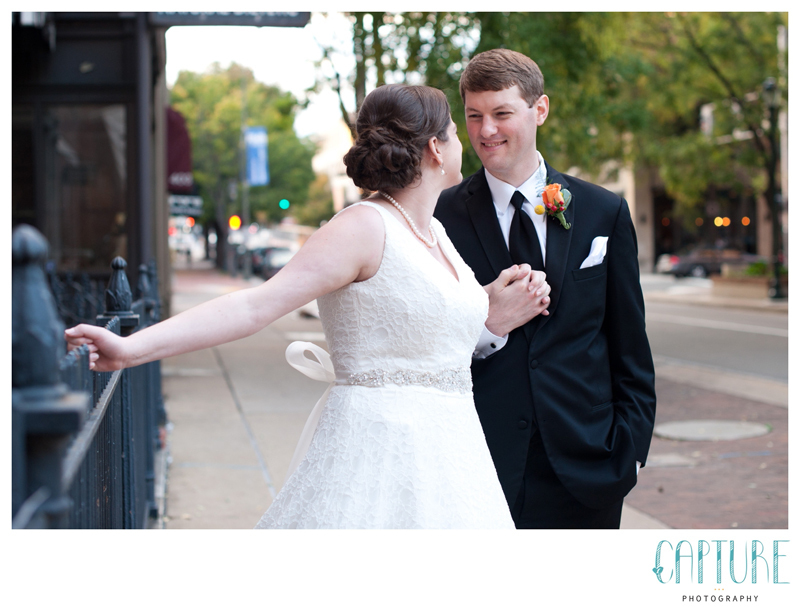 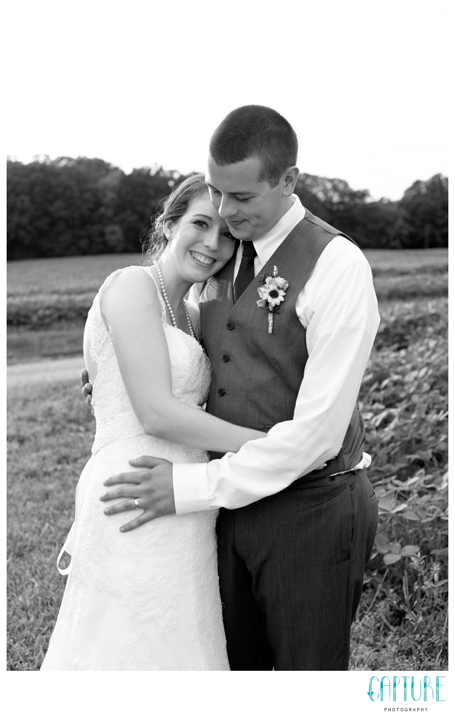 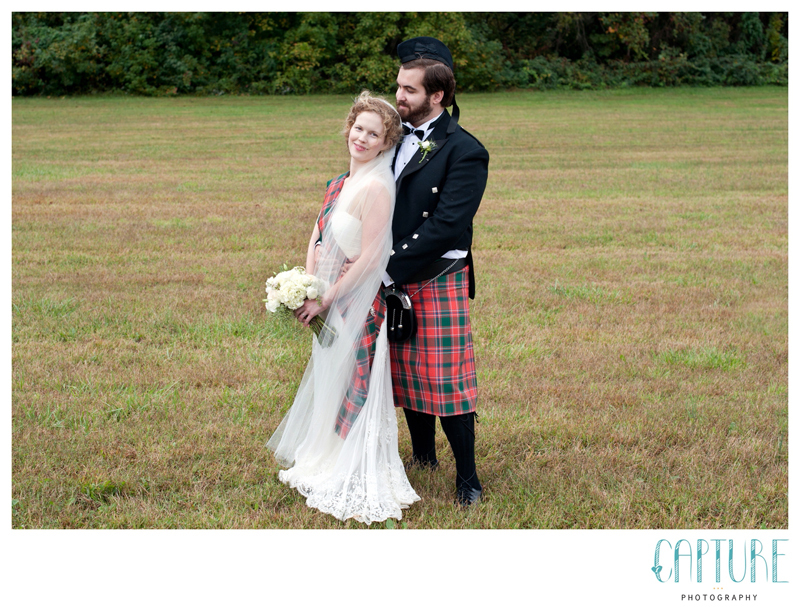 Lucky for us, Sara & Michael had planned plenty of time in their timeline for portraits. 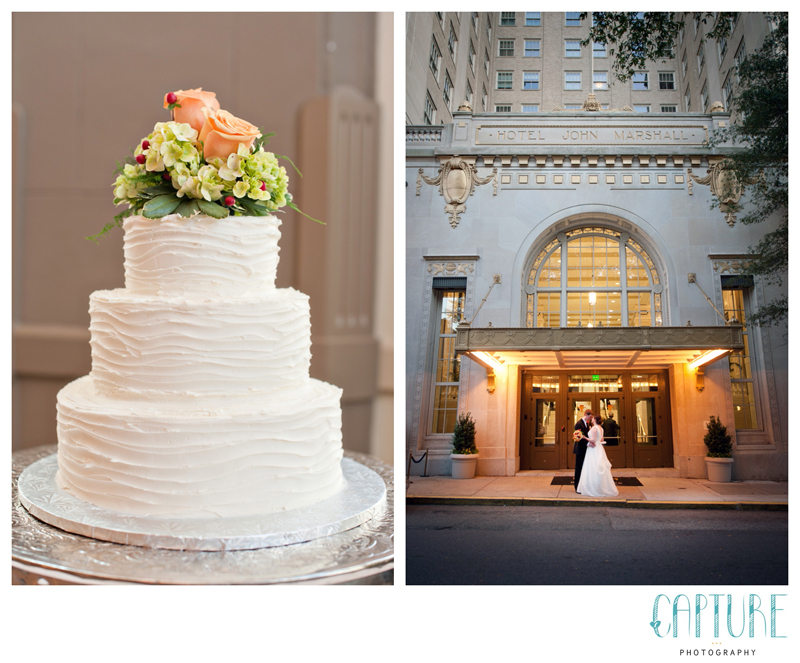 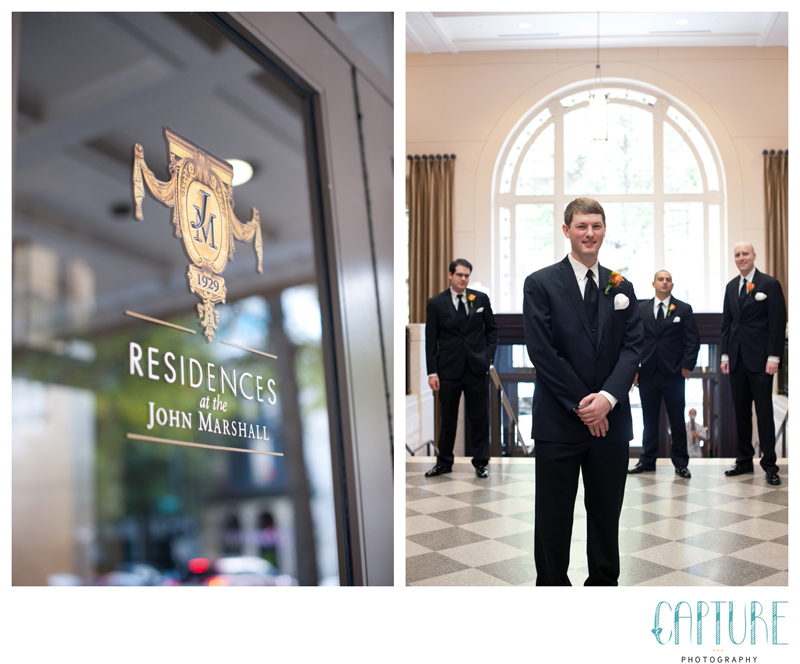 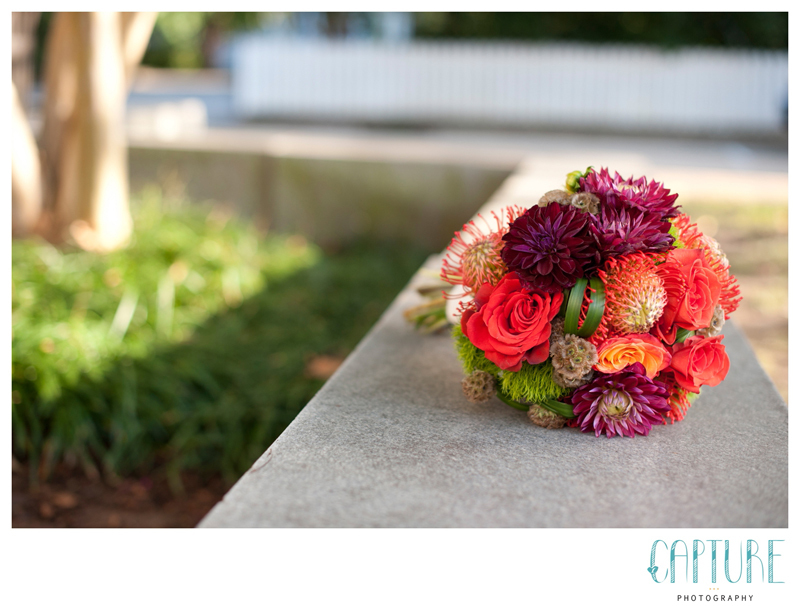 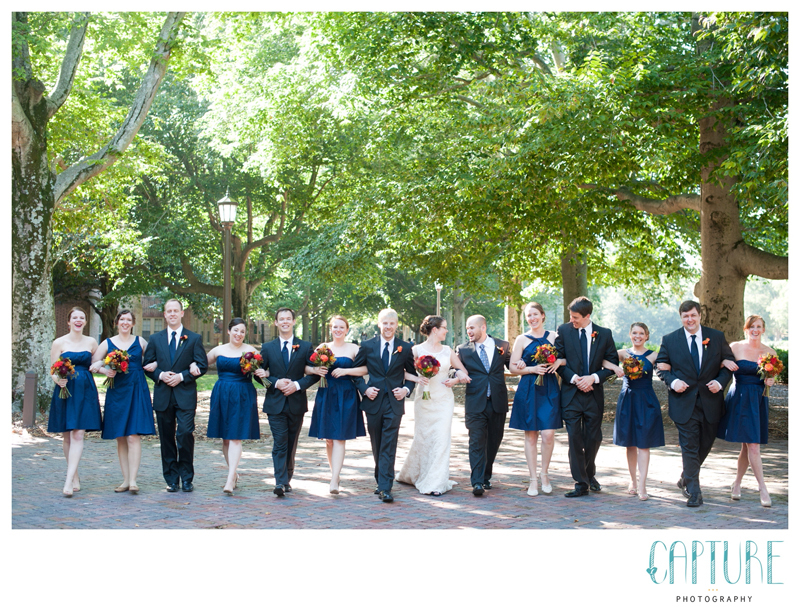 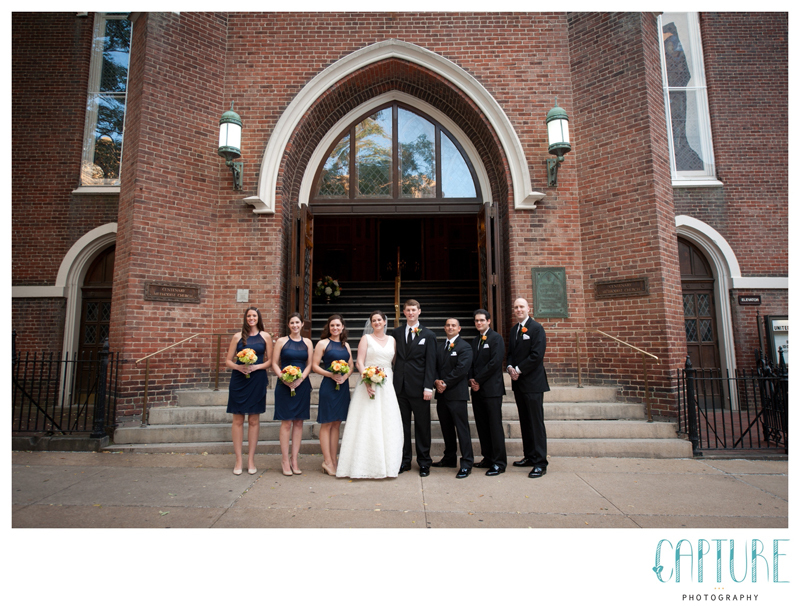 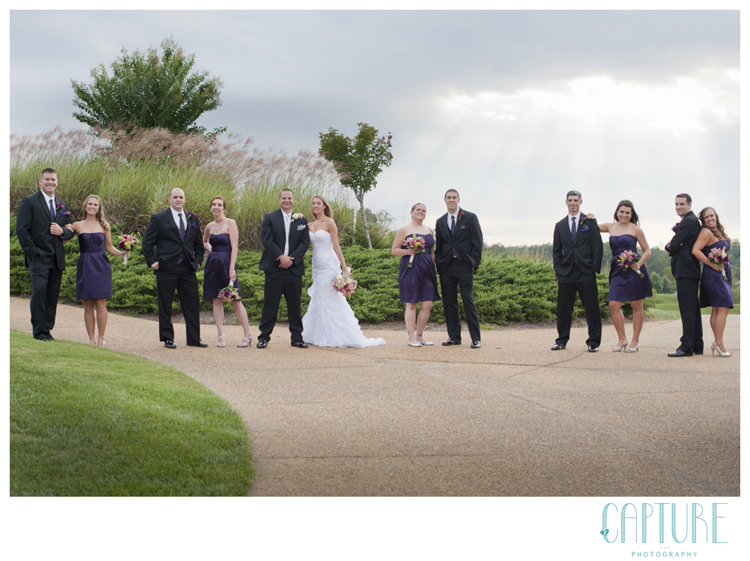 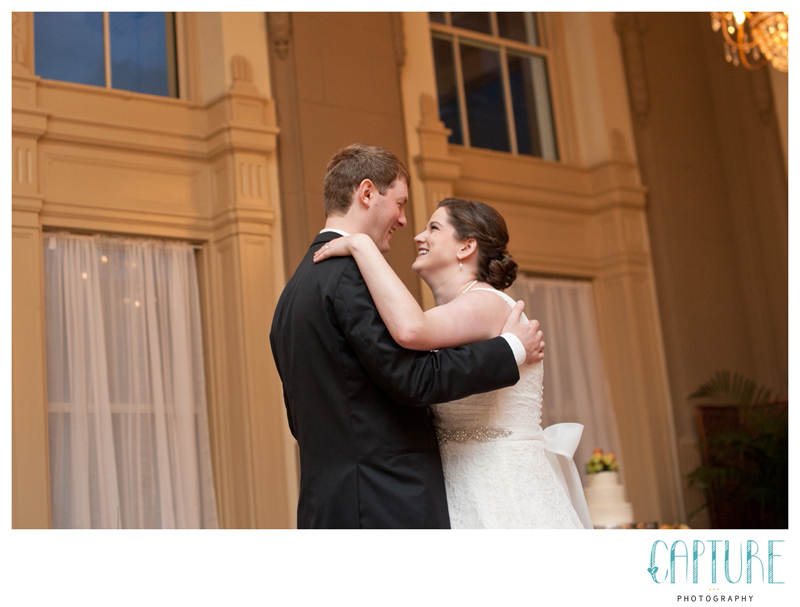 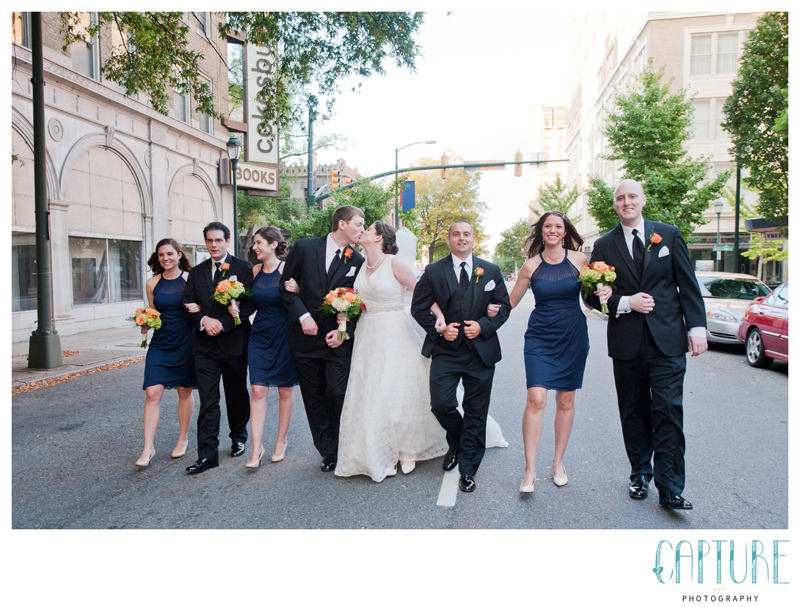 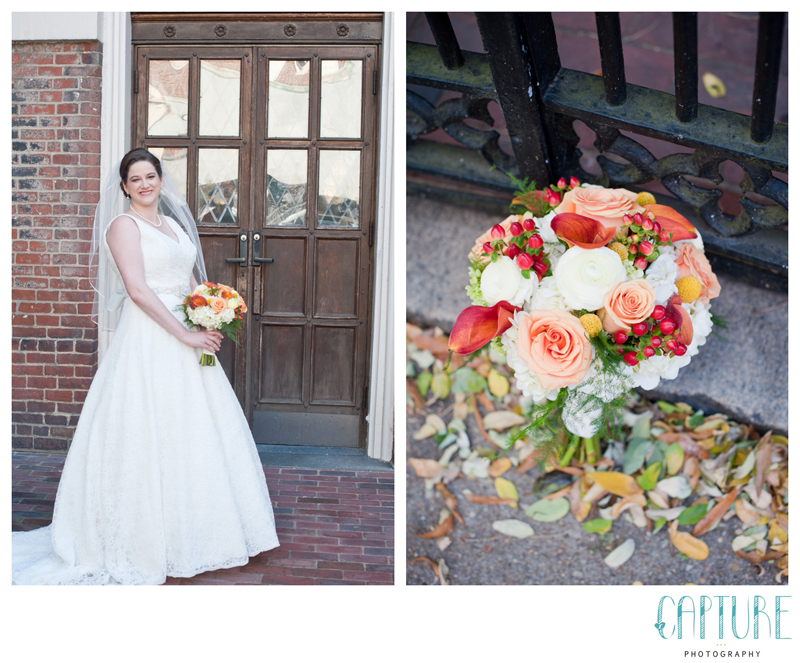 We headed over to Dominion Club with the wedding party just in time to take advantage of the pretty afternoon light! 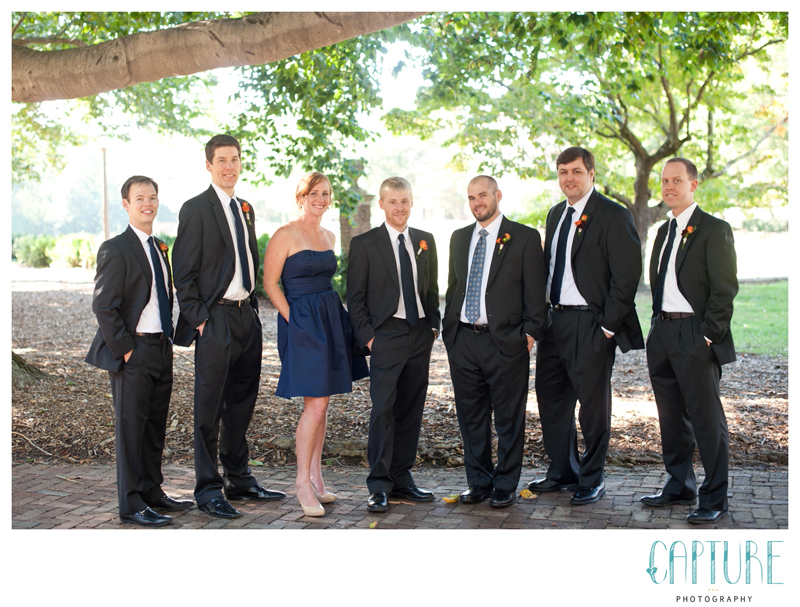 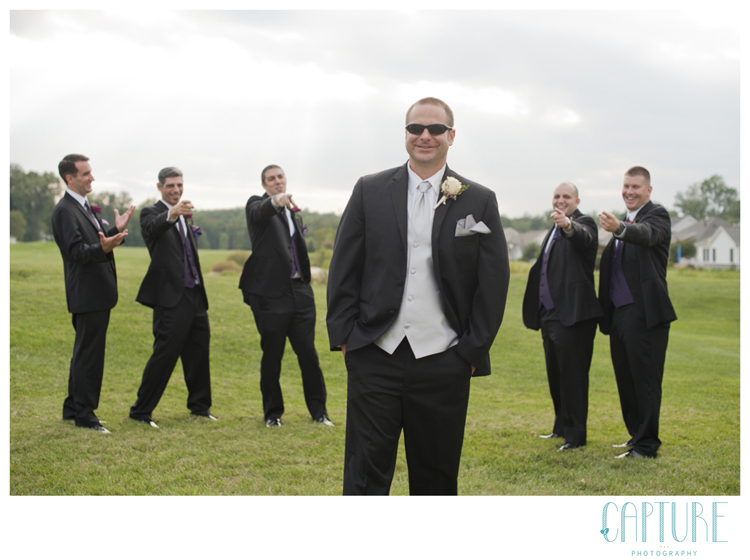 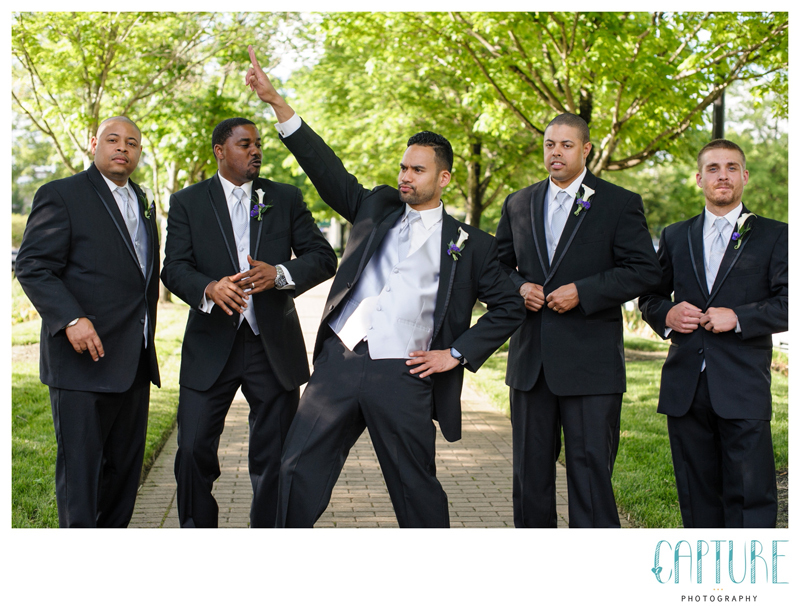 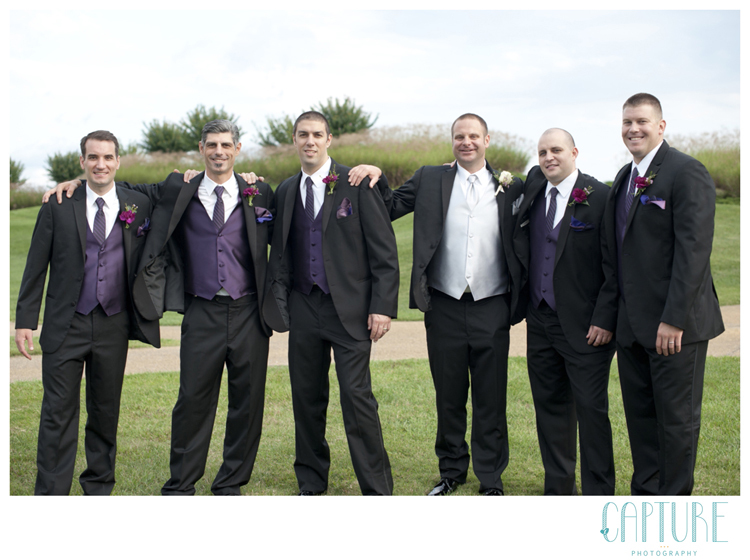 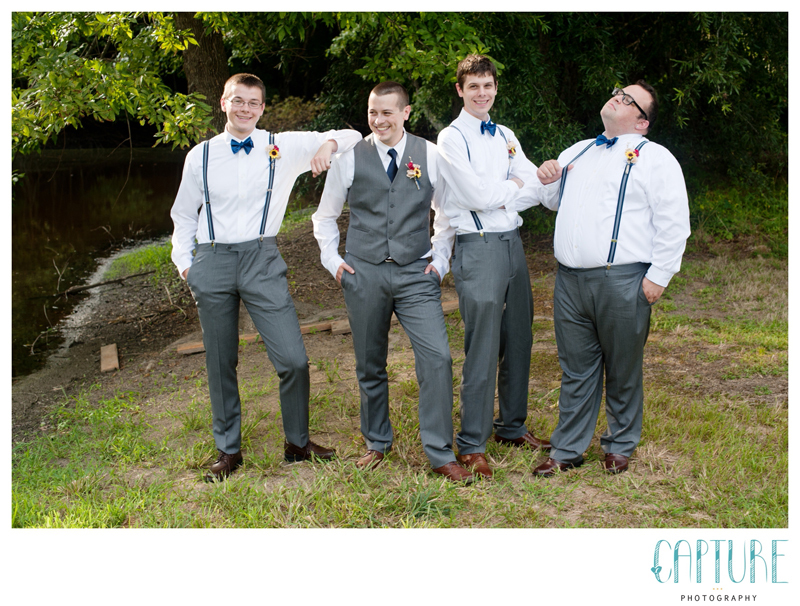 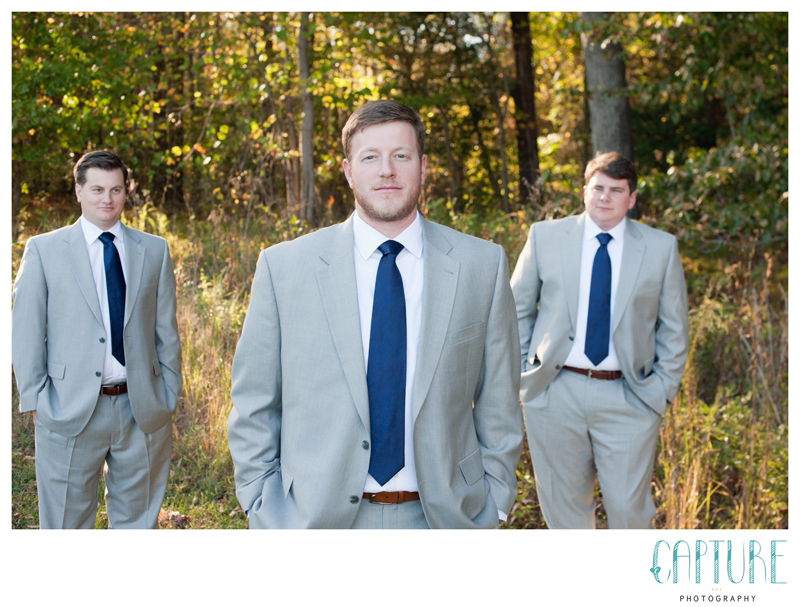 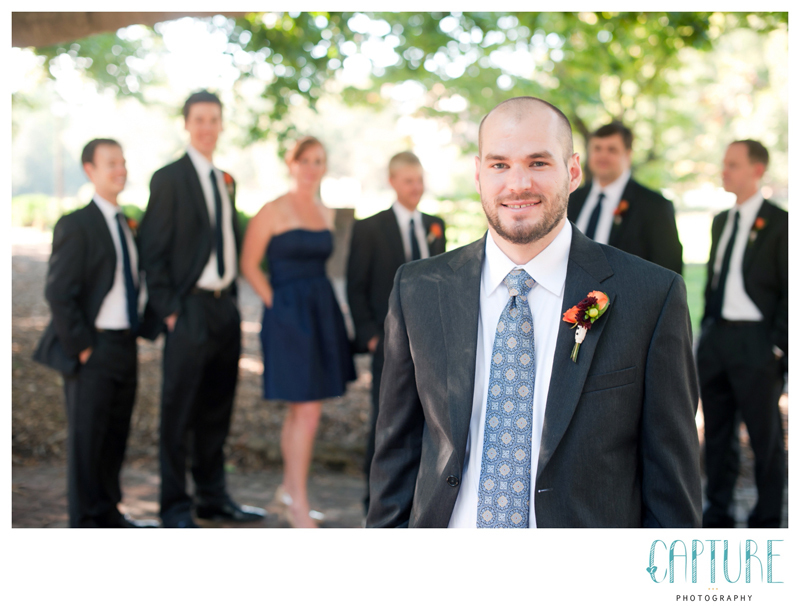 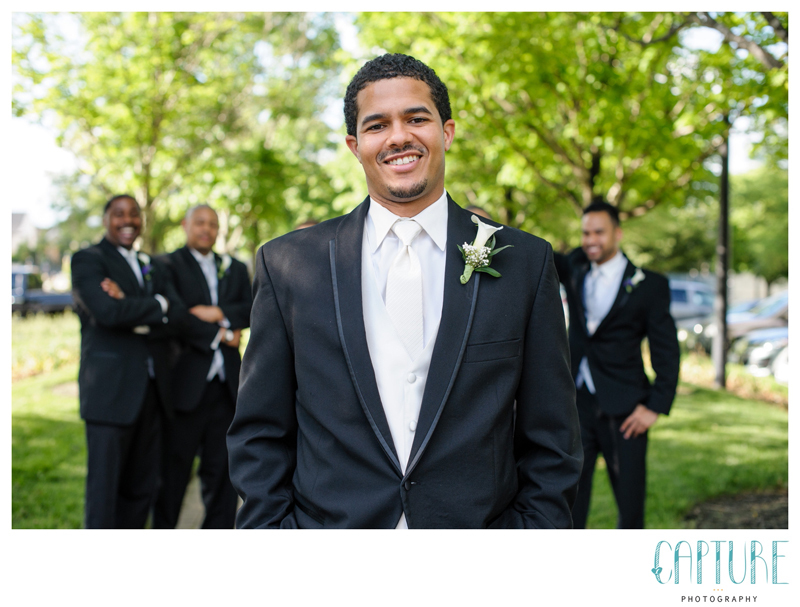 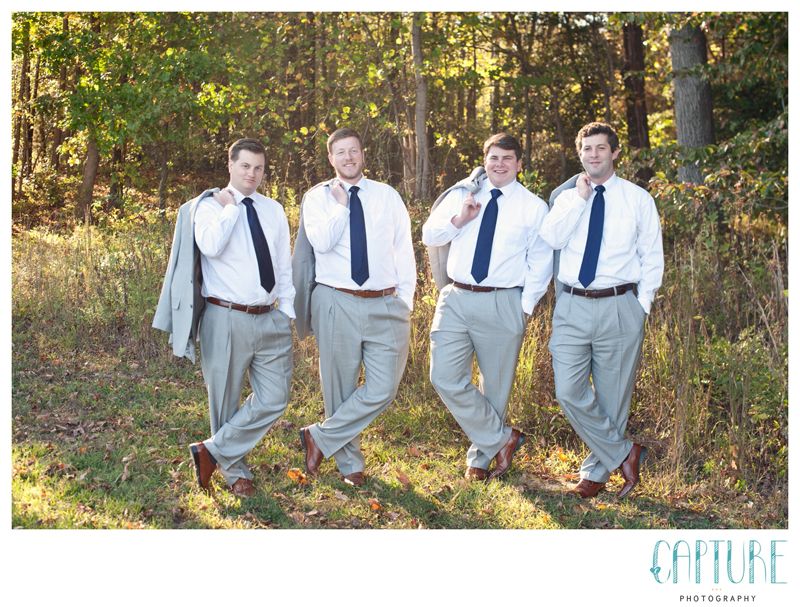 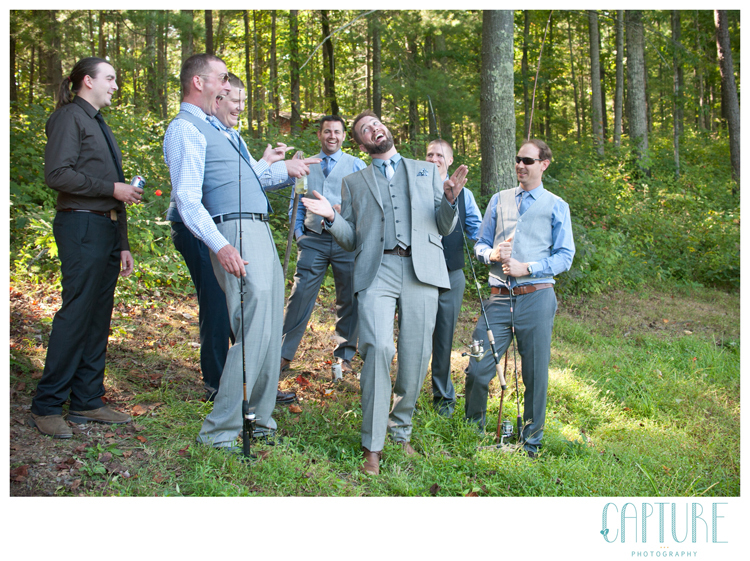 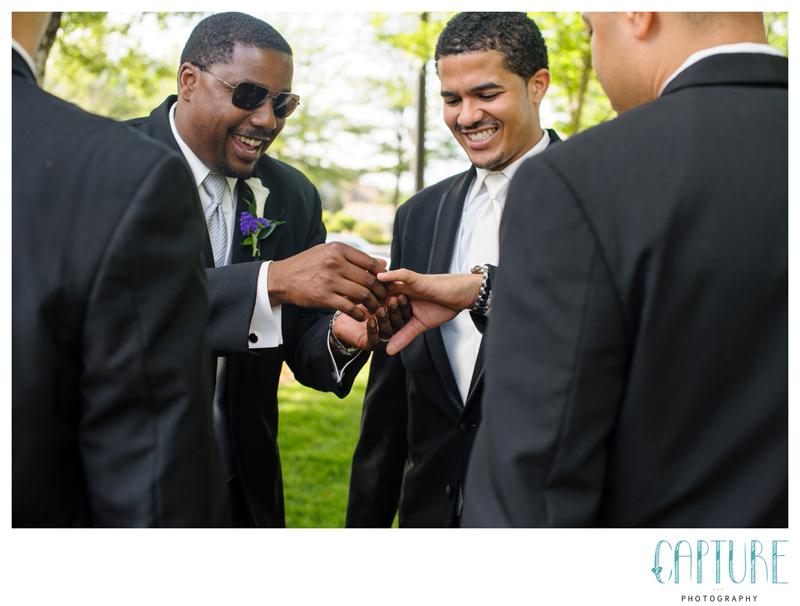 We had no problem getting personality from this group of groomsmen! 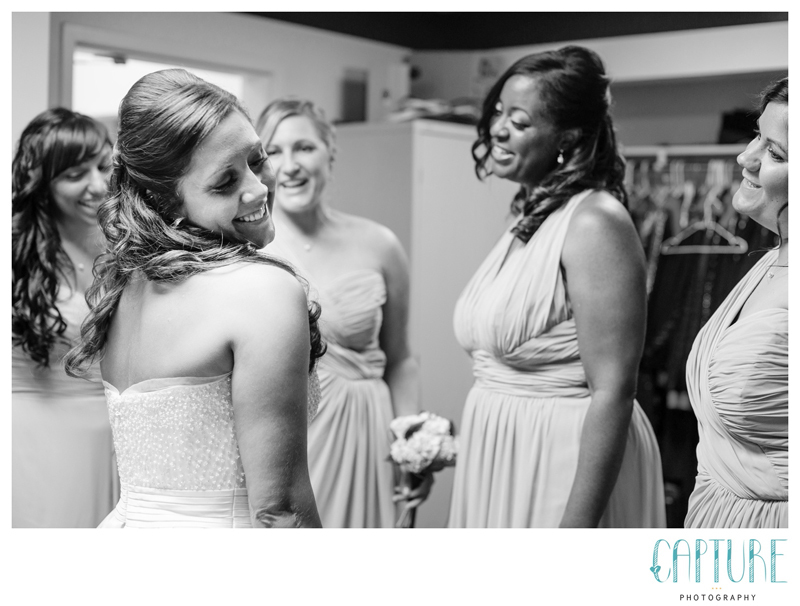 Of course we had to let the ladies in on the fun as well…. 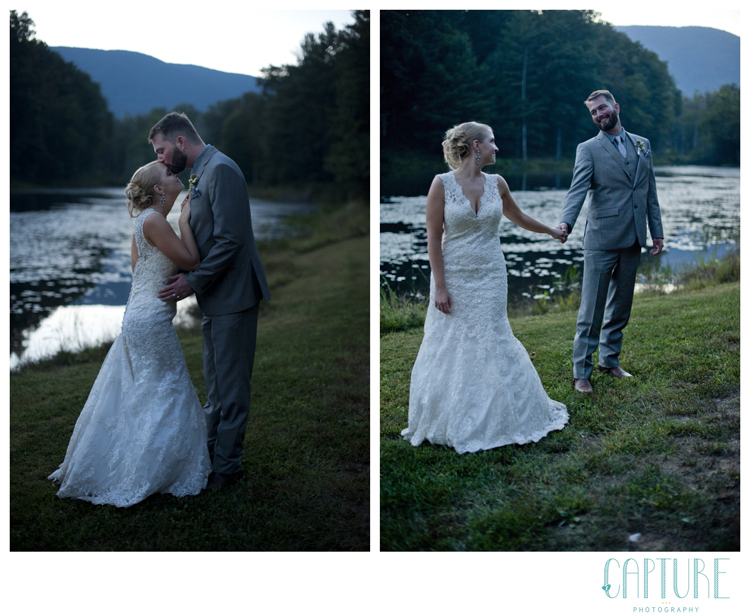 After we went the wedding party in to enjoy cocktails, we stole Sara and her newly minted husband across the water for couples portraits. 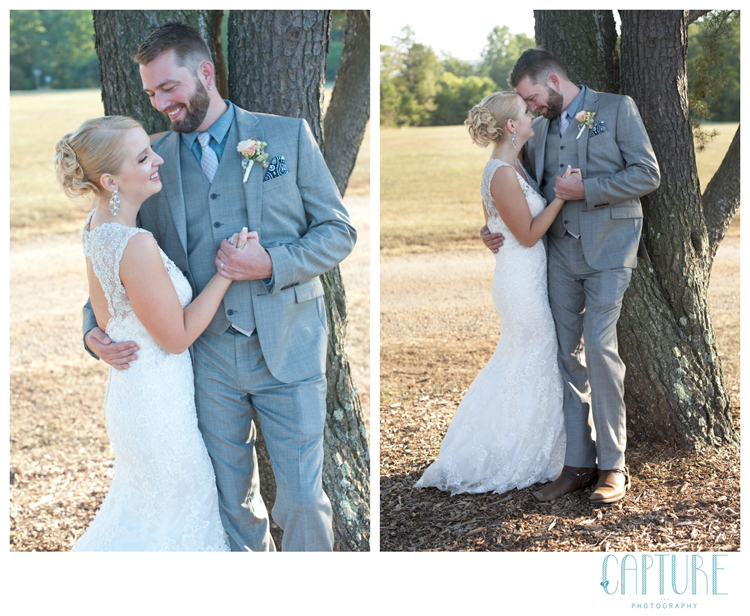 With a couple this in love, getting great photos is a breeze! 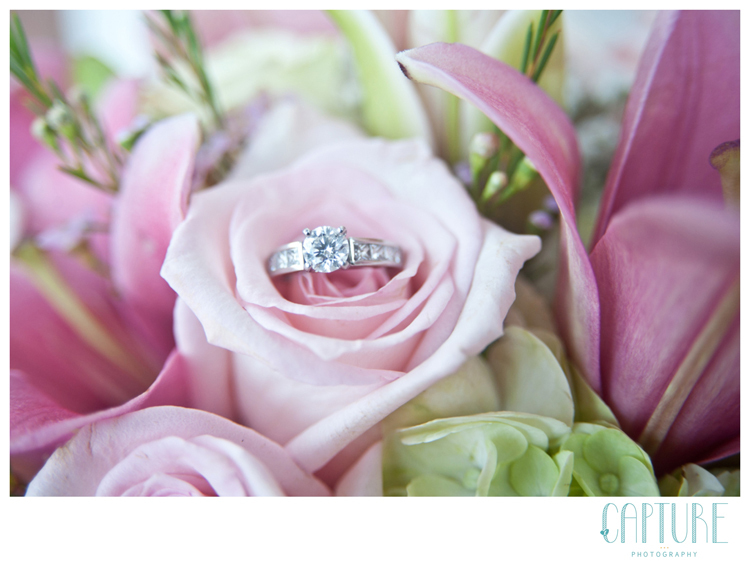 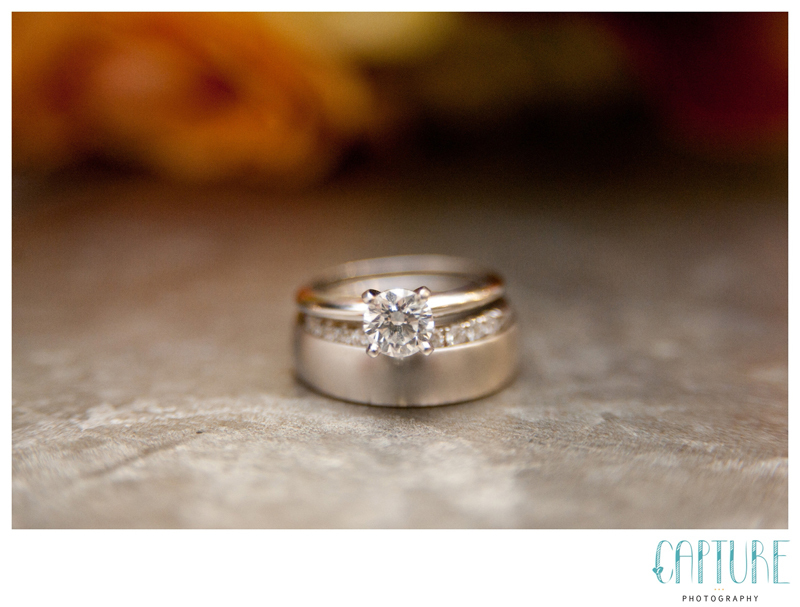 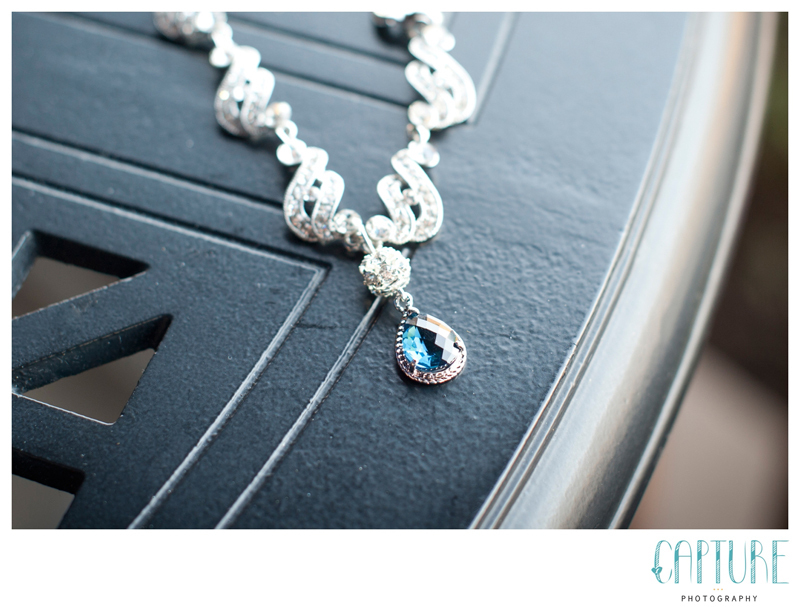 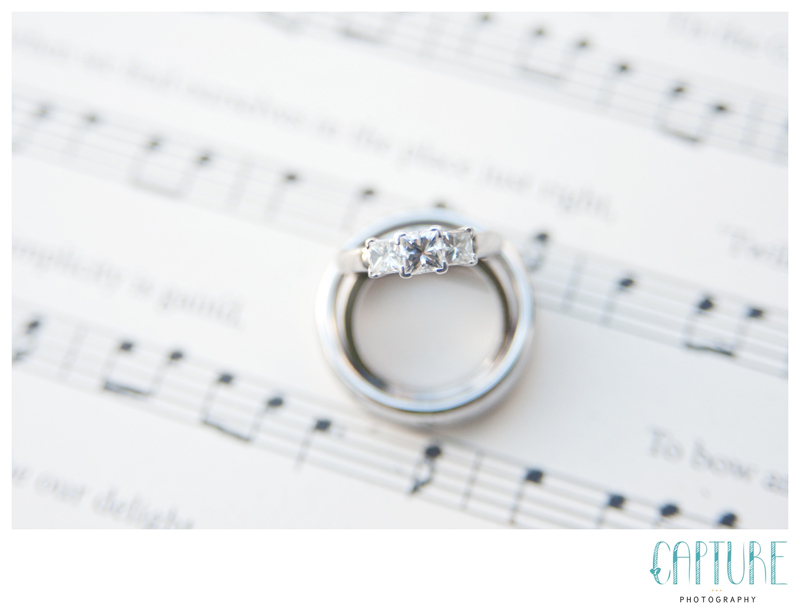 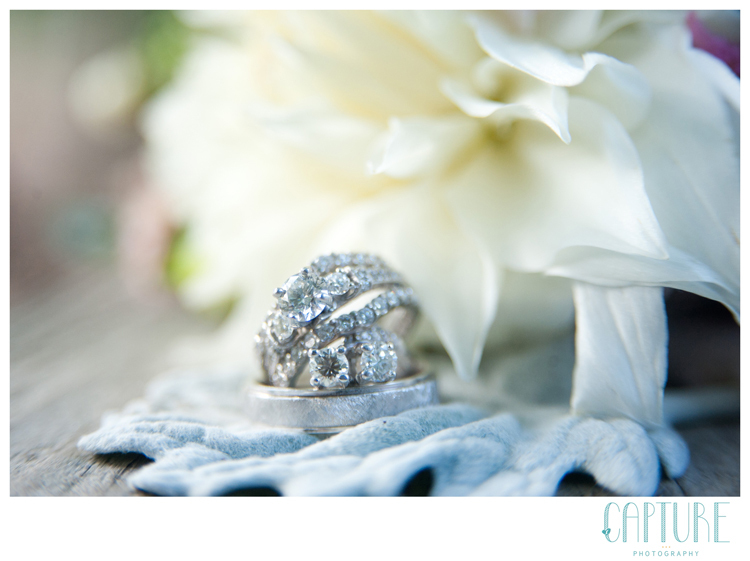 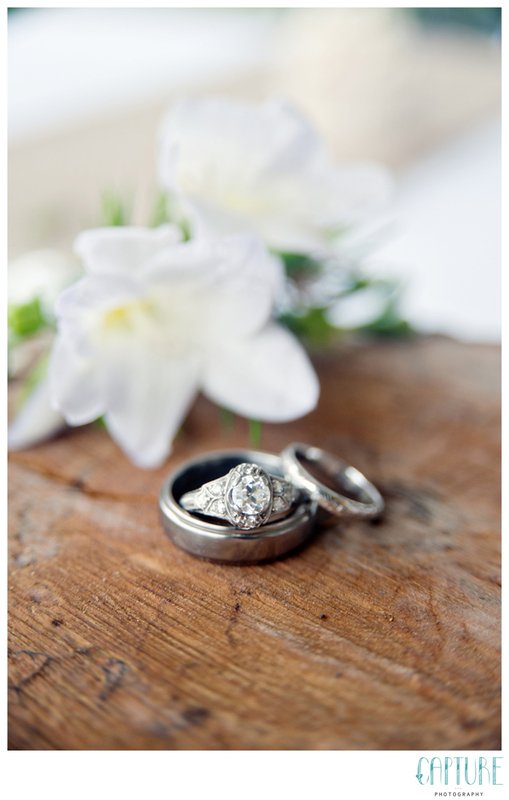 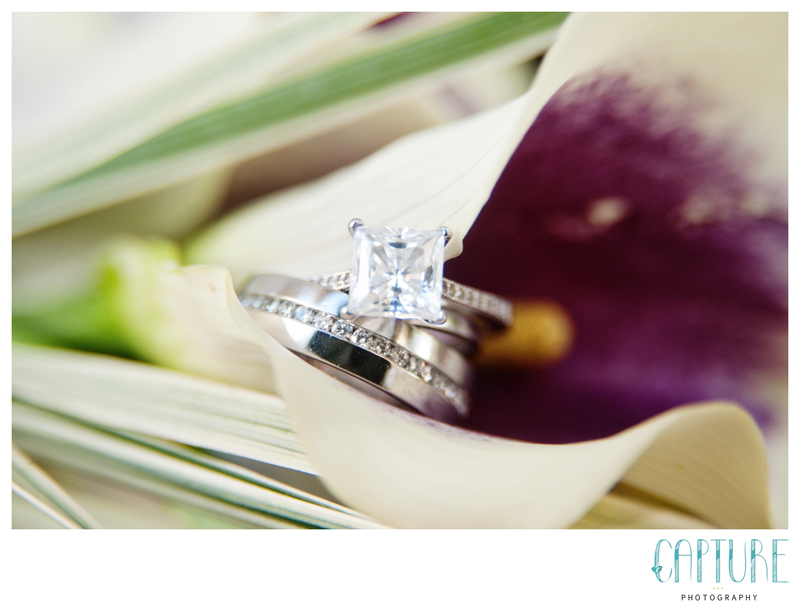 Michael, you have great taste in diamonds….a gorgeous ring for a beautiful bride! 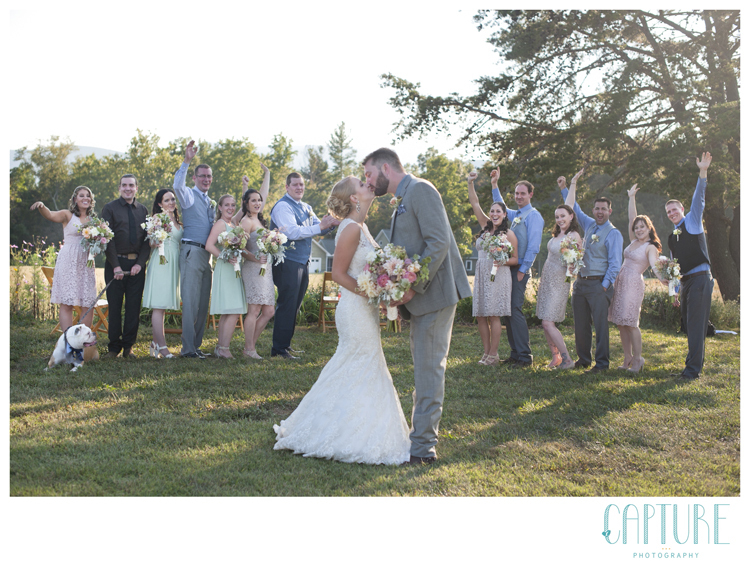 Sara and Michael were ready to get their celebration started, so we saved a few photos for the sunset, and headed inside to party! 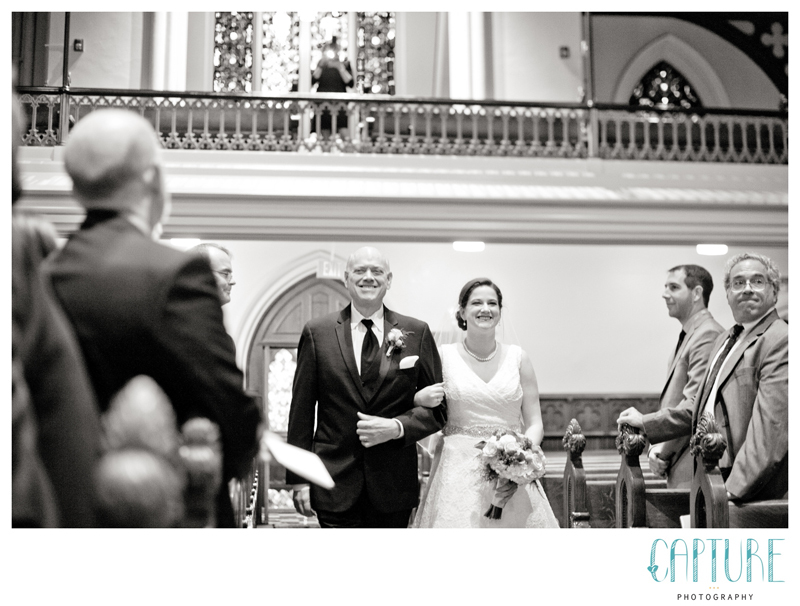 The Dominion Club has a very cool set up that allows the bridal party to enter in on a grand staircase, giving the bride and groom a great view of their crowd. 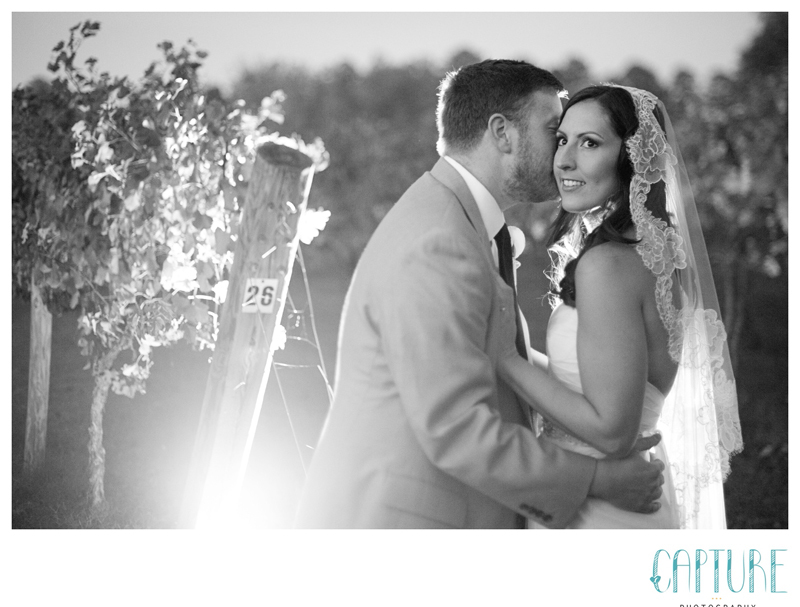 As dinner was winding down, we stole away for a few more couples portraits in the evening light. 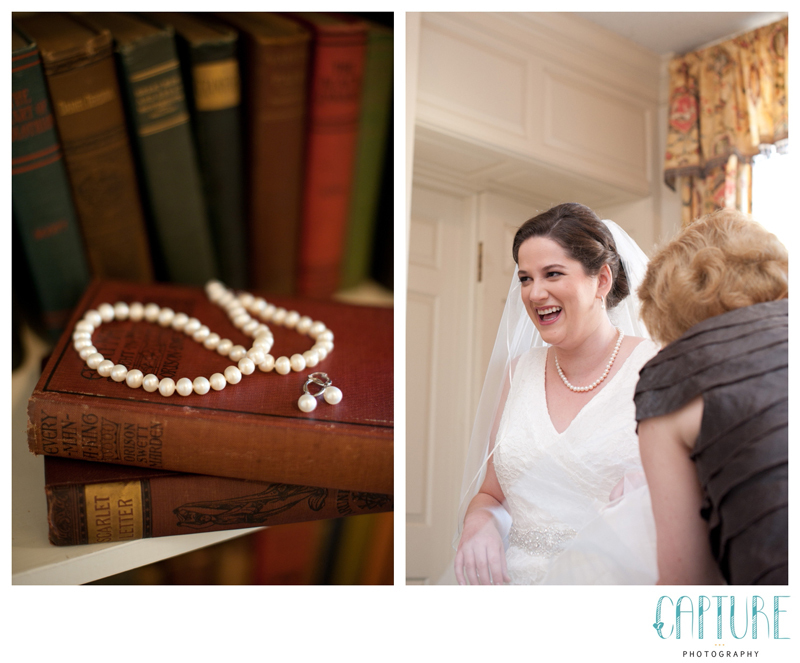 It’s always an incredibly romantic moment when the bride and room can steal away and enjoy each other’s company. 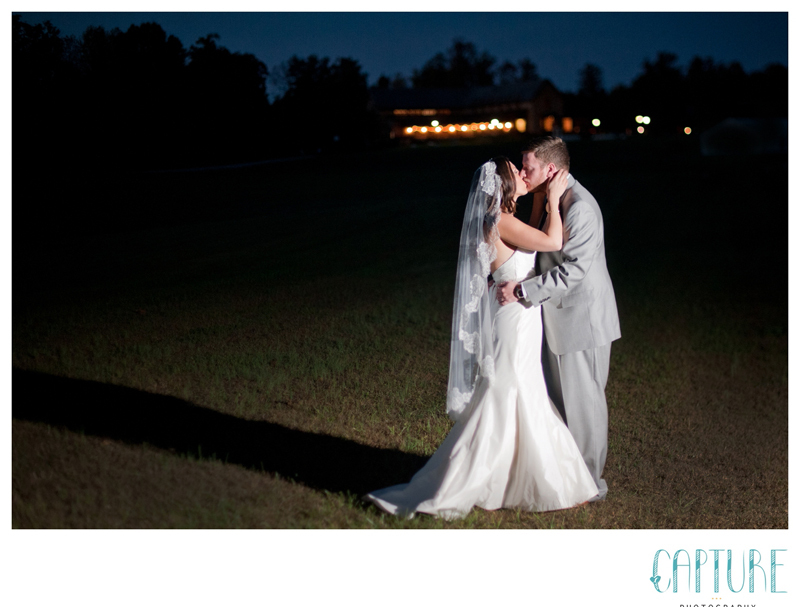 Sara and Michael were no exception! 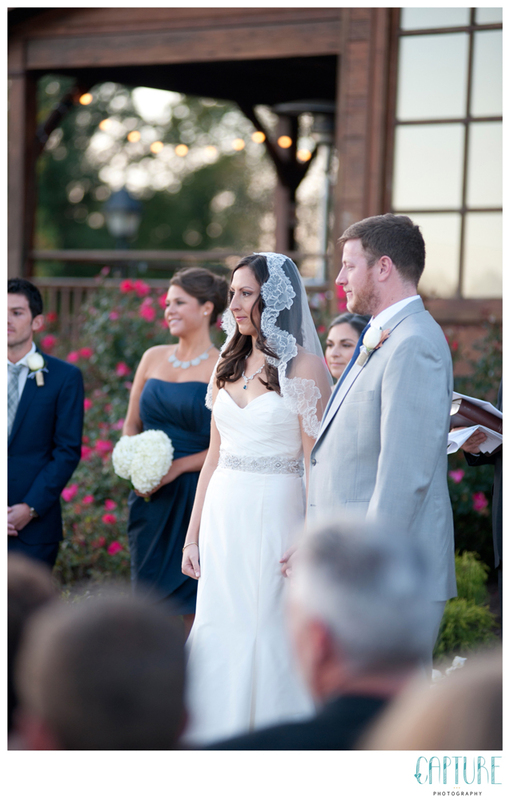 Sara, go on with that diva face!! 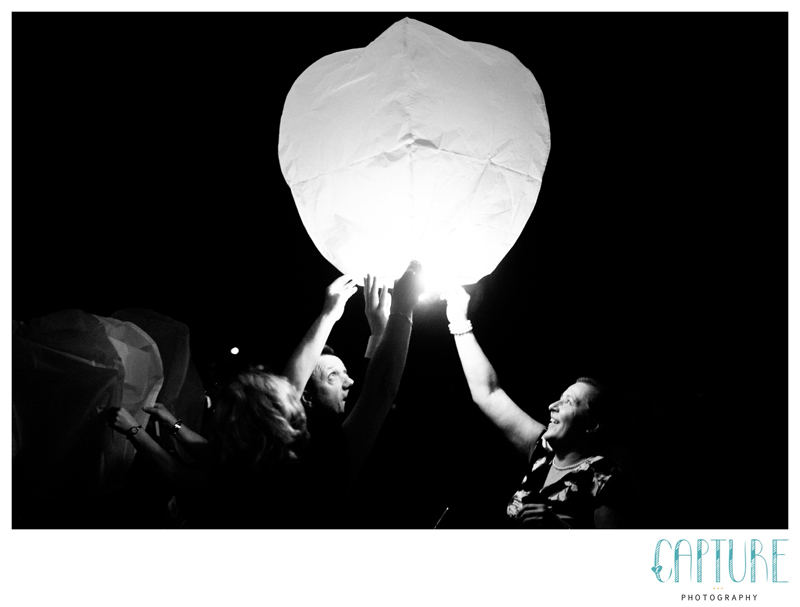 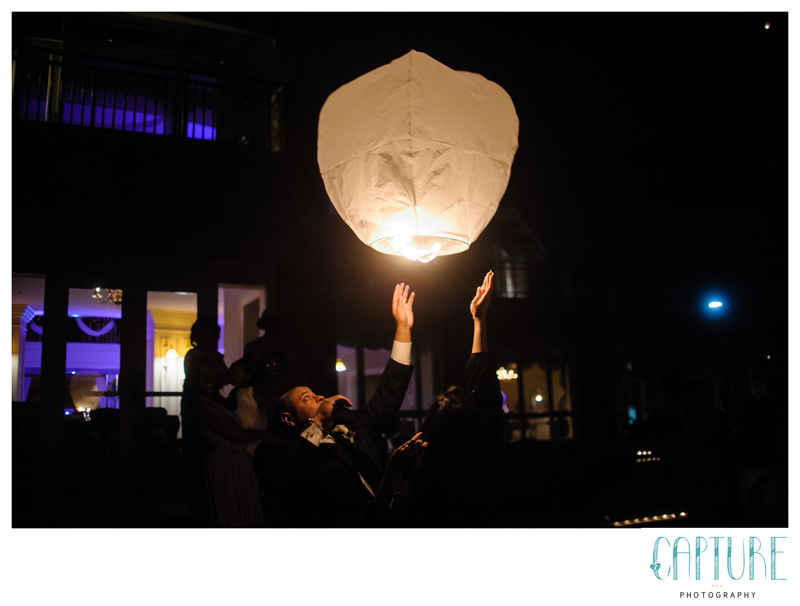 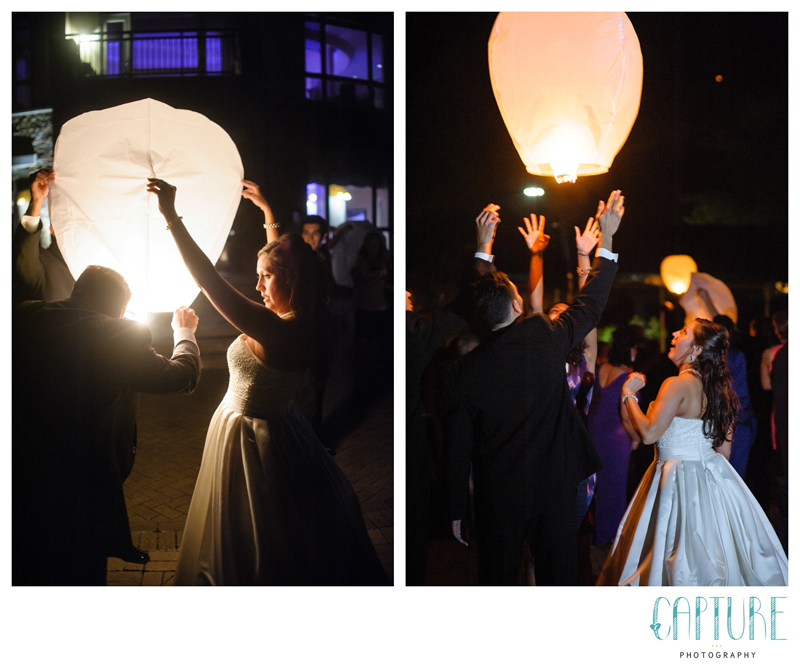 The evening ended on a magical note; they surprised their guests with wish lanterns! 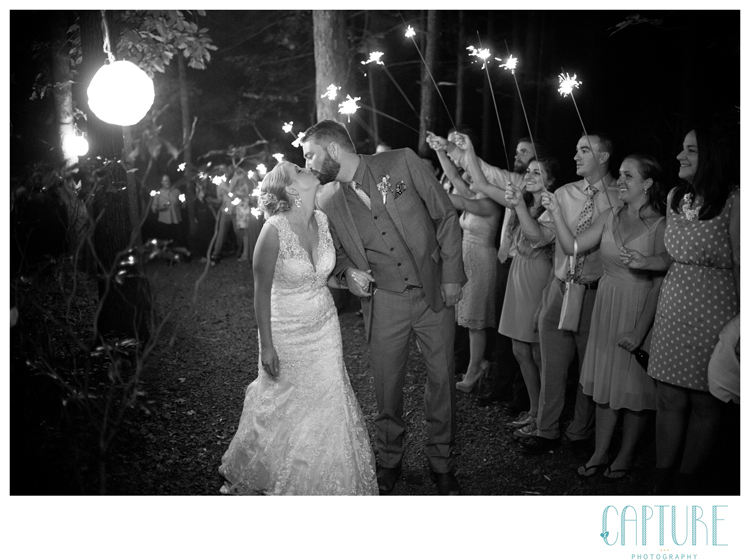 As the guests lit the paper lanterns together and released them into the starry night, we’re pretty sure they were wishing Micahel & Sara a million years of happiness. 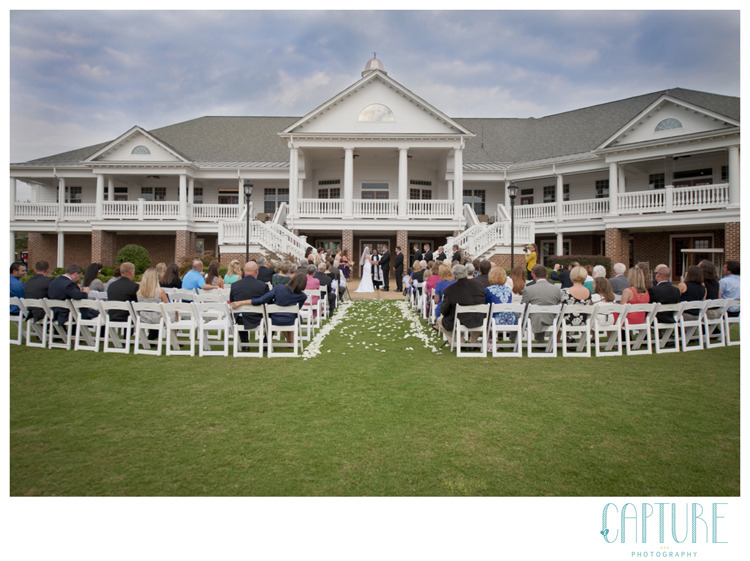 We would like to send a special thanks to Jamie & Davis at the Dominion Club- they always make sure that our couples have a beverage in hand and a golf cart for photos. 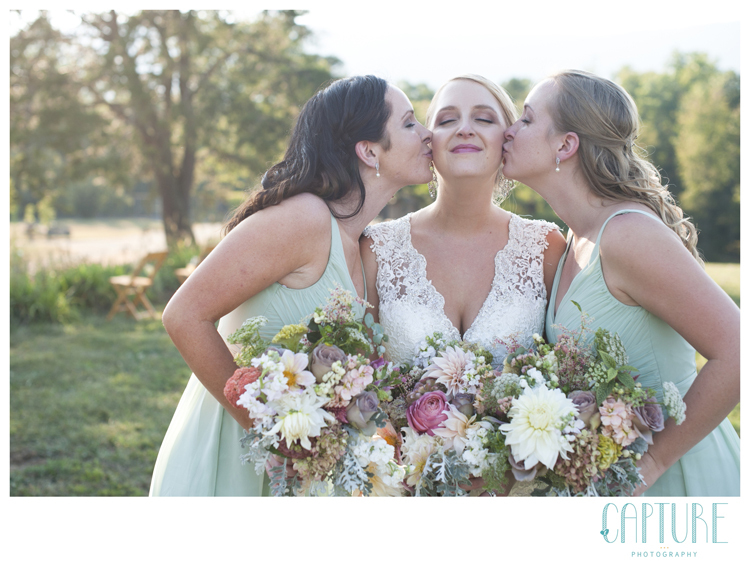 You make our job so much easier!